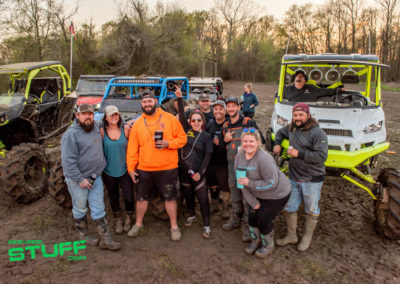 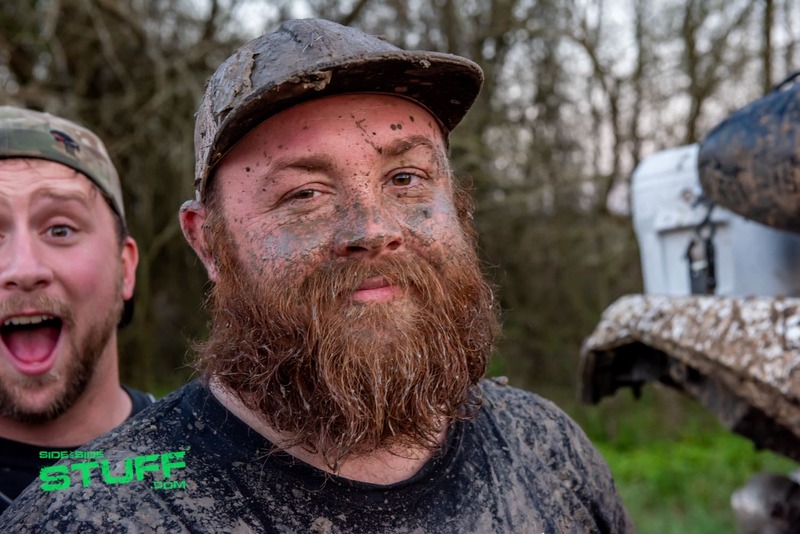 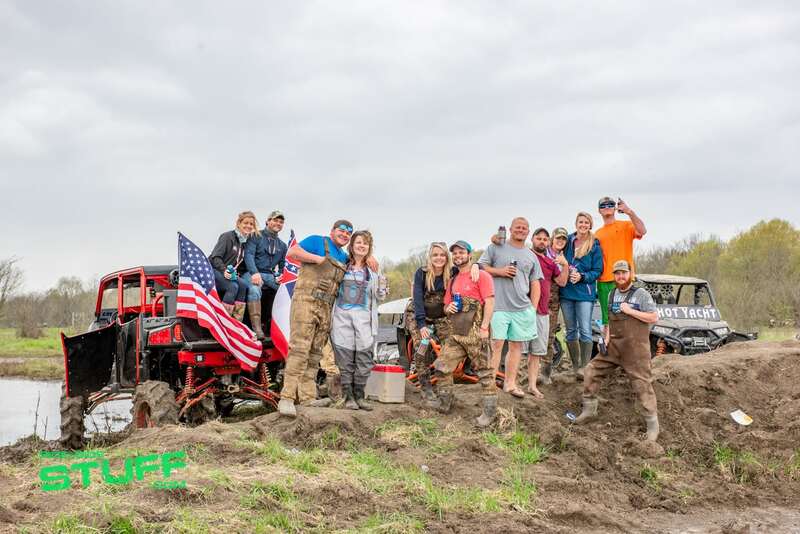 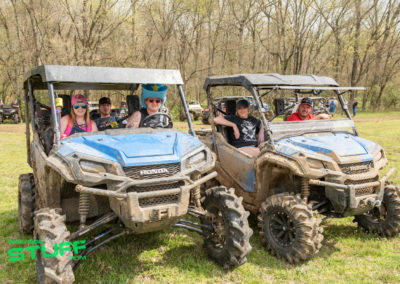 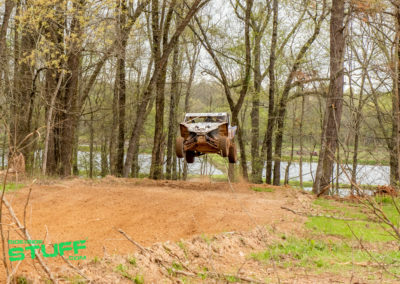 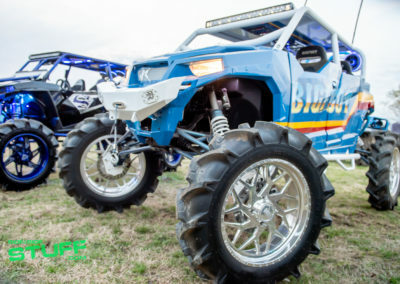 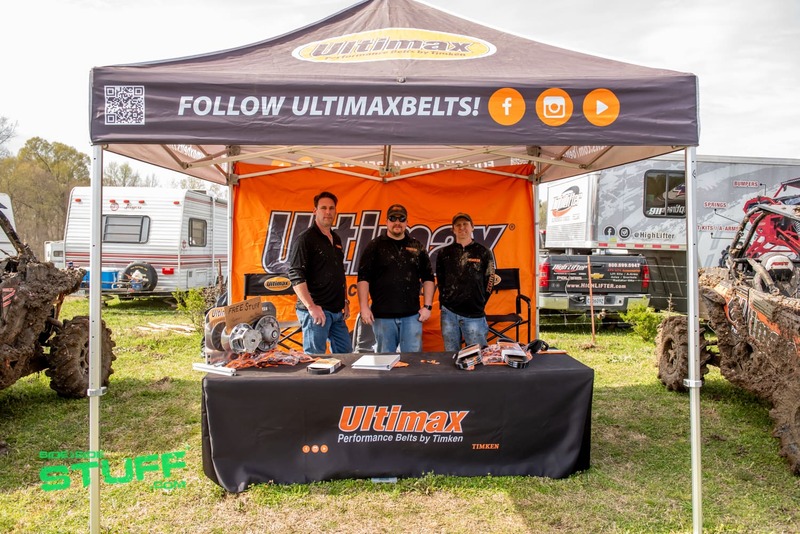 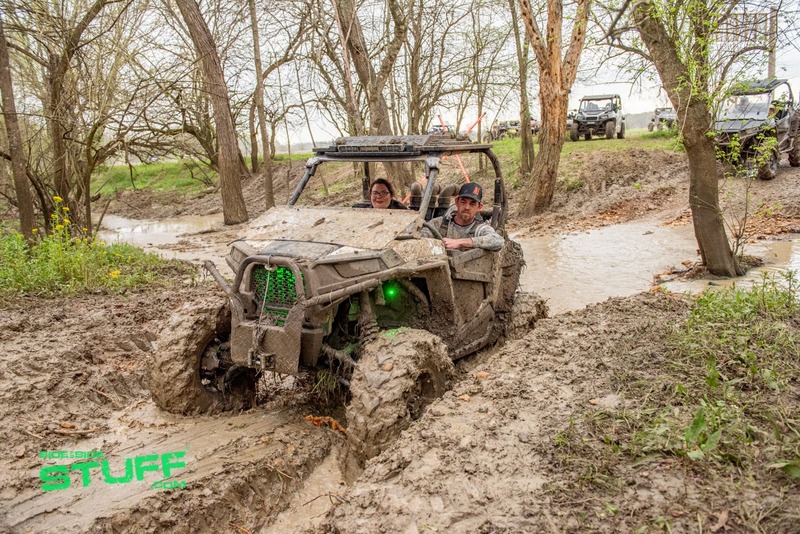 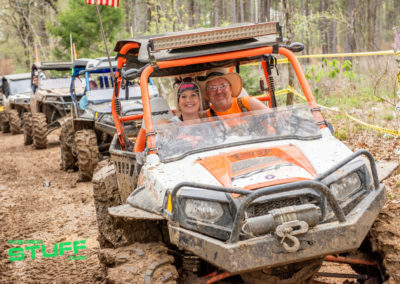 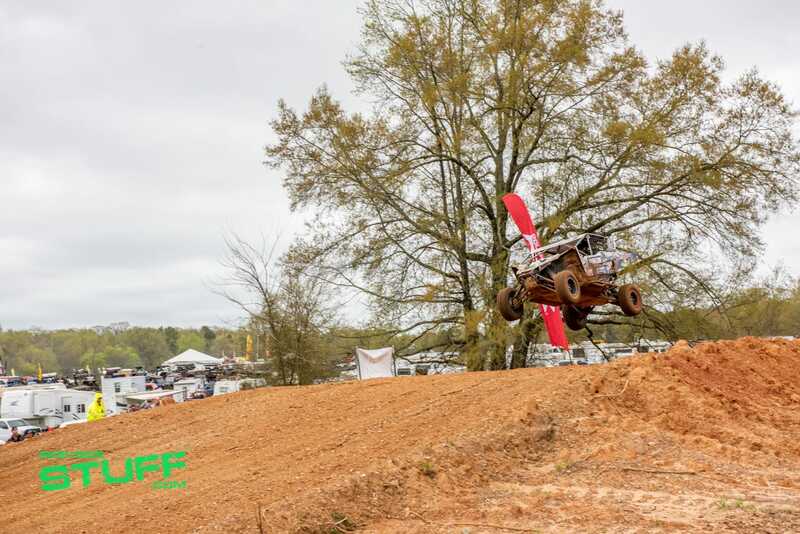 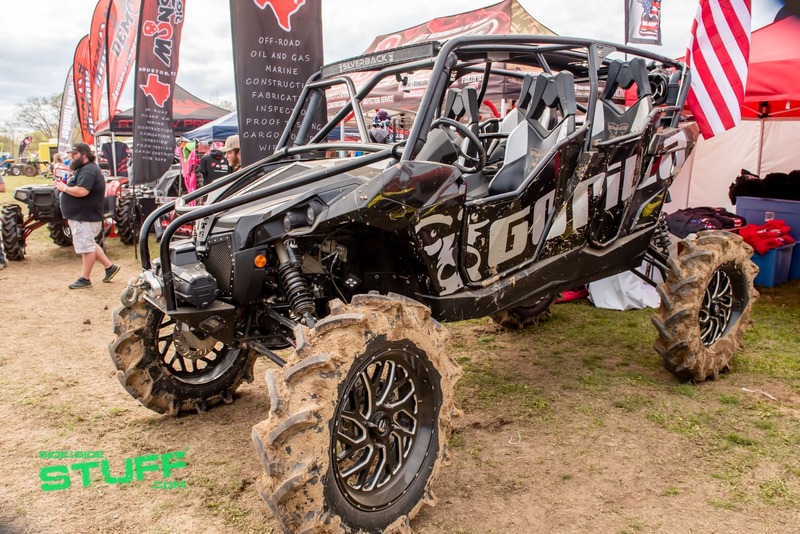 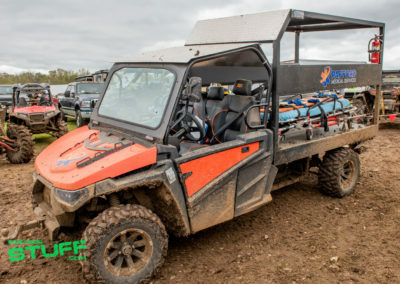 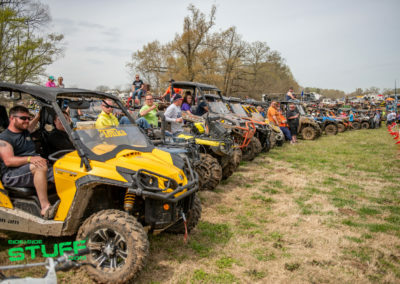 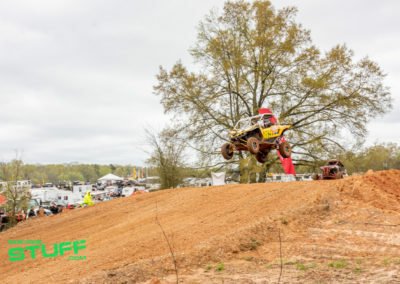 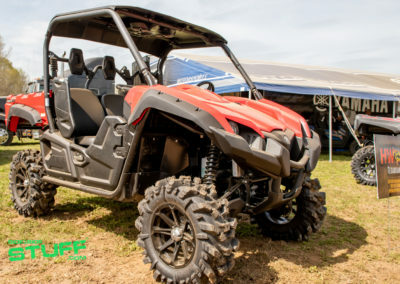 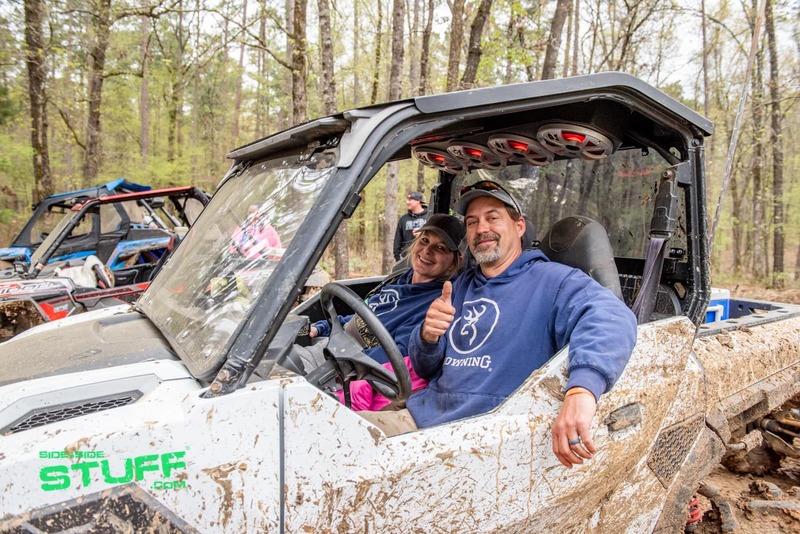 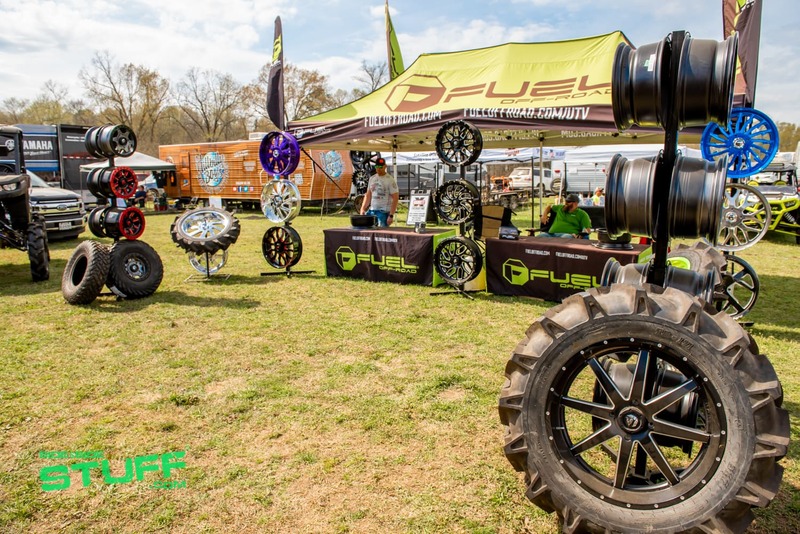 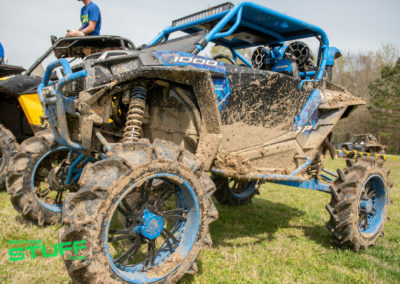 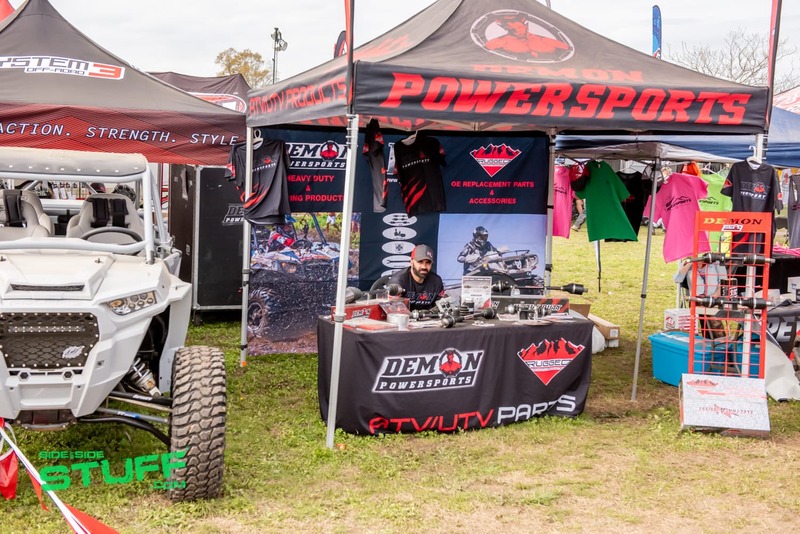 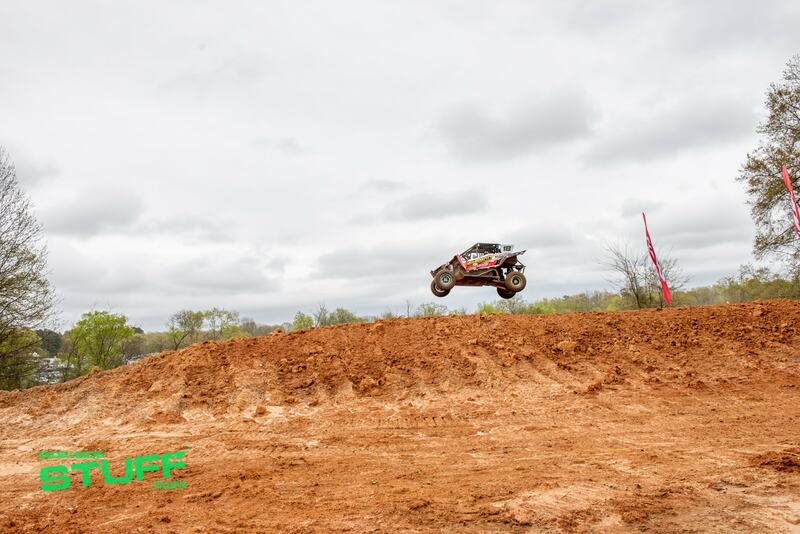 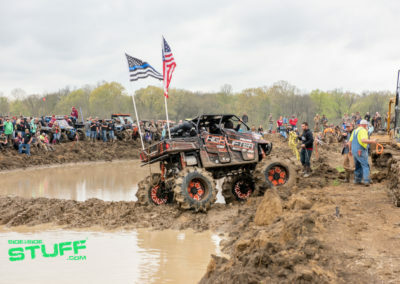 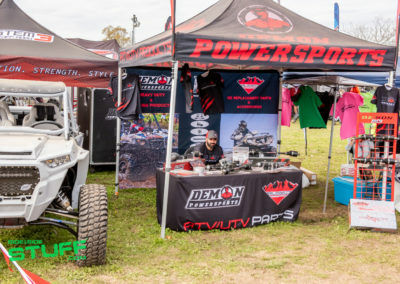 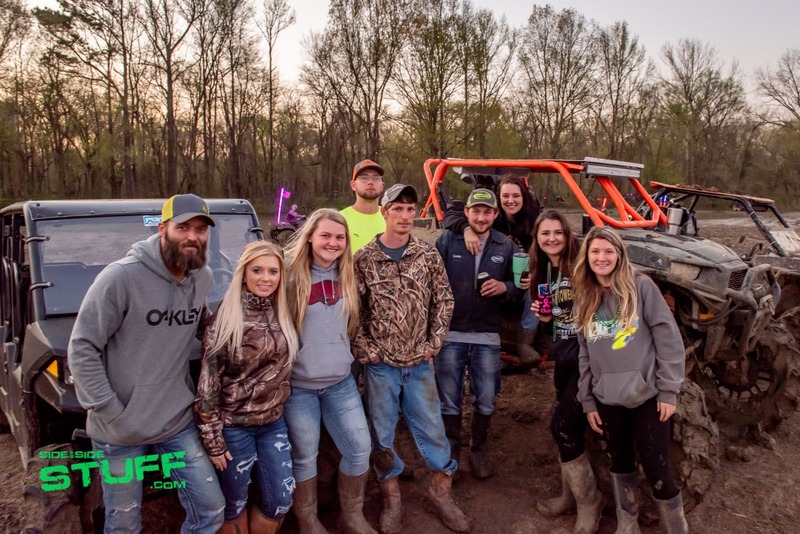 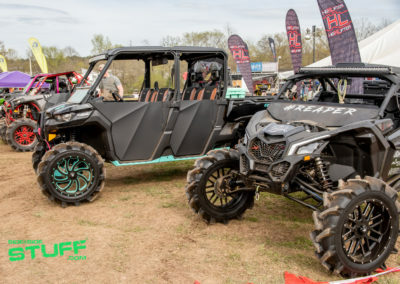 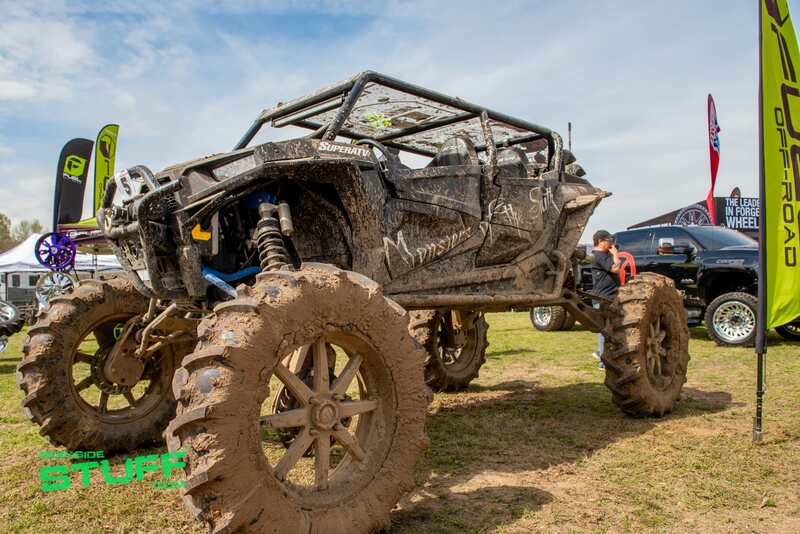 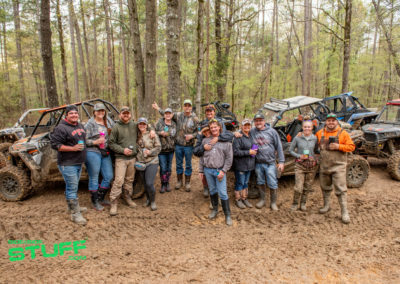 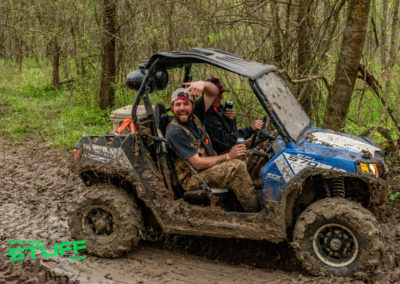 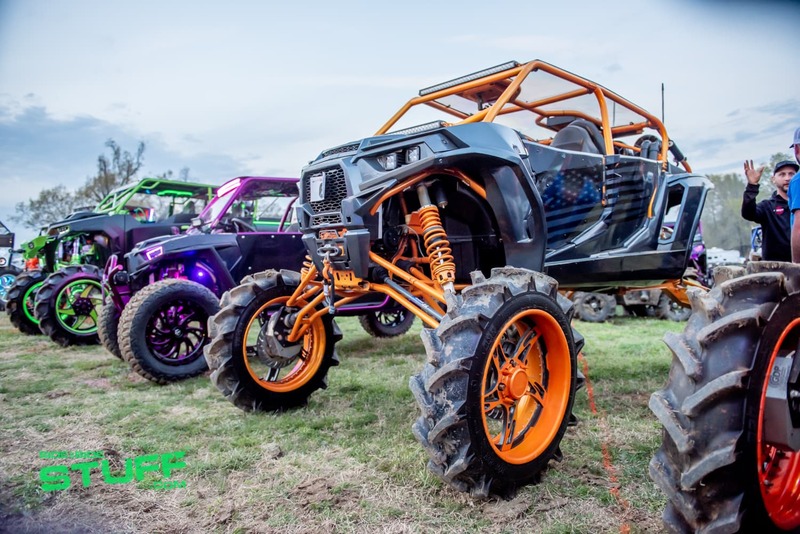 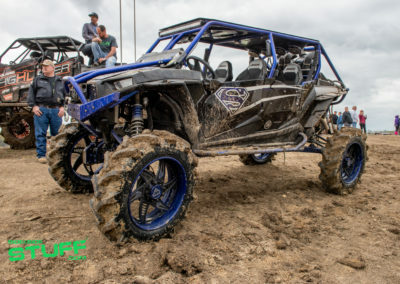 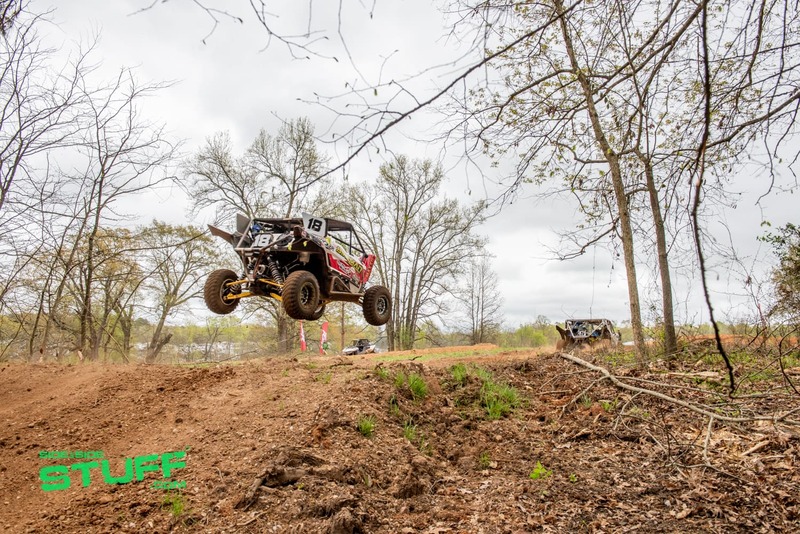 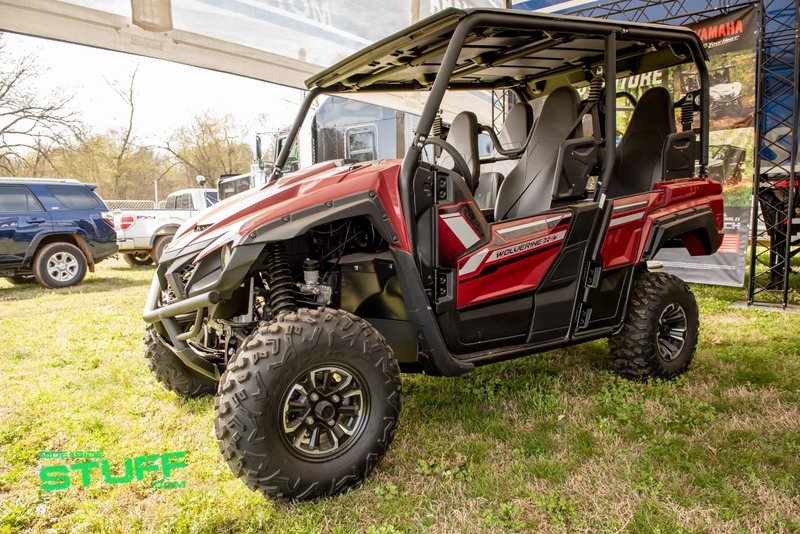 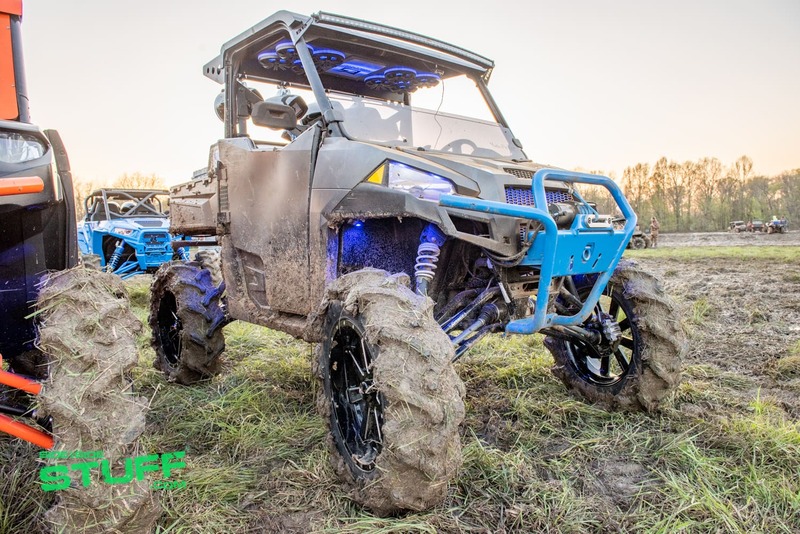 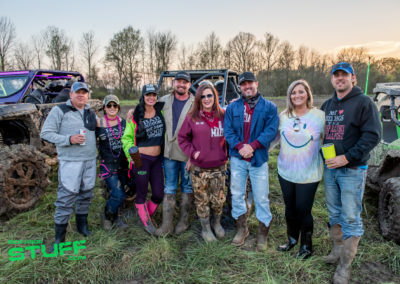 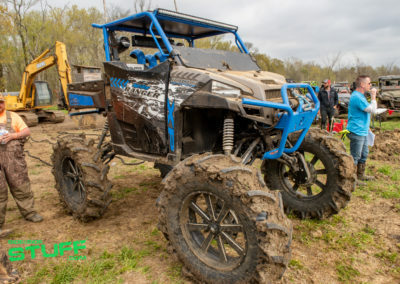 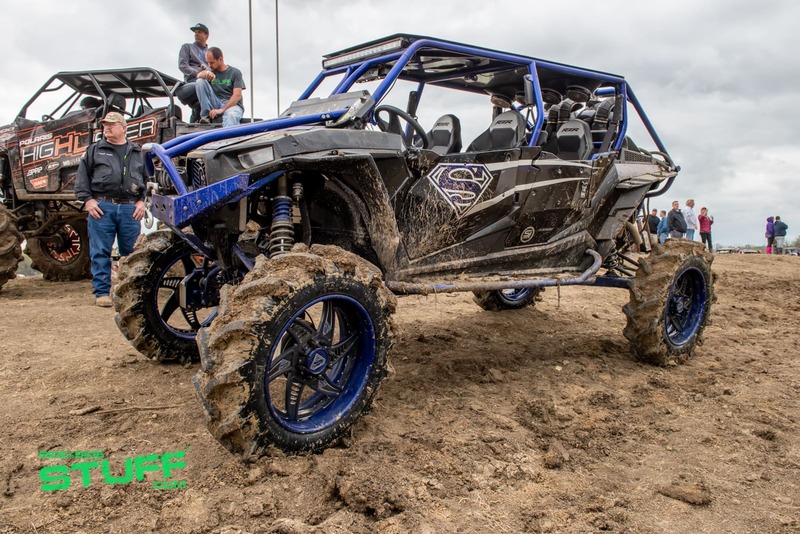 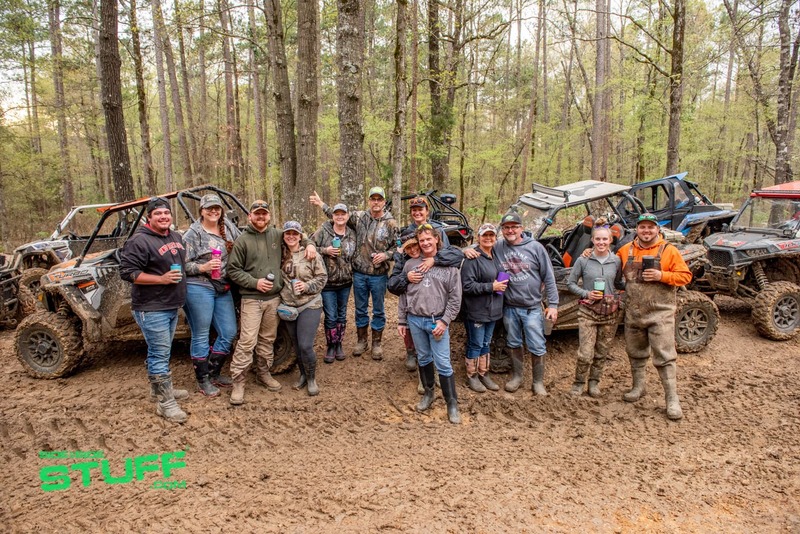 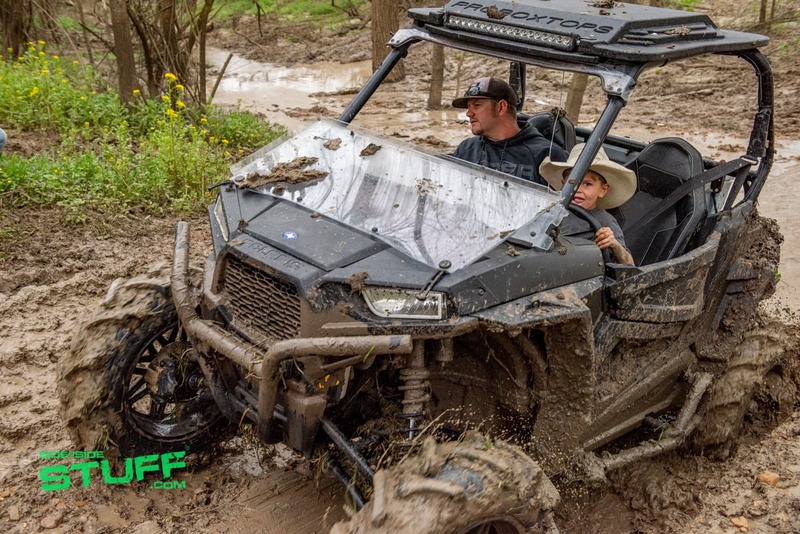 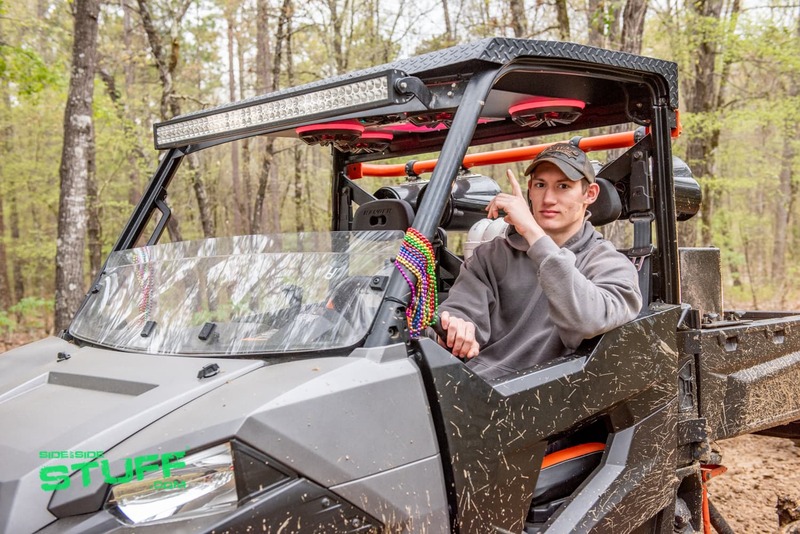 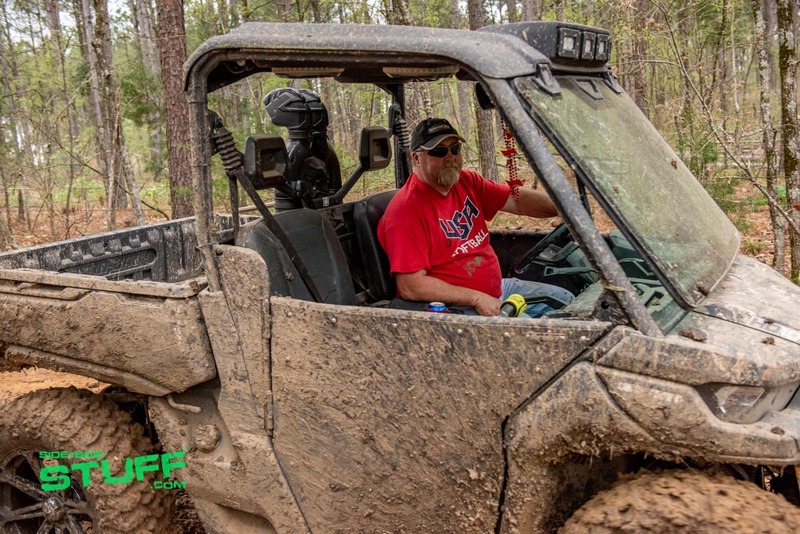 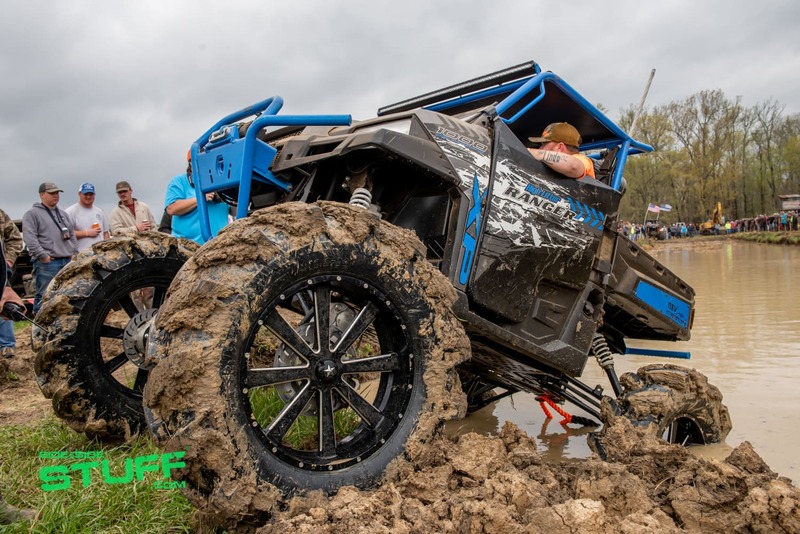 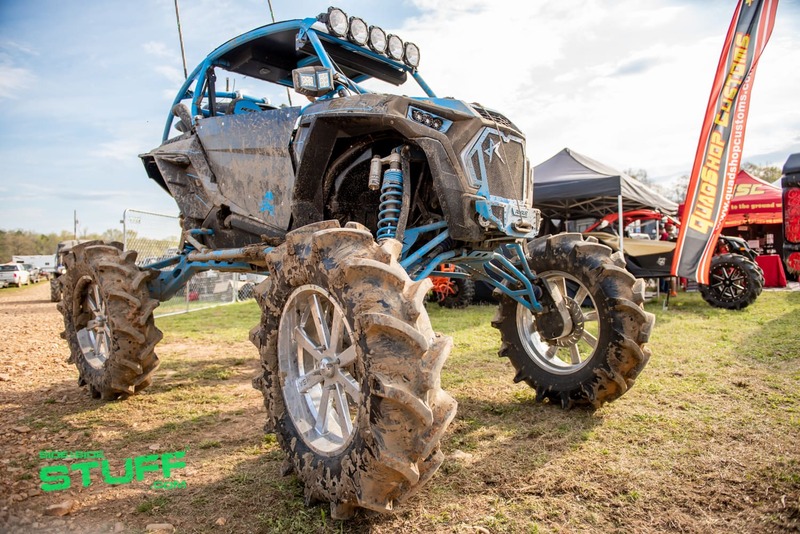 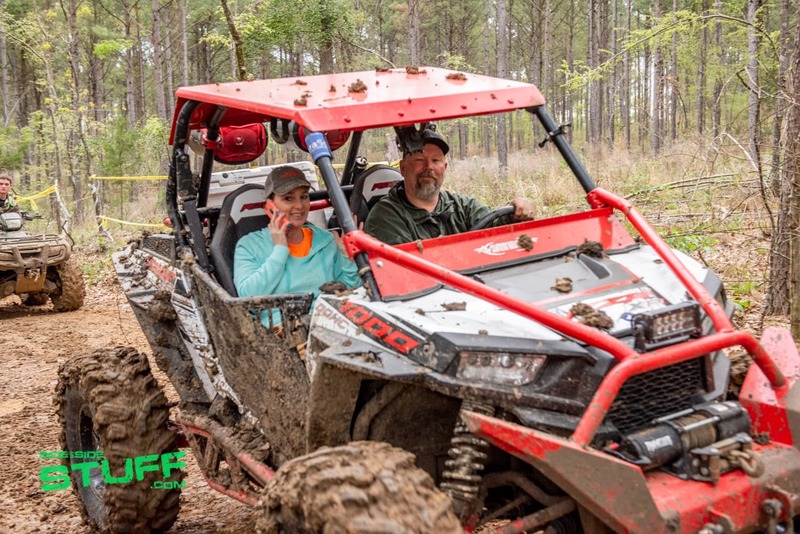 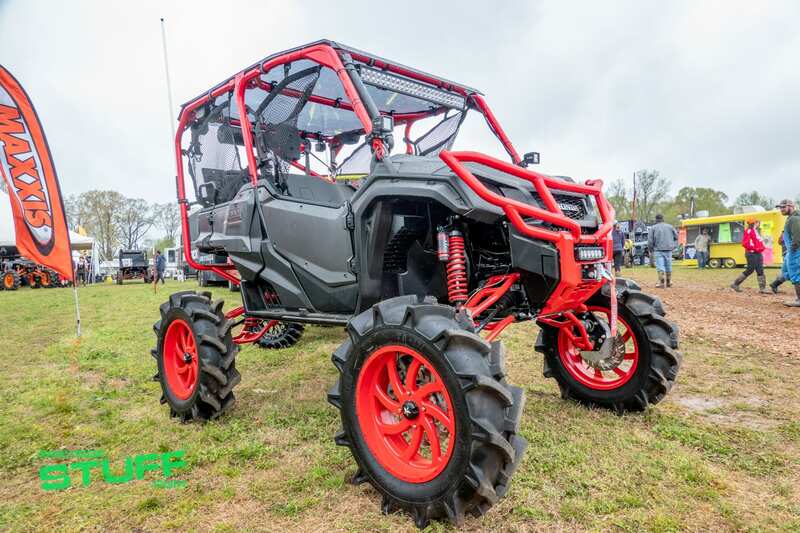 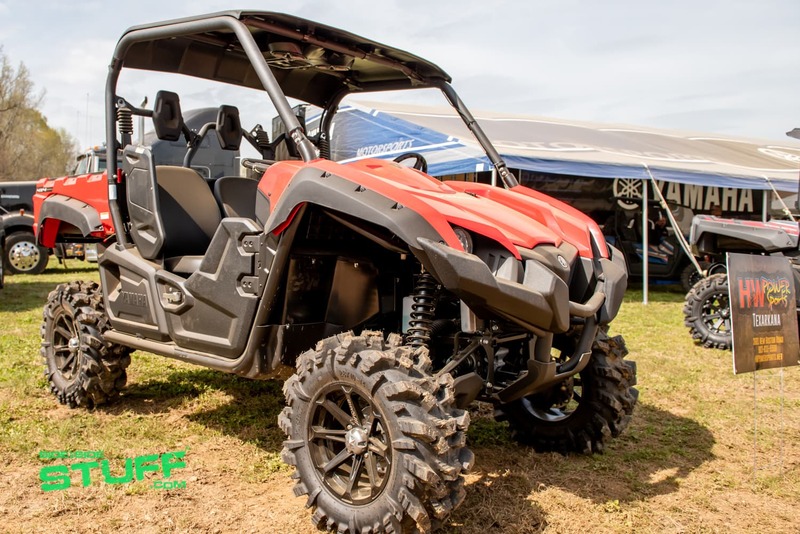 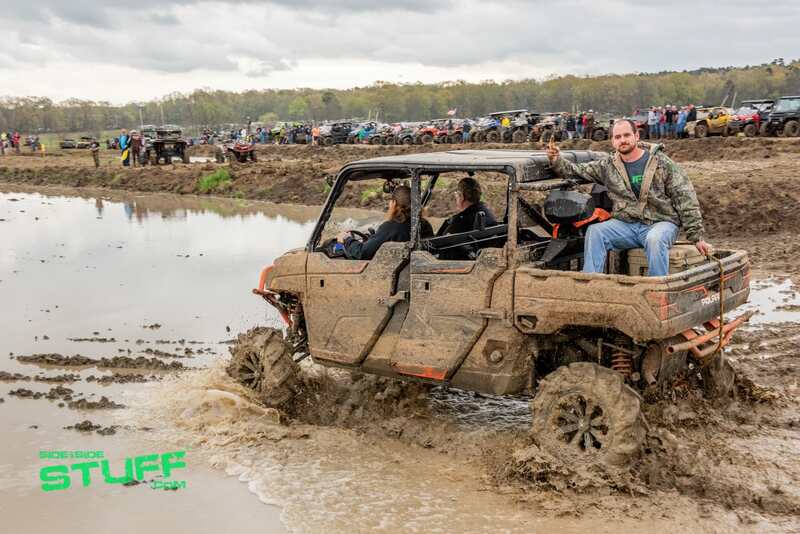 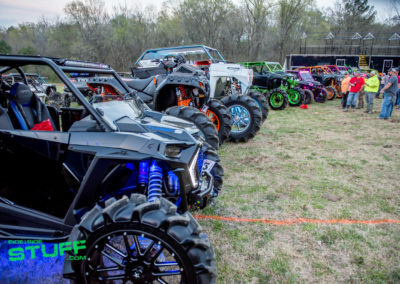 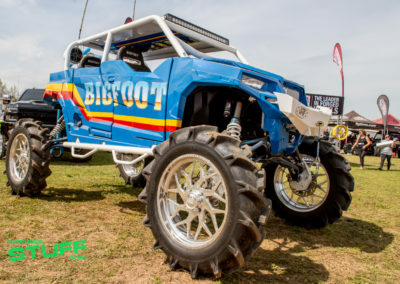 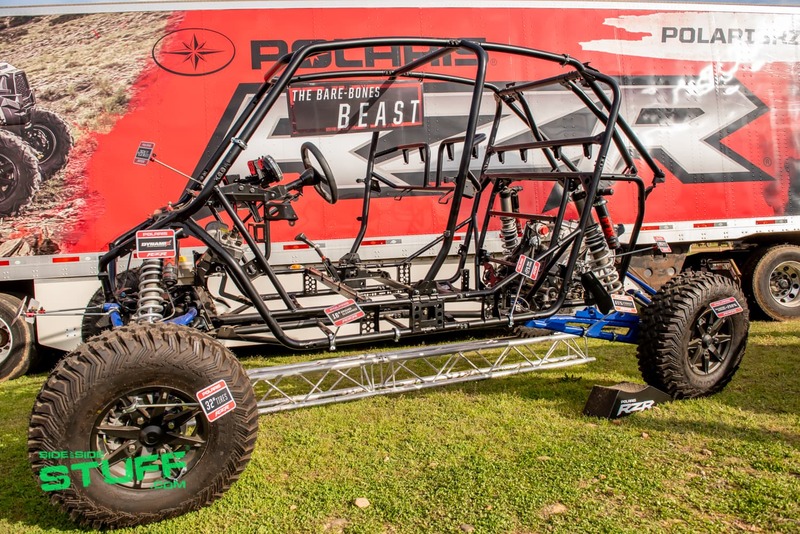 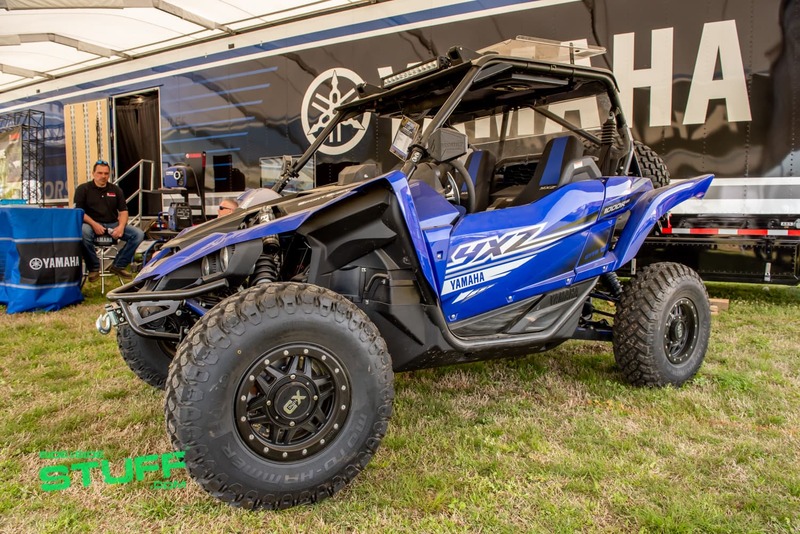 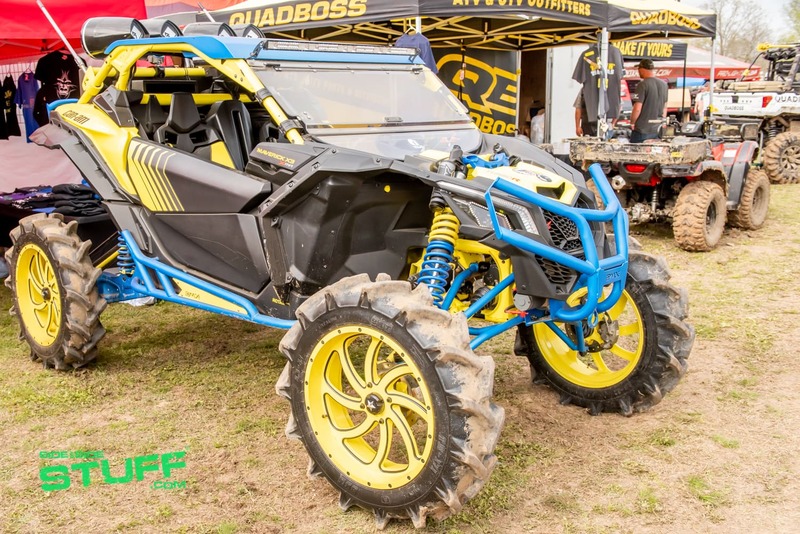 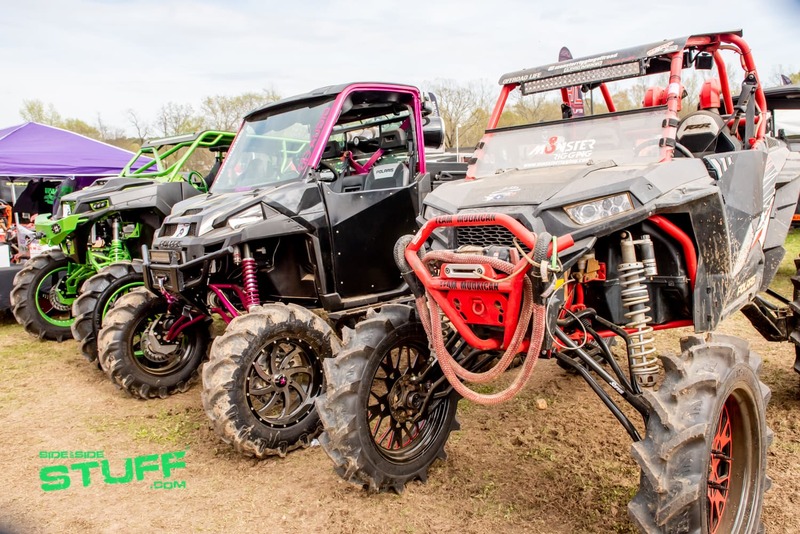 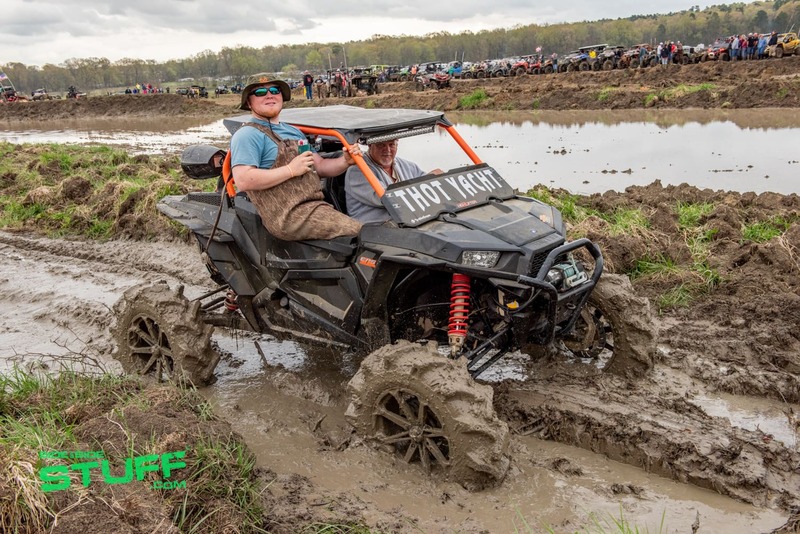 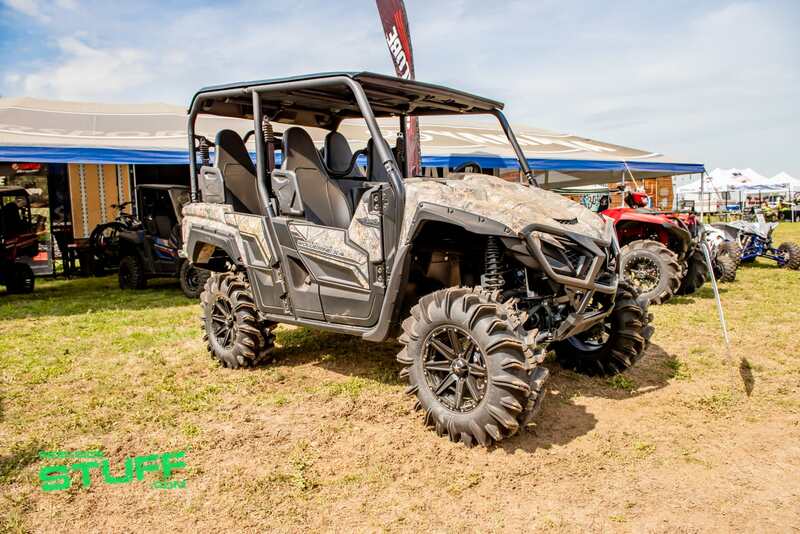 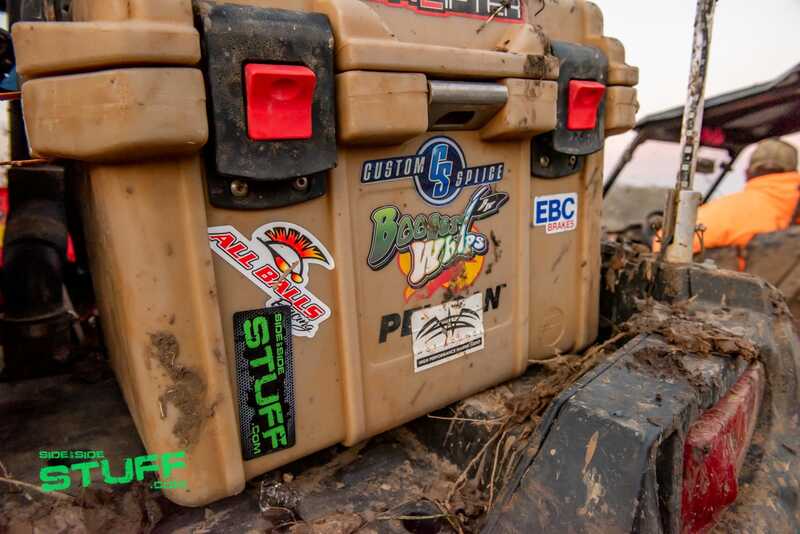 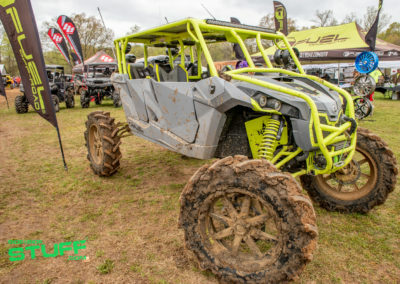 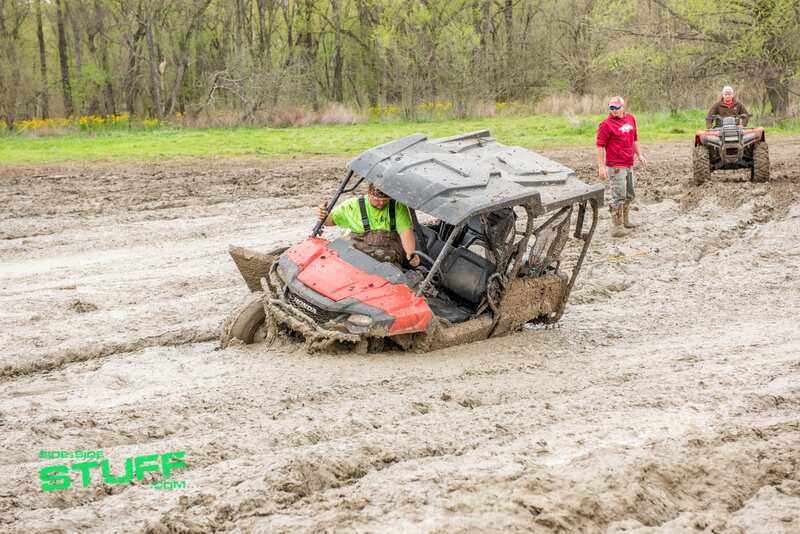 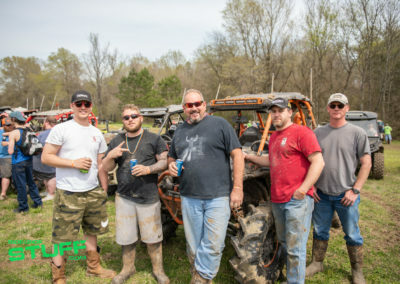 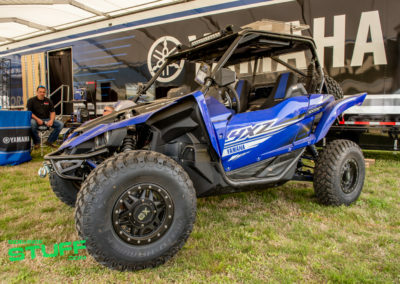 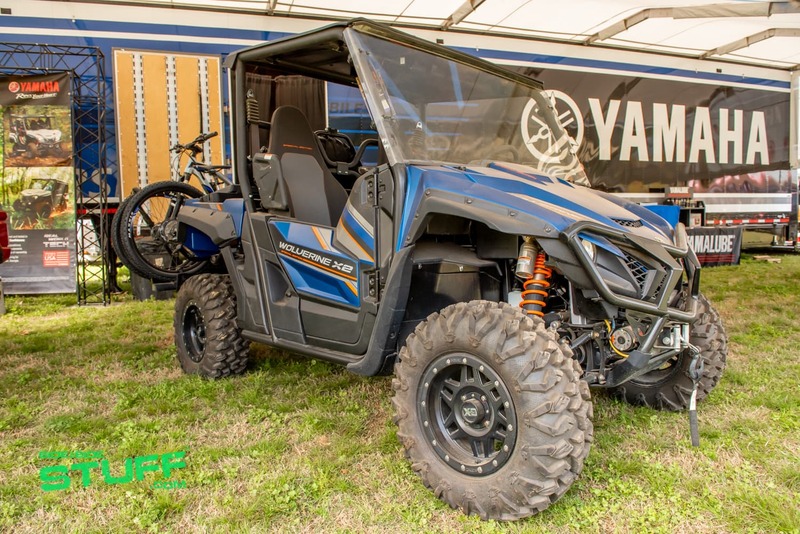 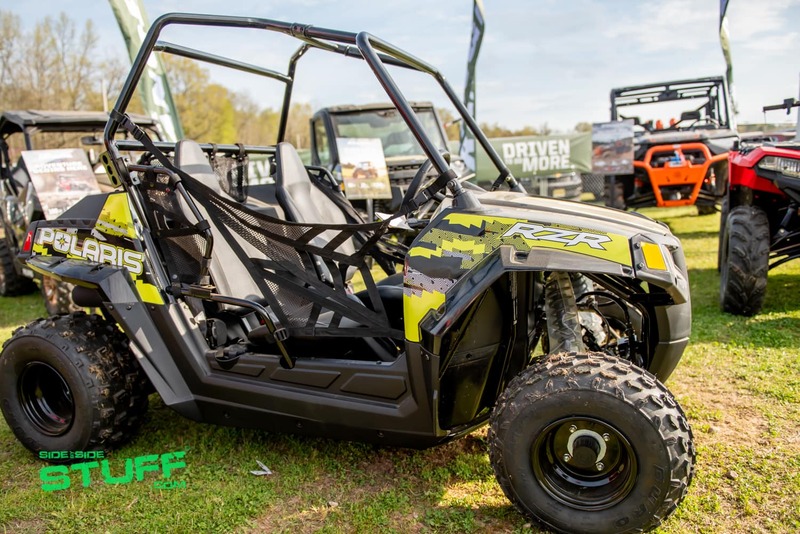 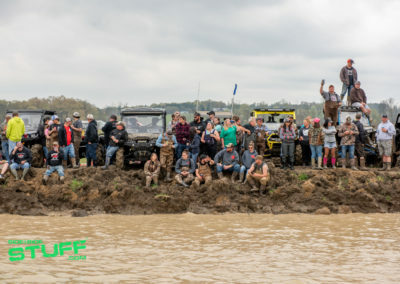 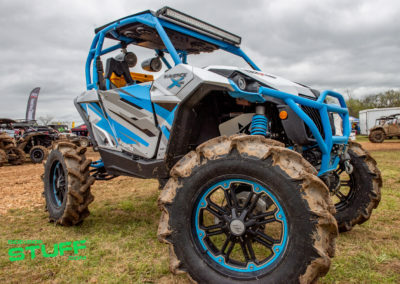 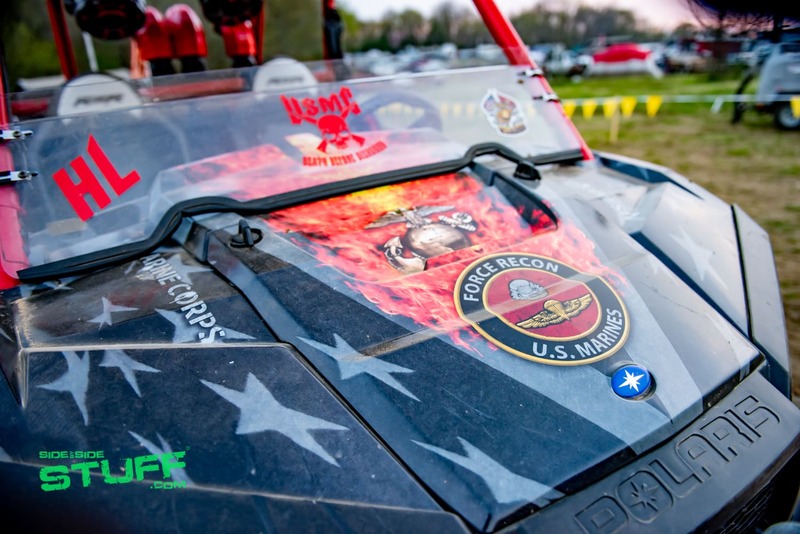 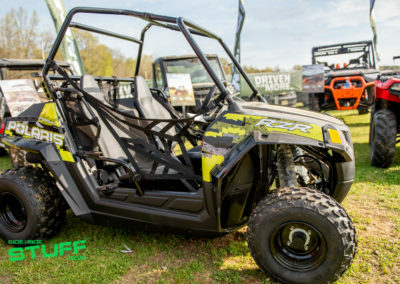 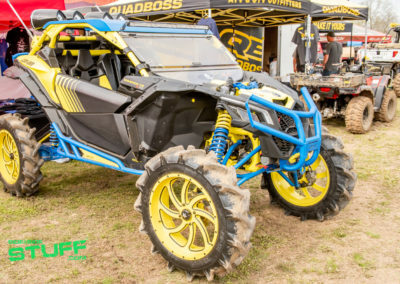 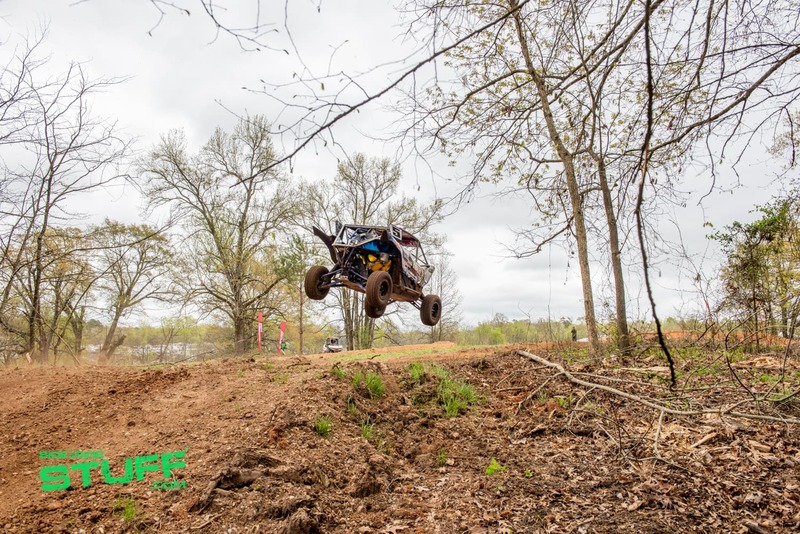 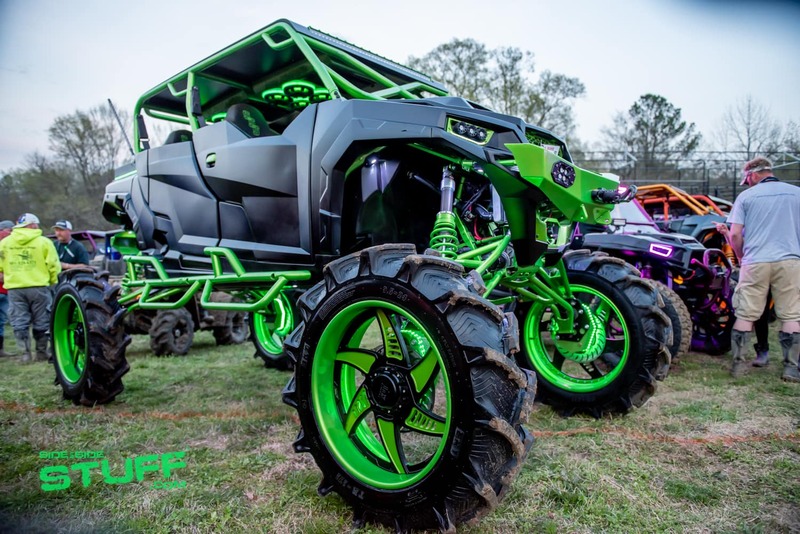 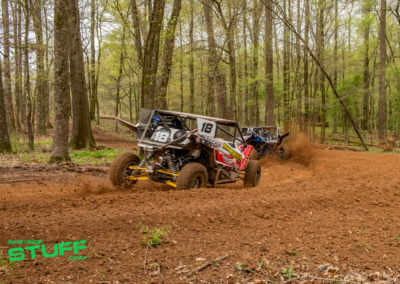 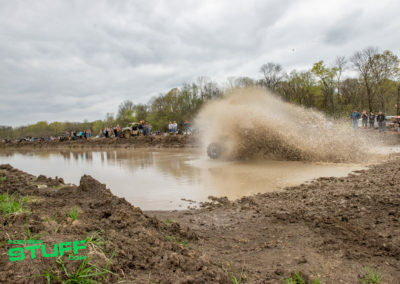 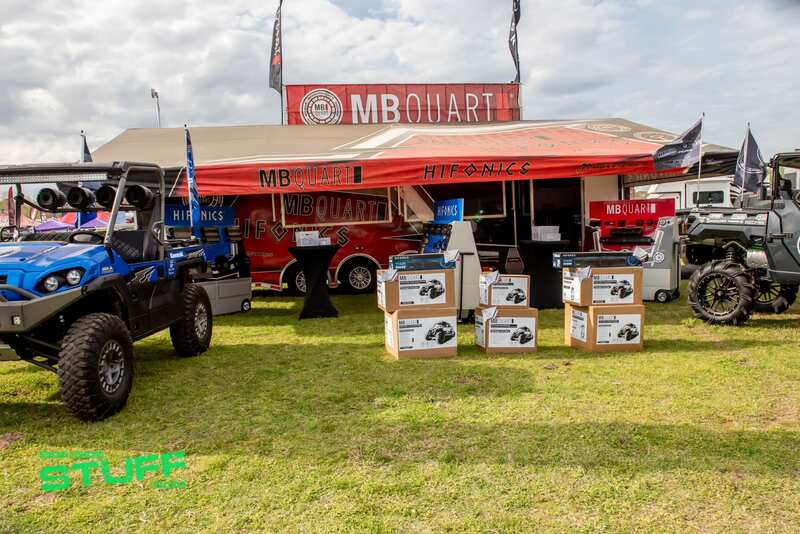 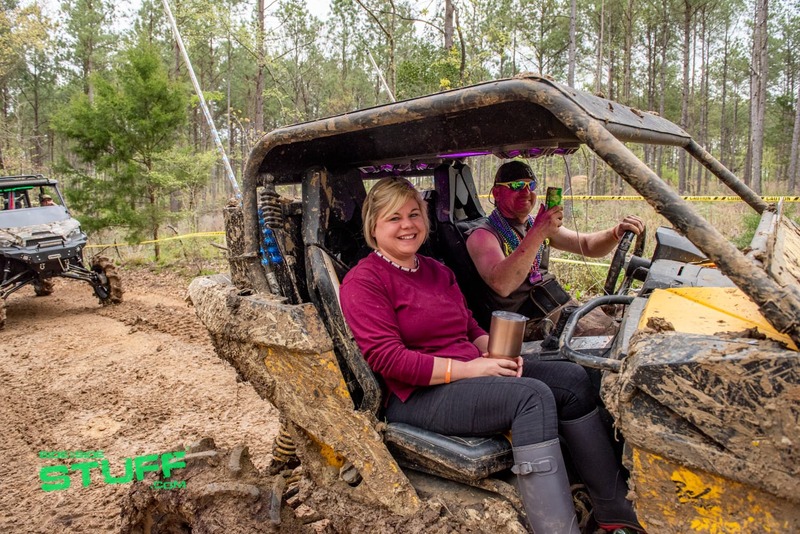 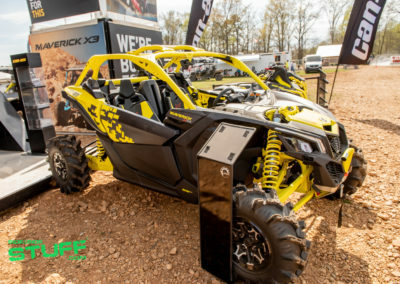 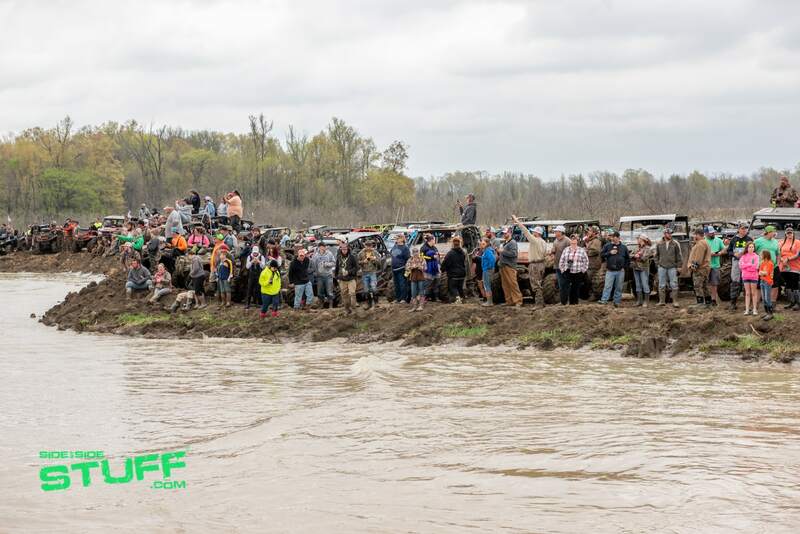 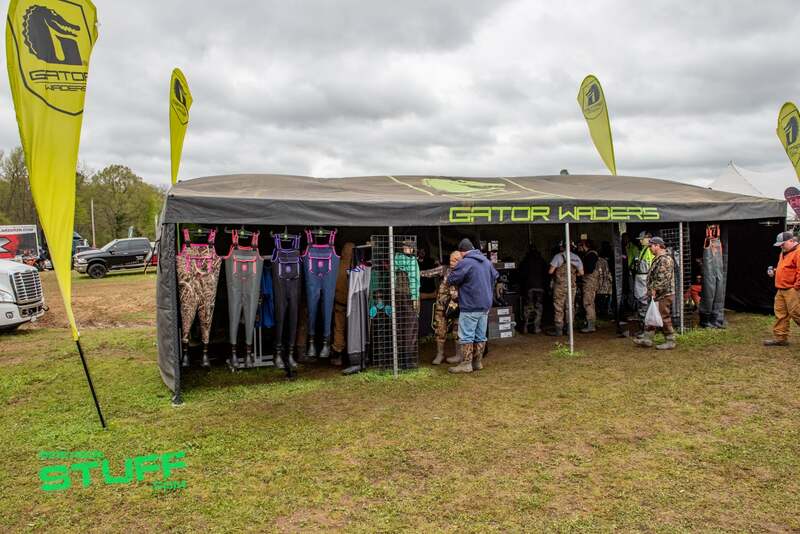 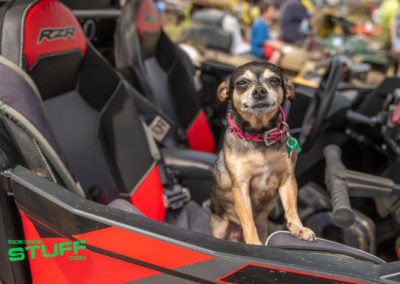 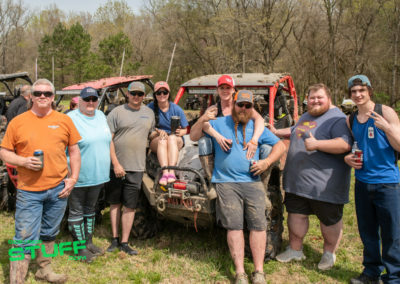 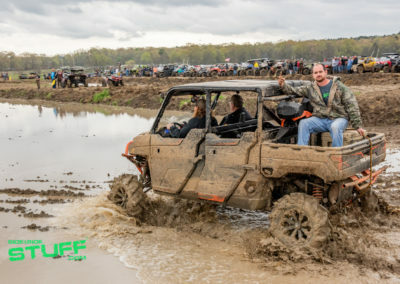 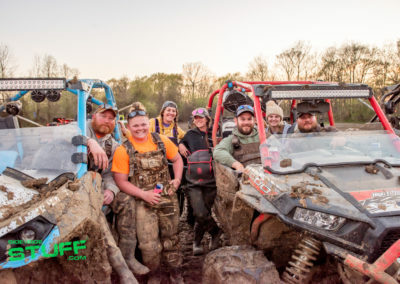 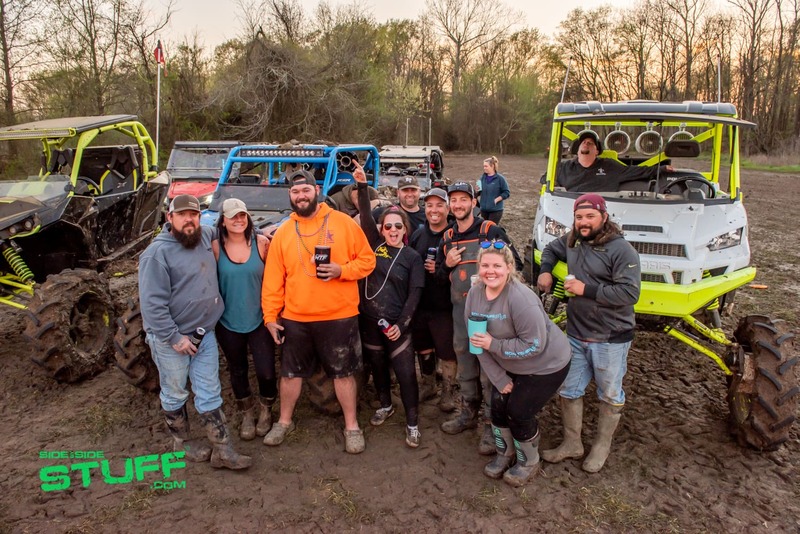 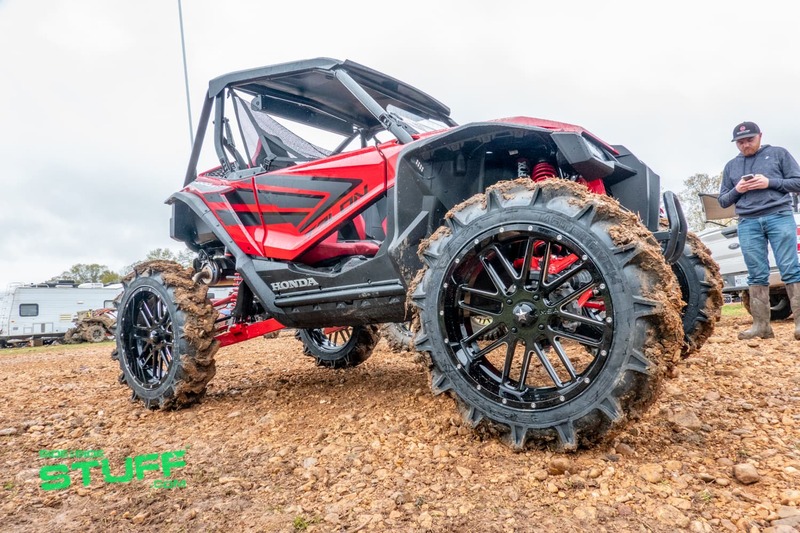 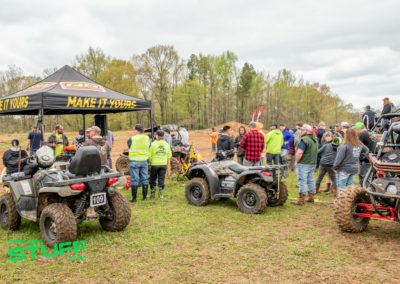 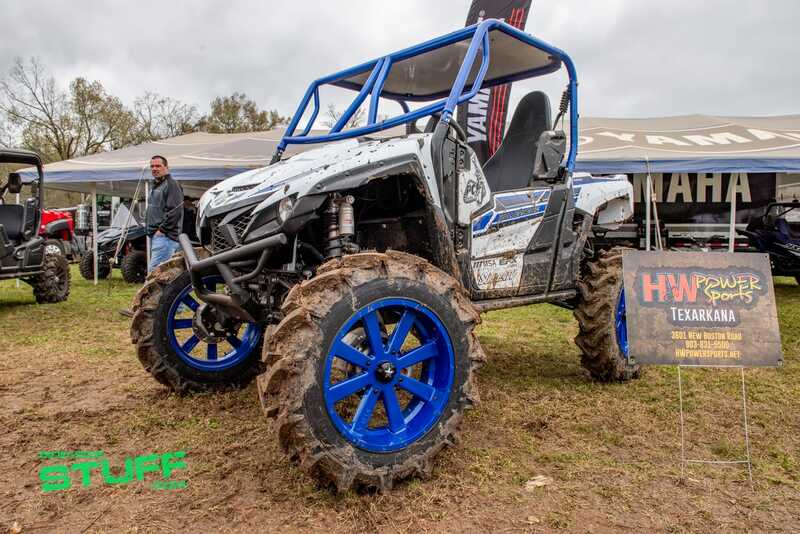 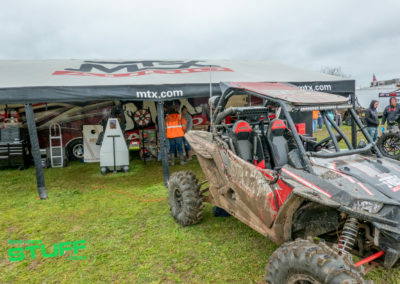 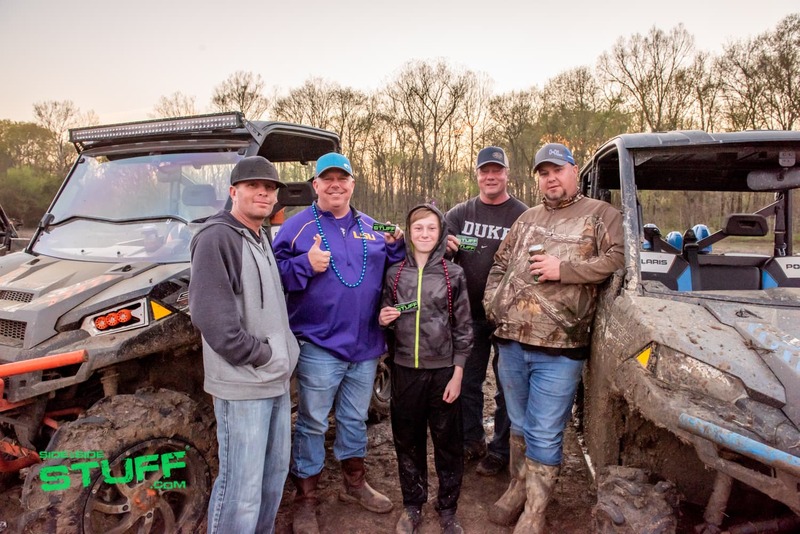 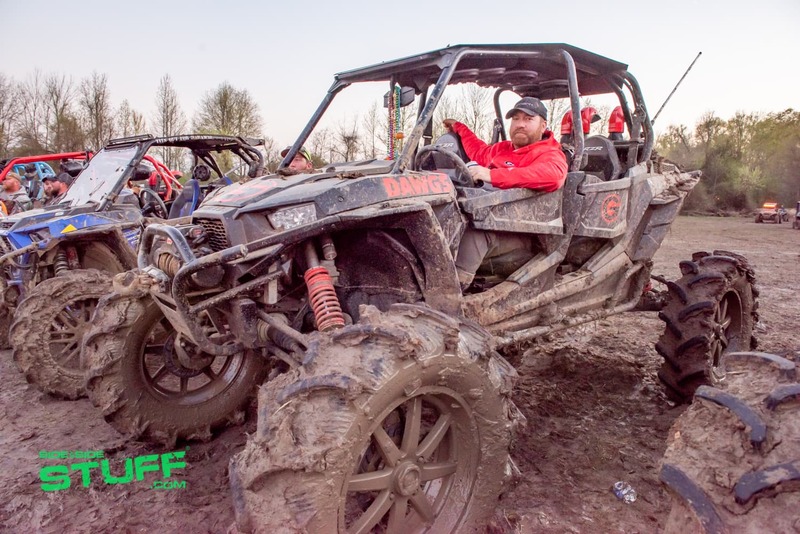 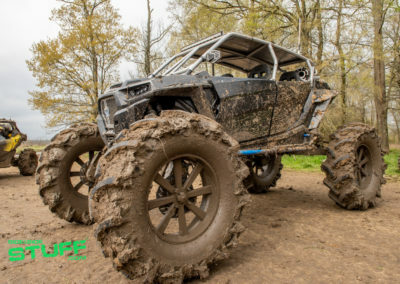 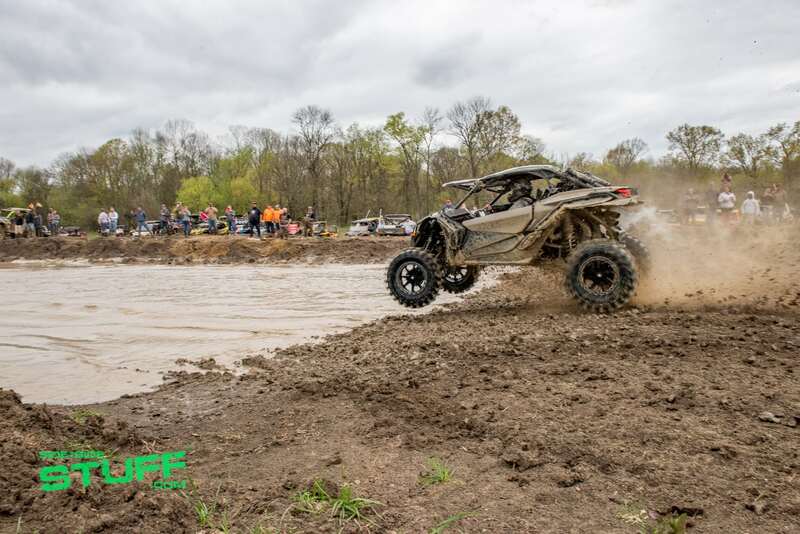 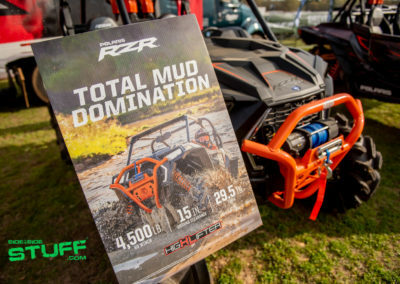 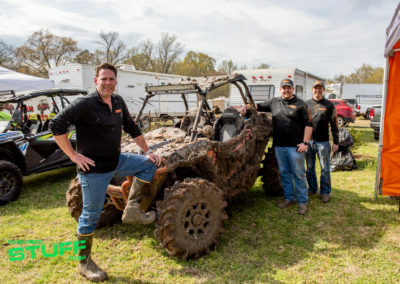 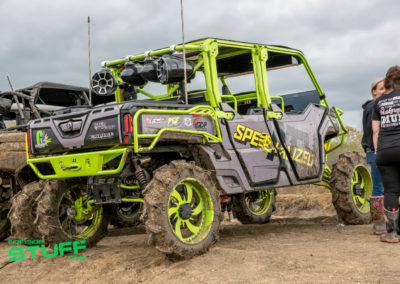 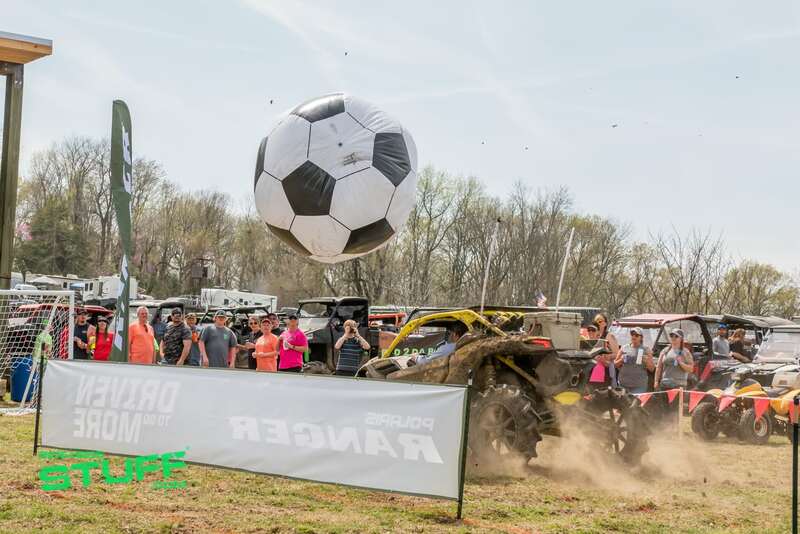 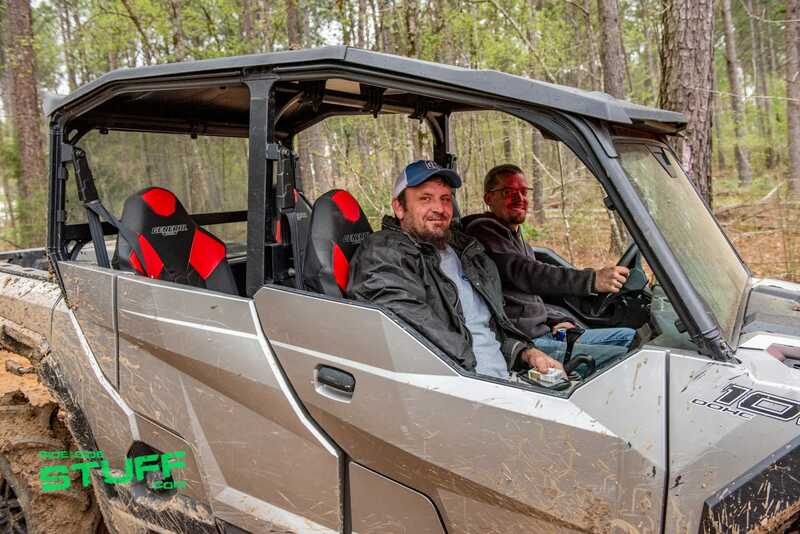 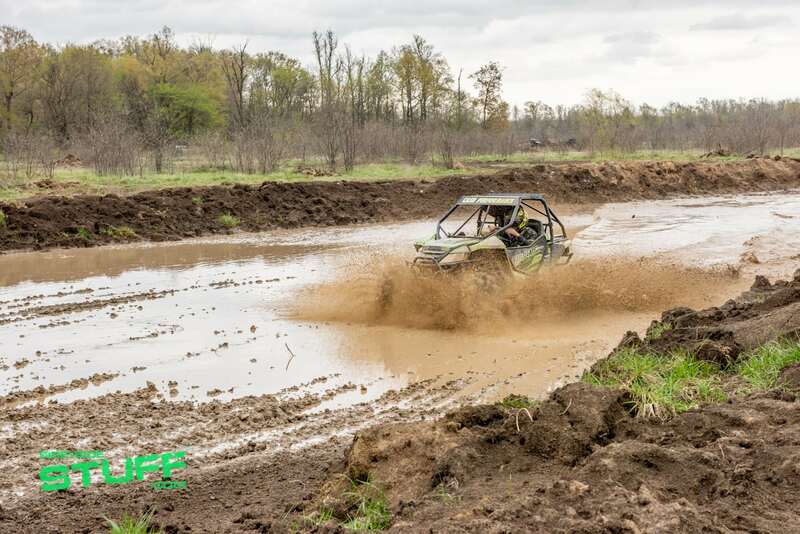 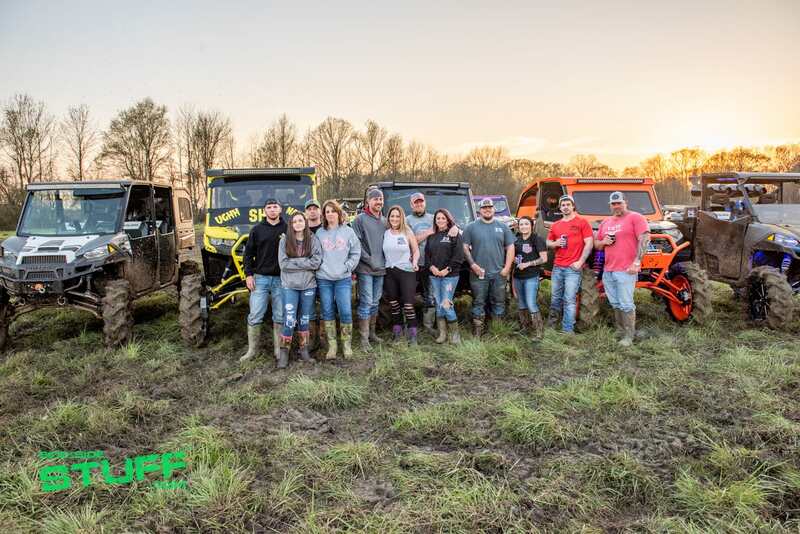 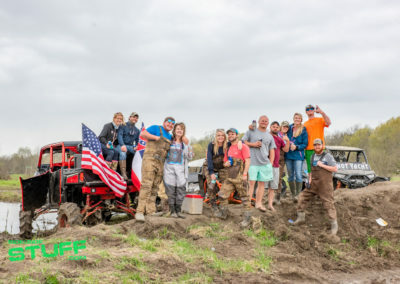 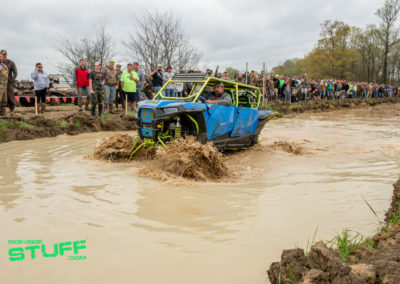 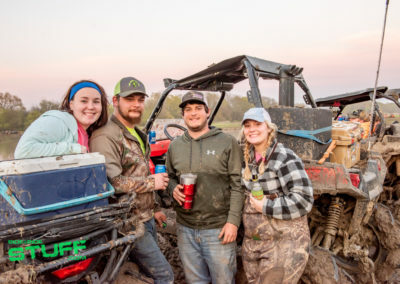 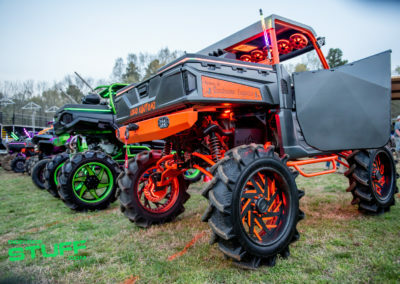 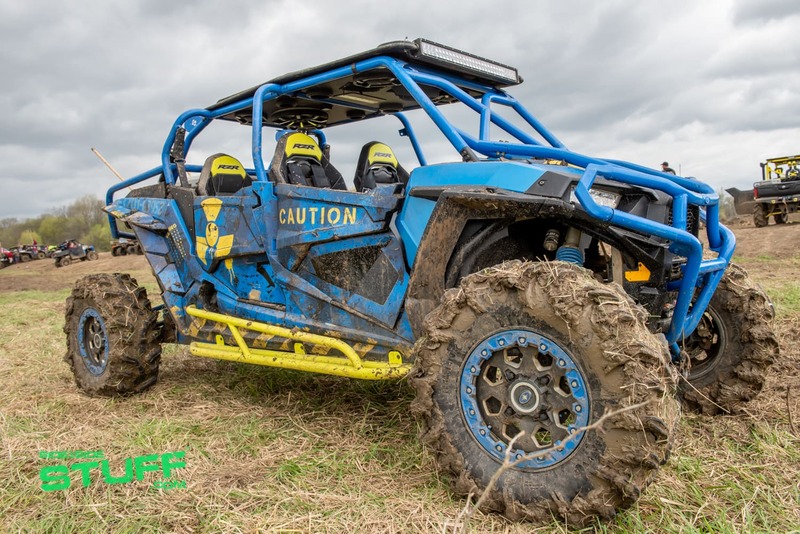 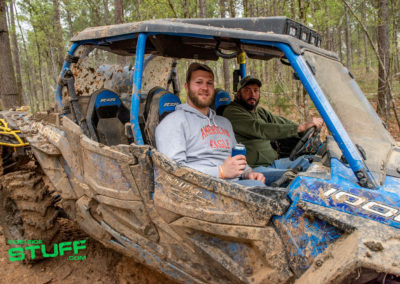 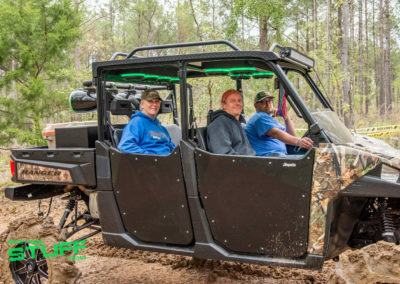 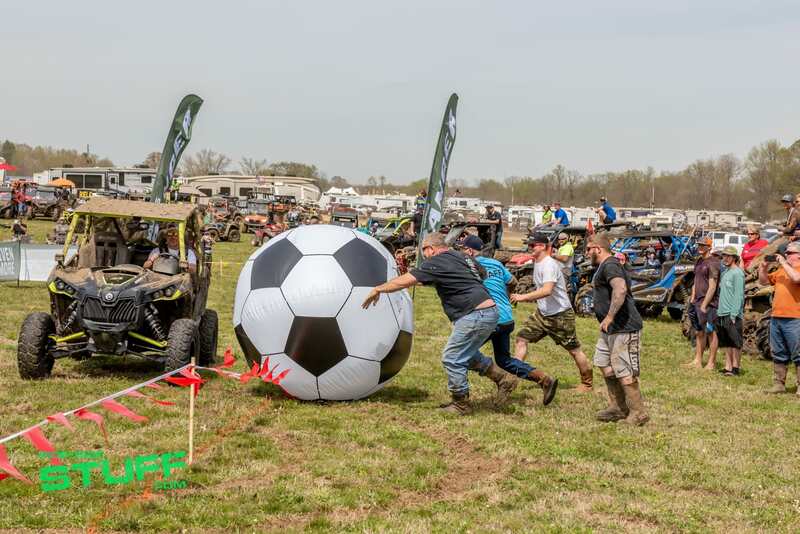 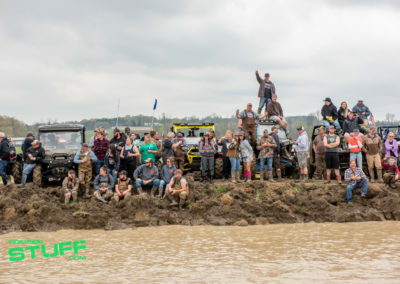 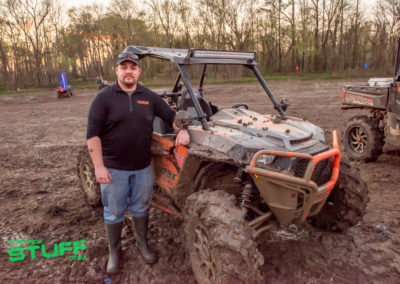 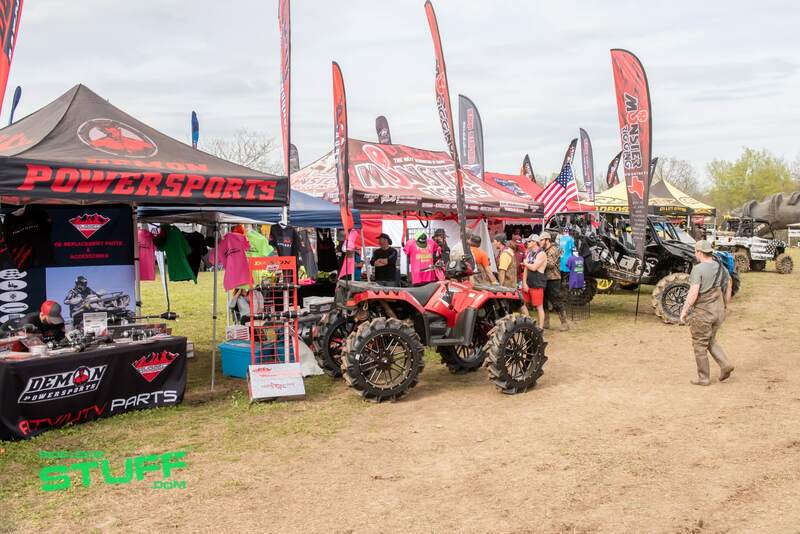 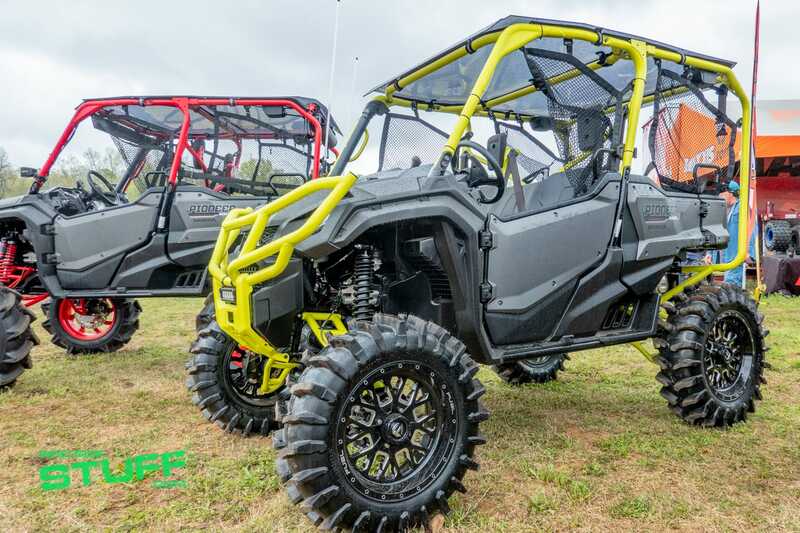 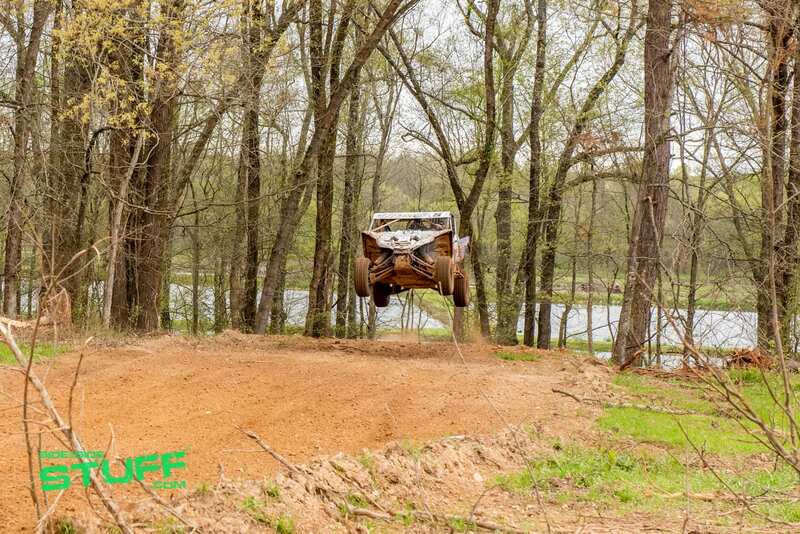 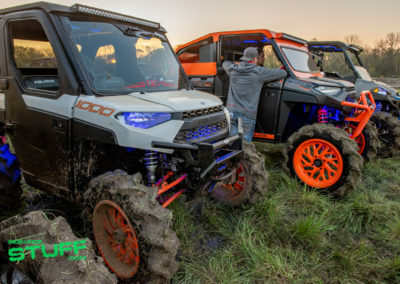 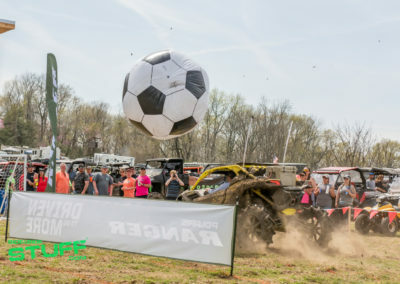 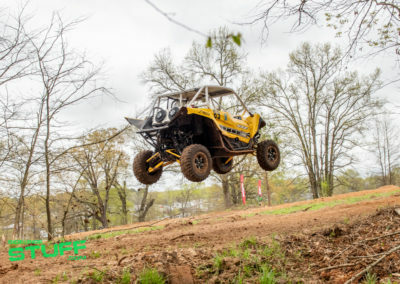 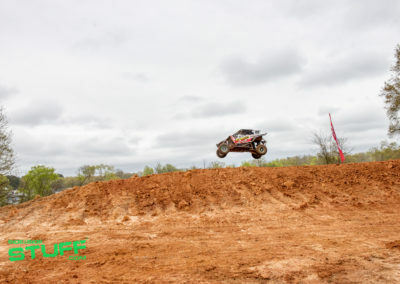 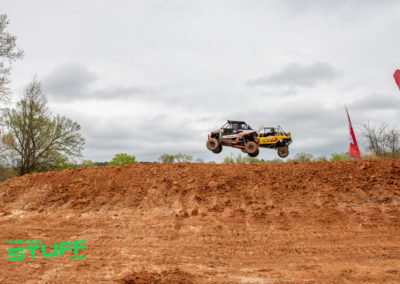 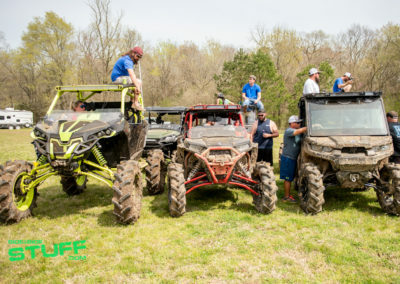 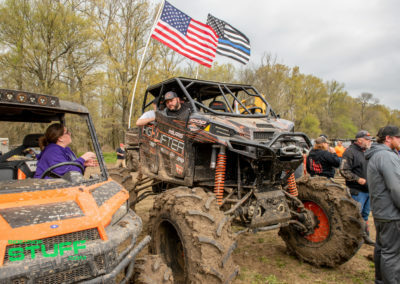 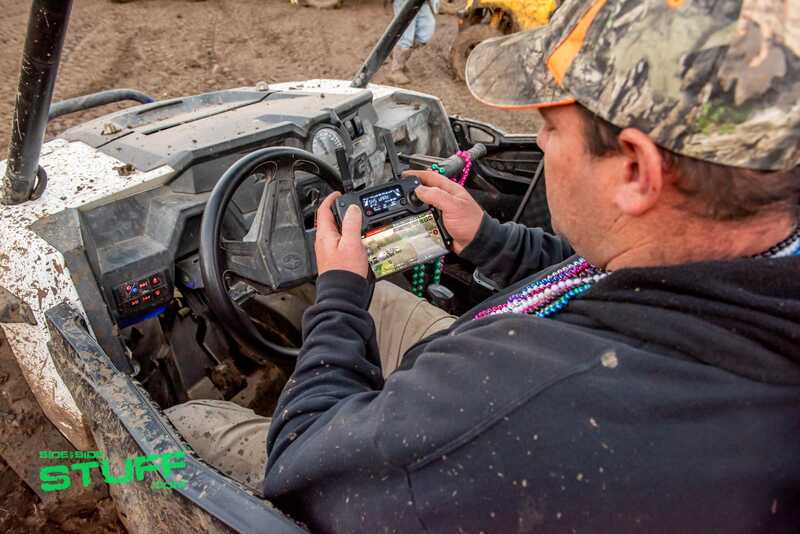 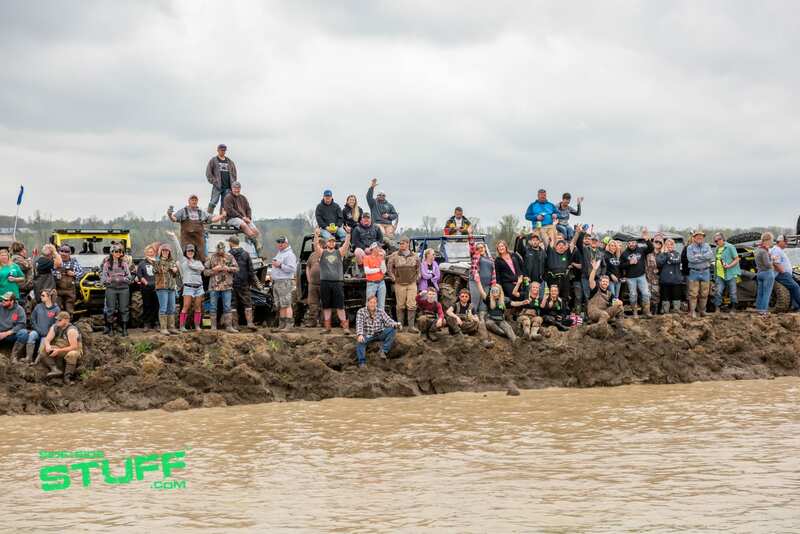 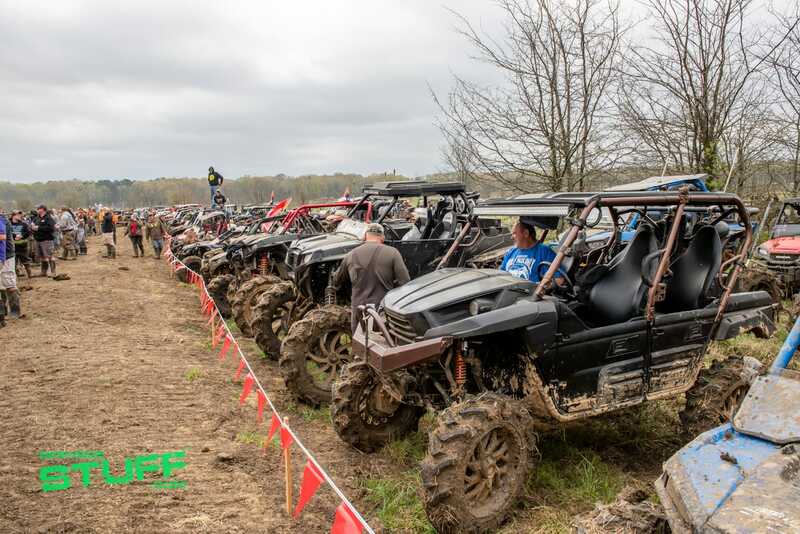 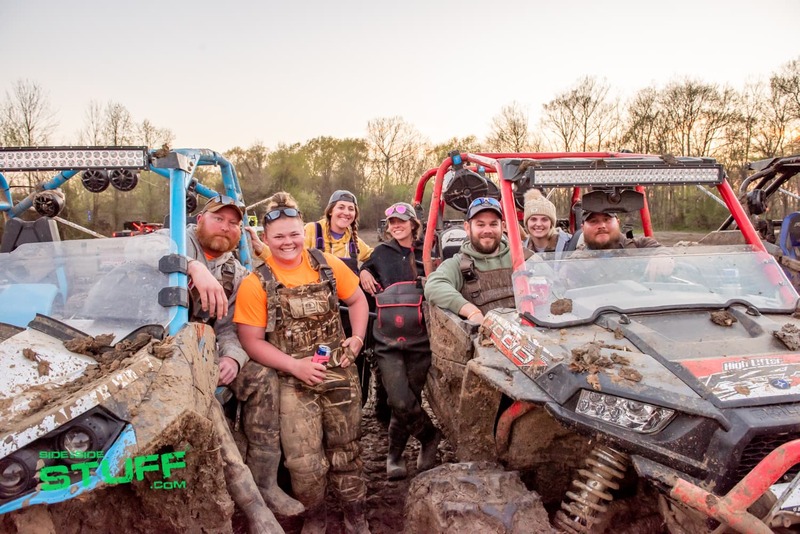 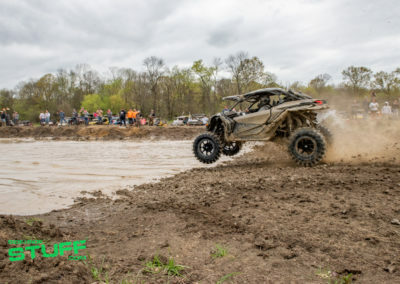 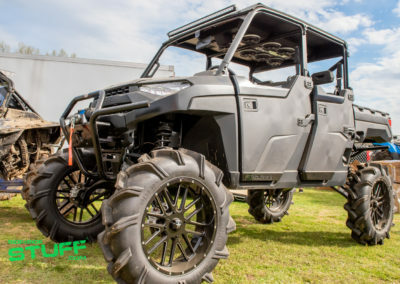 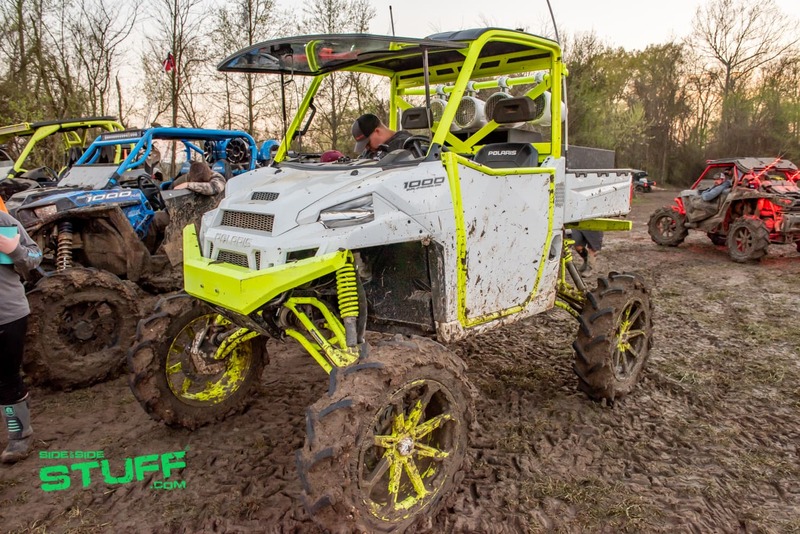 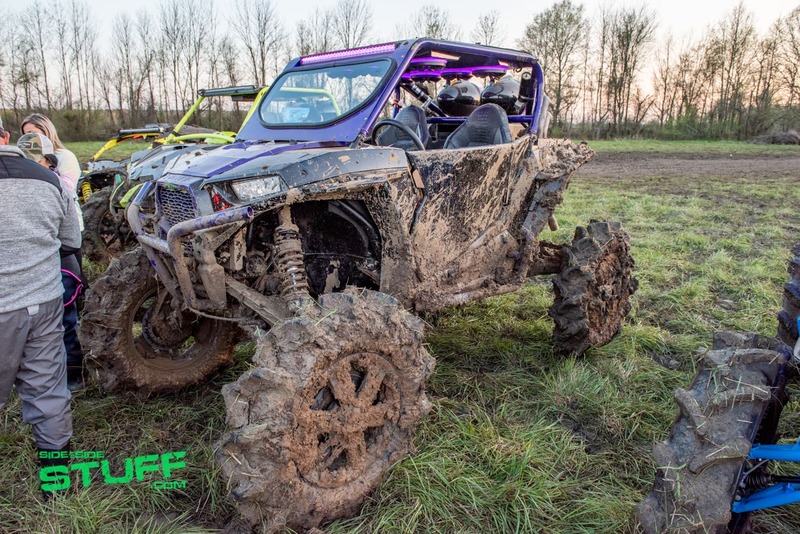 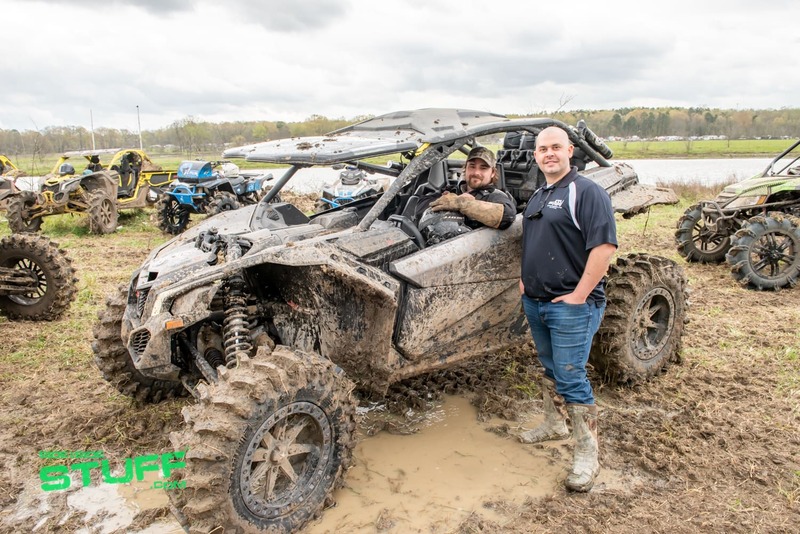 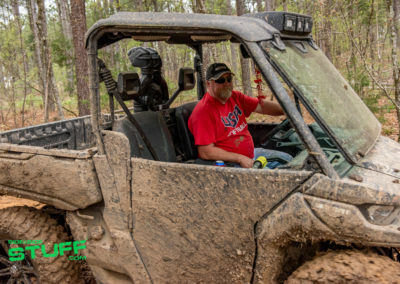 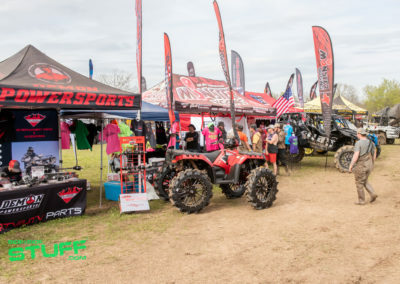 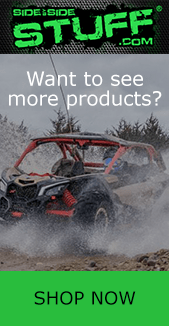 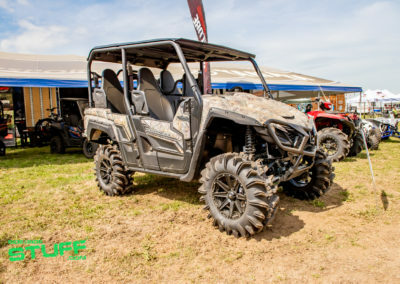 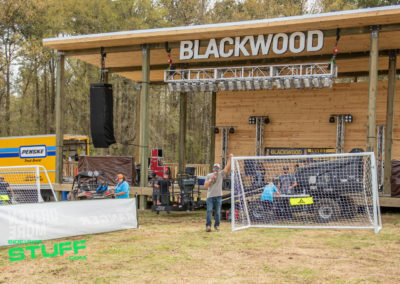 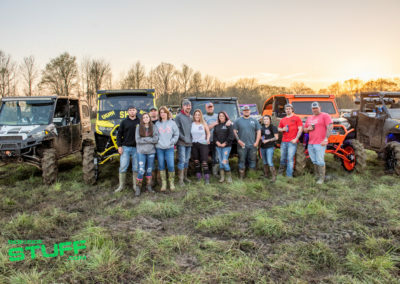 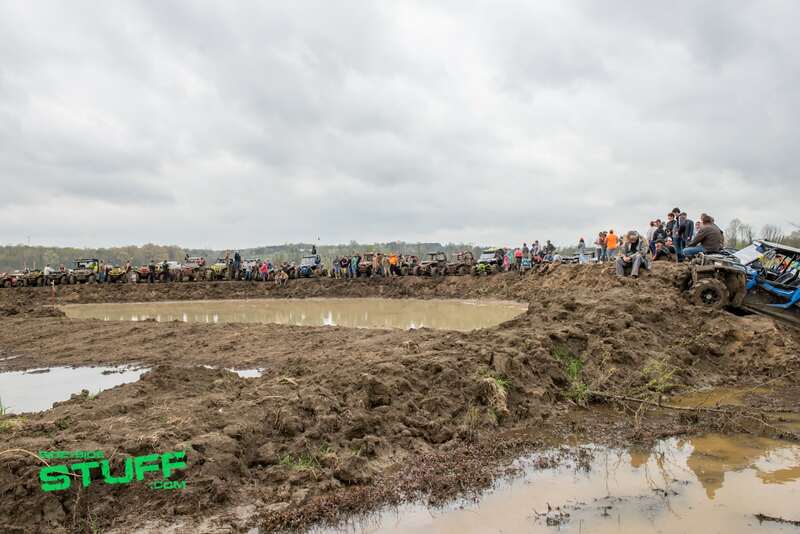 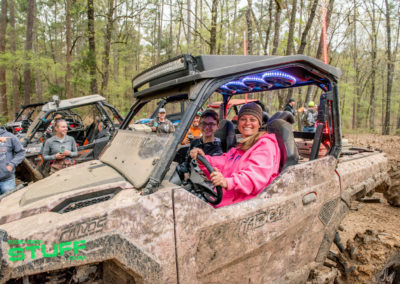 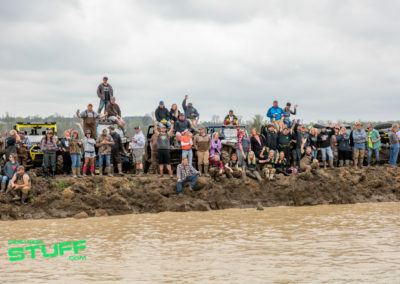 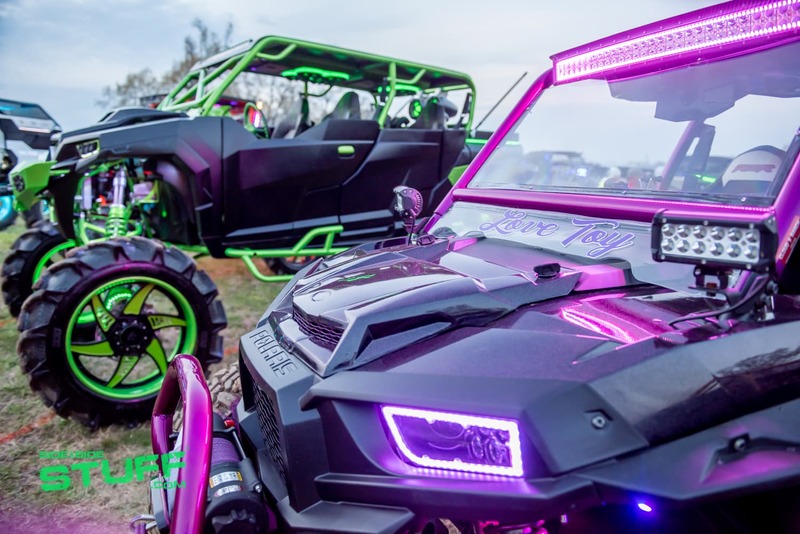 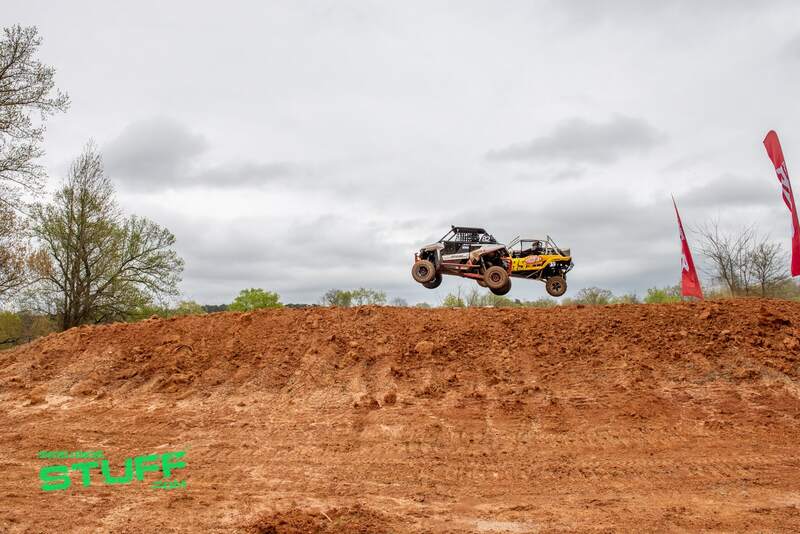 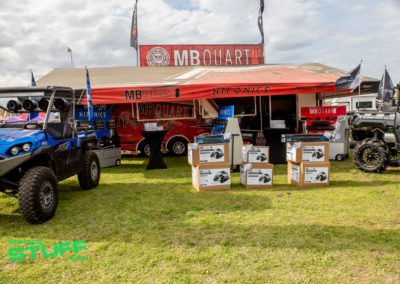 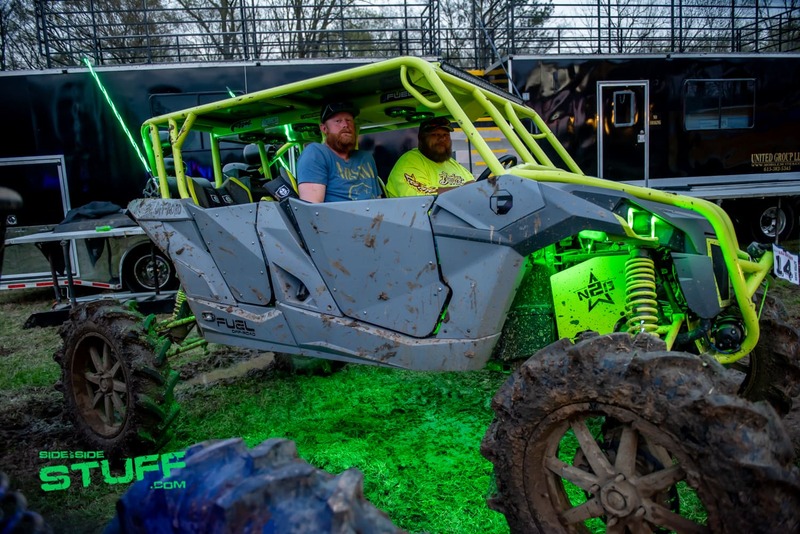 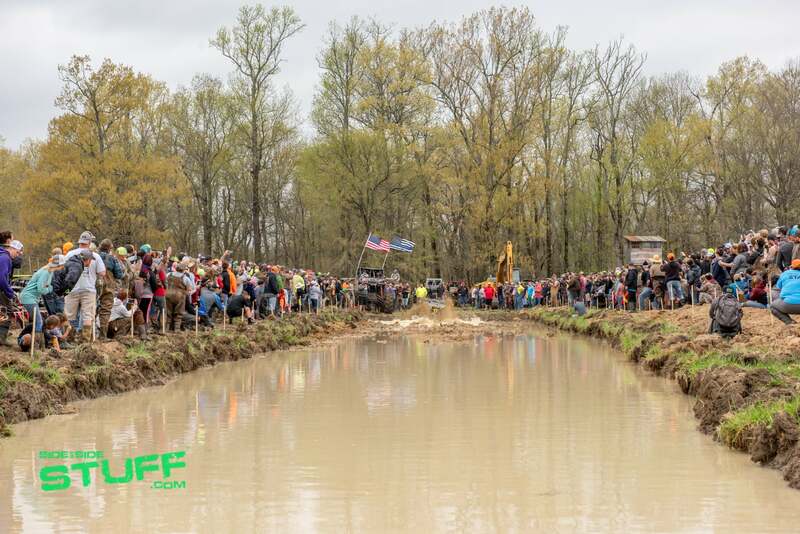 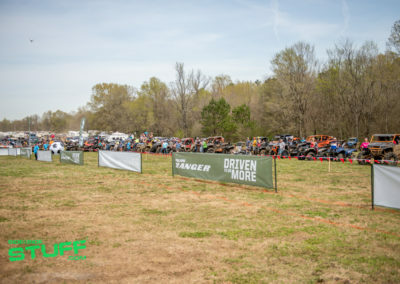 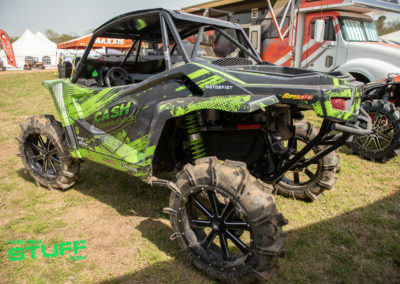 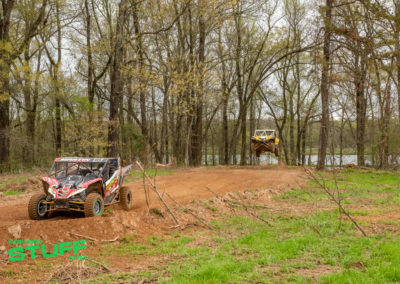 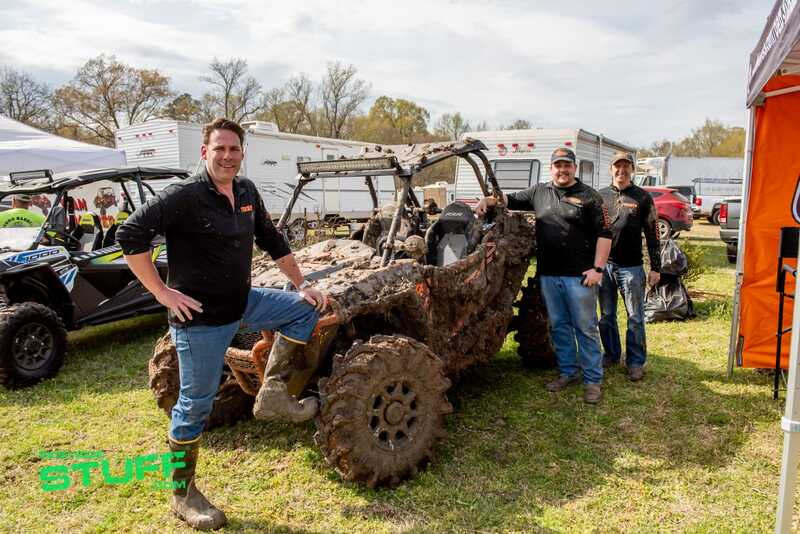 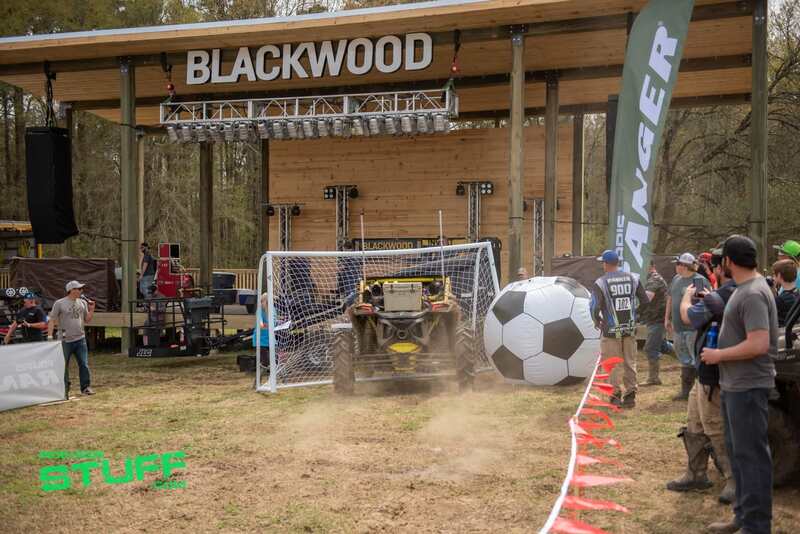 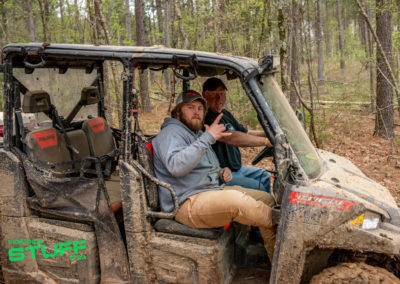 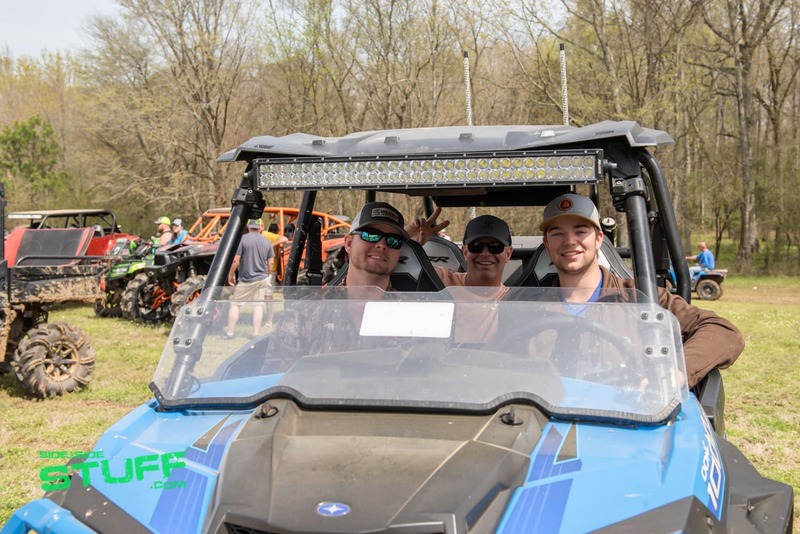 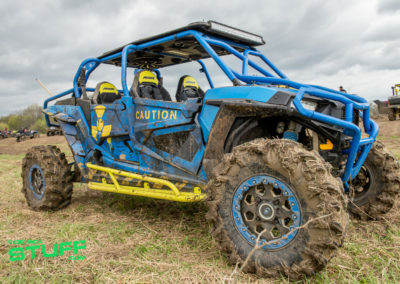 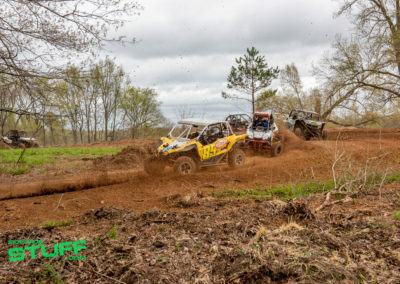 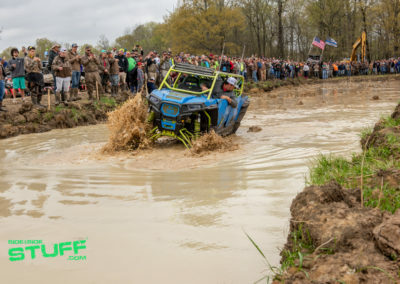 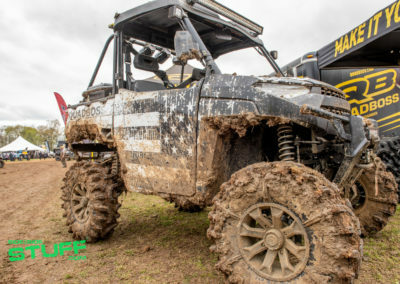 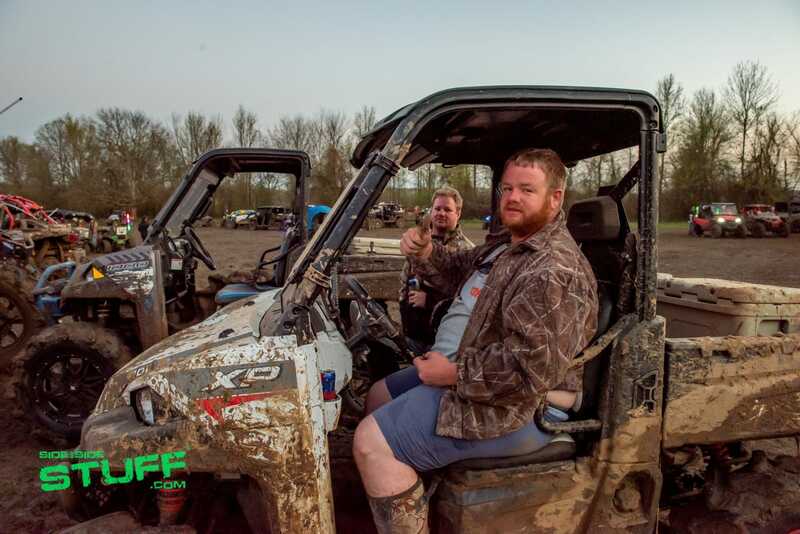 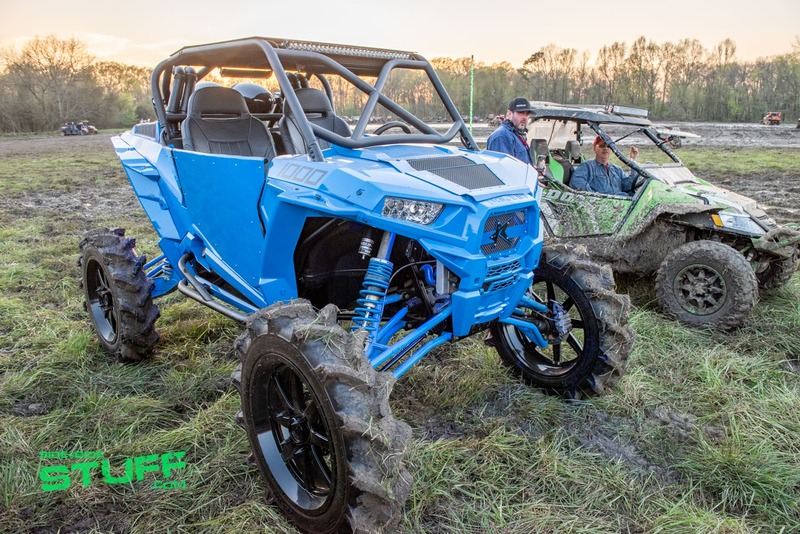 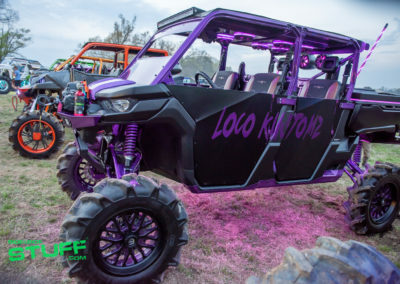 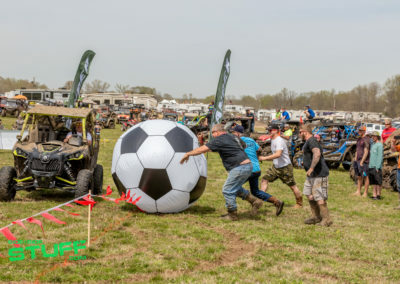 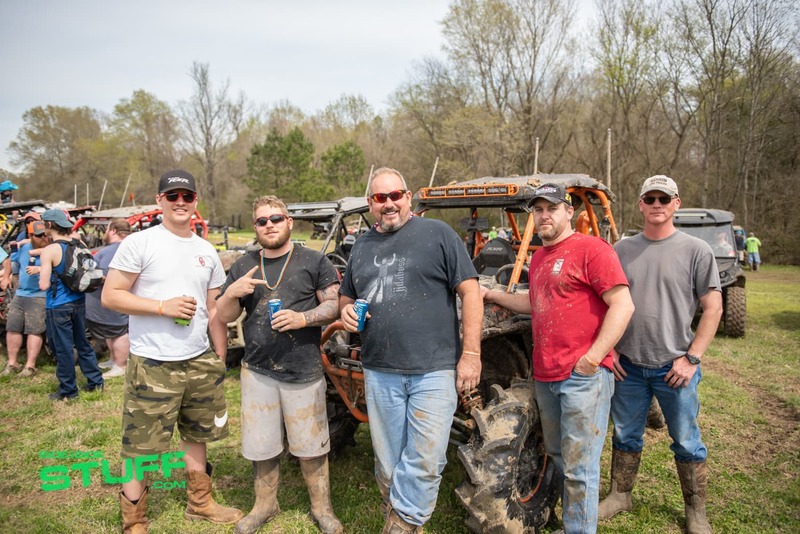 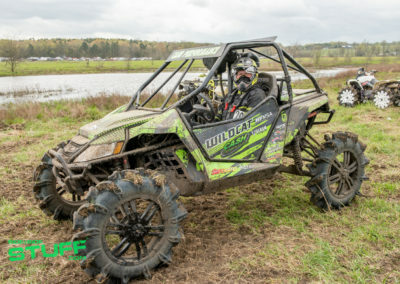 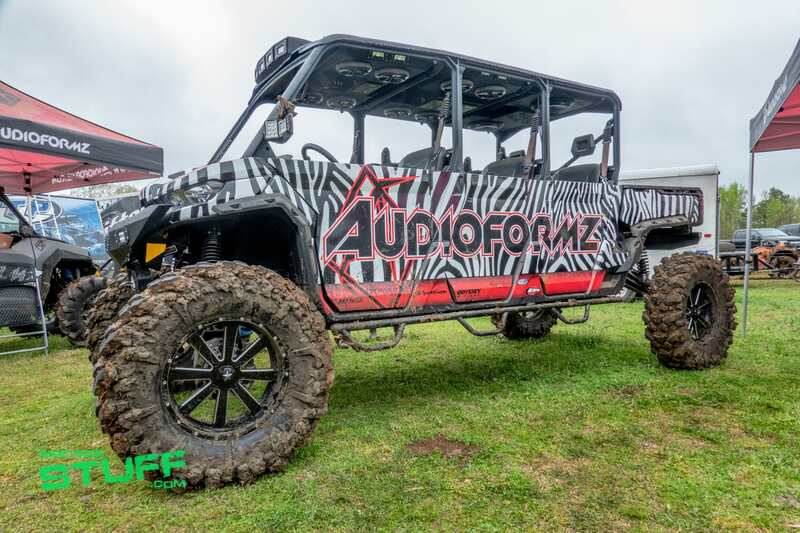 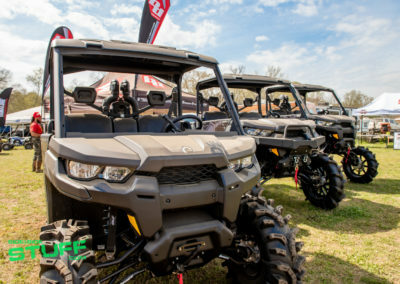 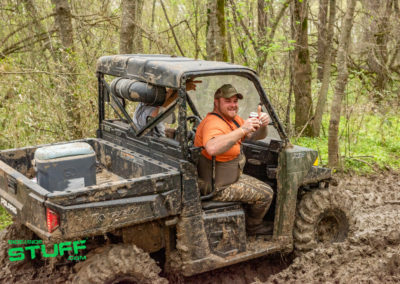 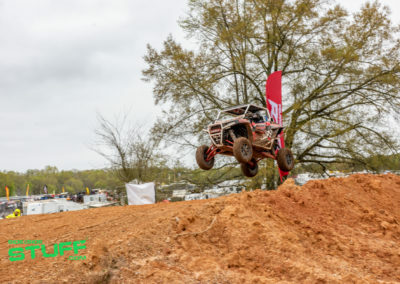 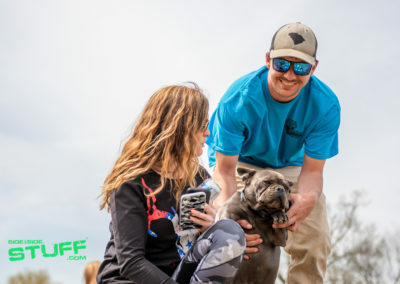 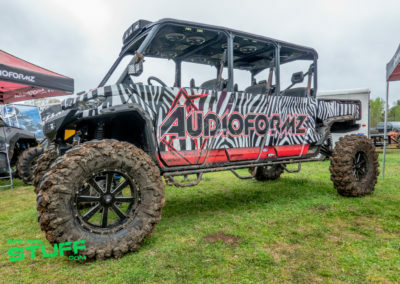 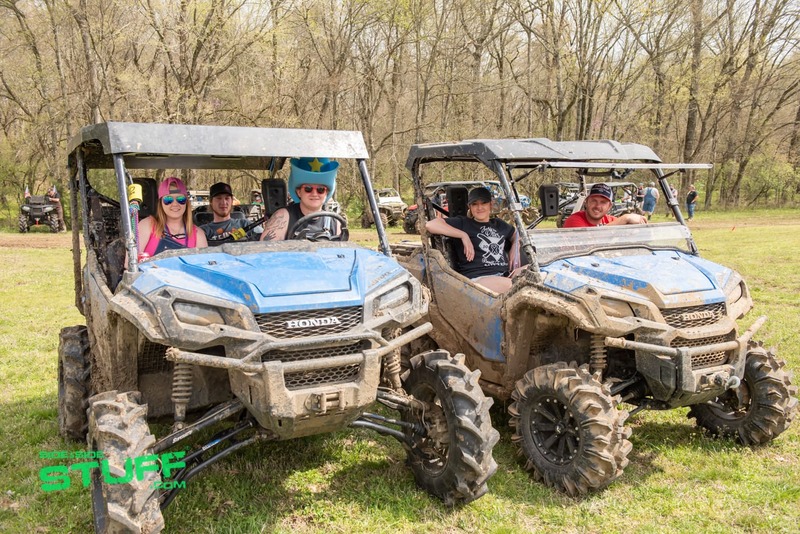 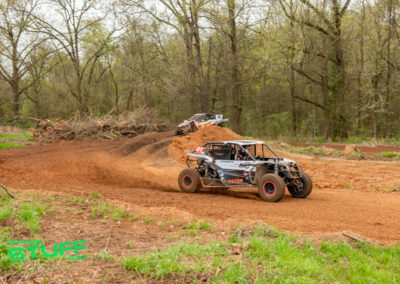 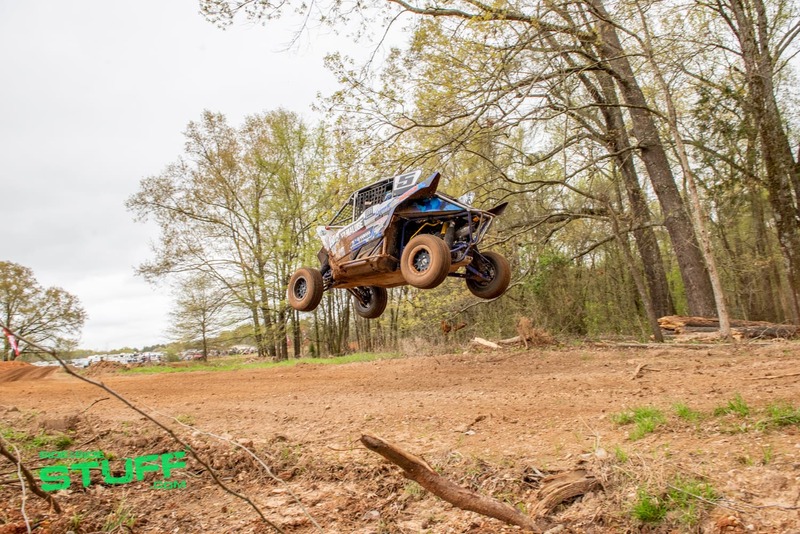 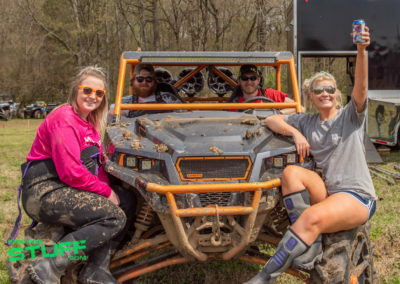 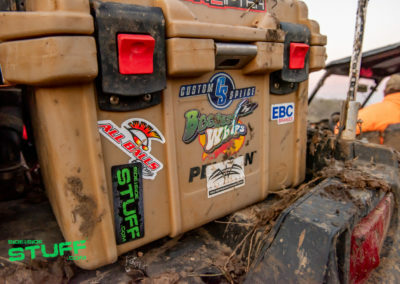 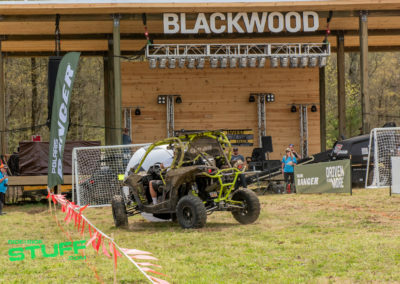 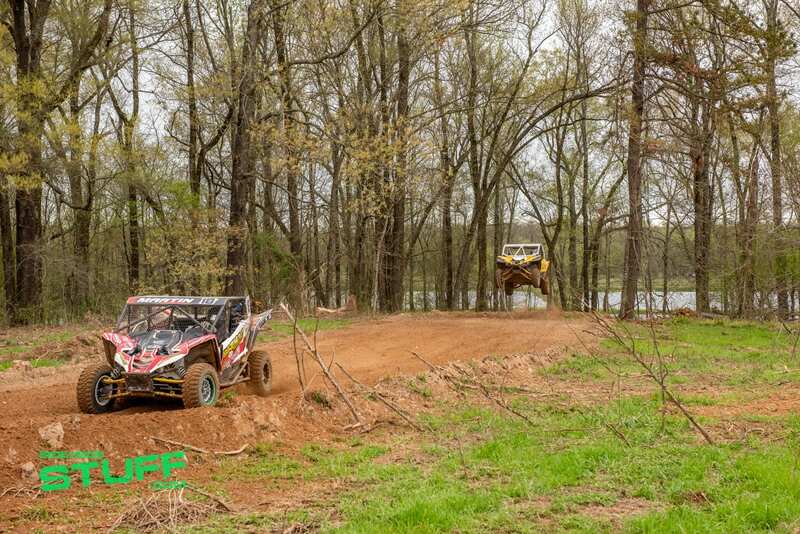 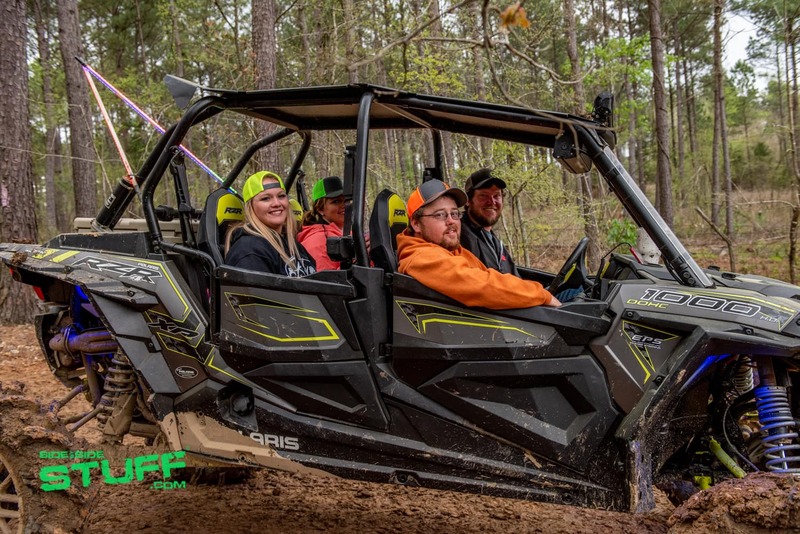 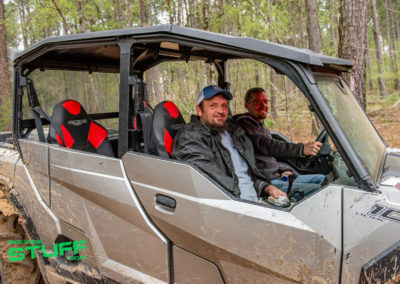 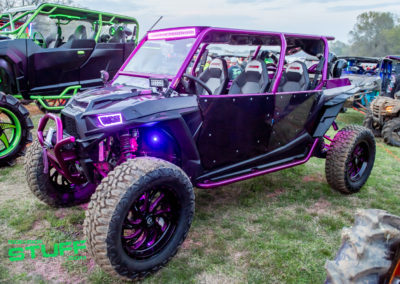 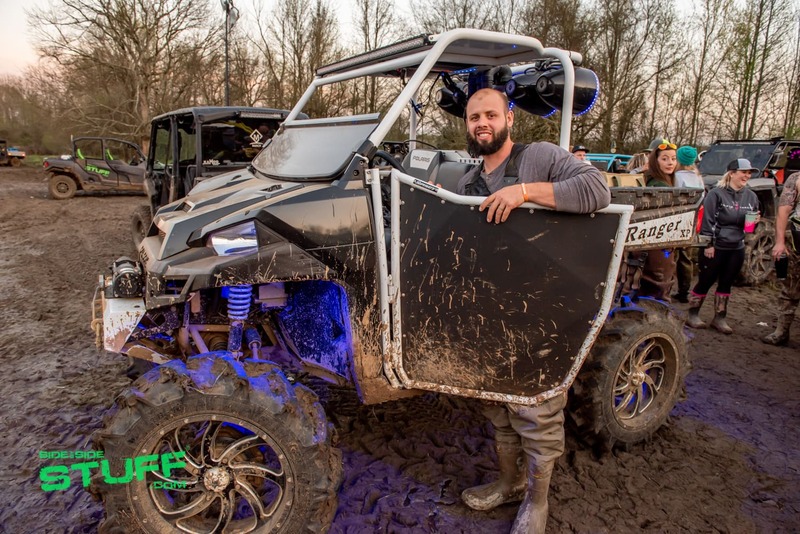 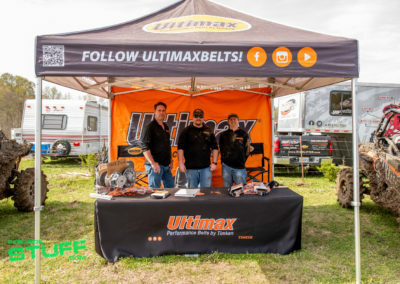 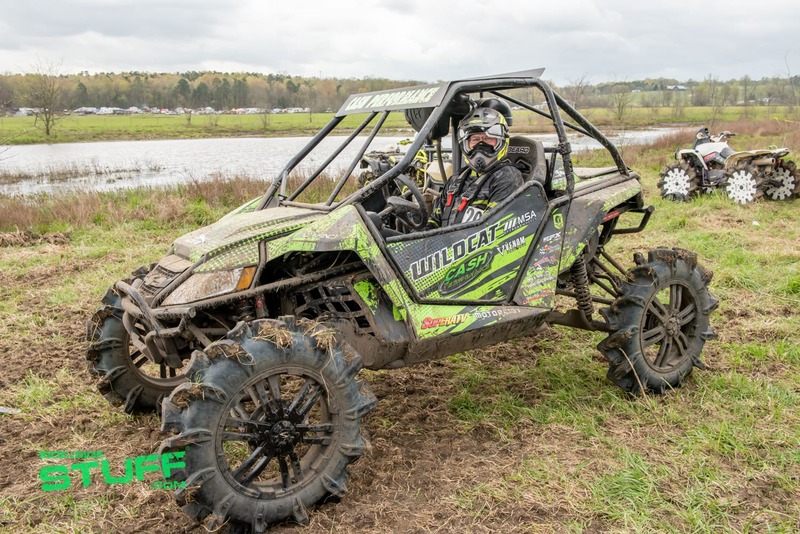 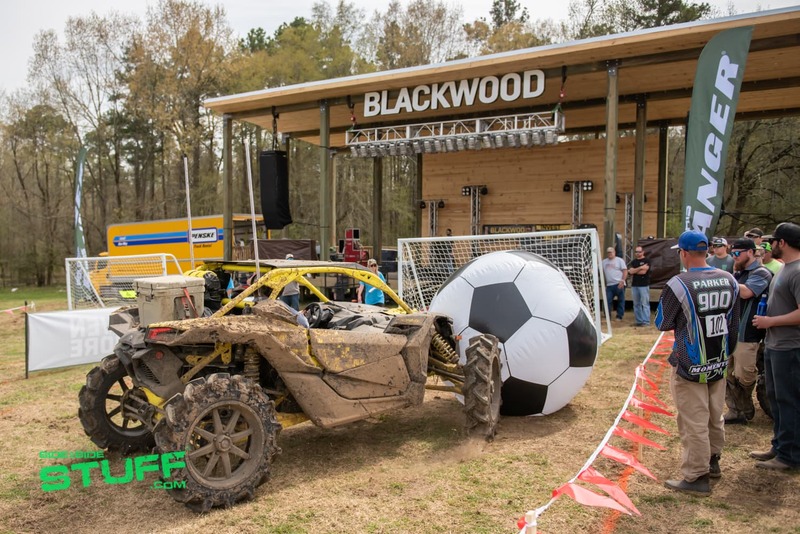 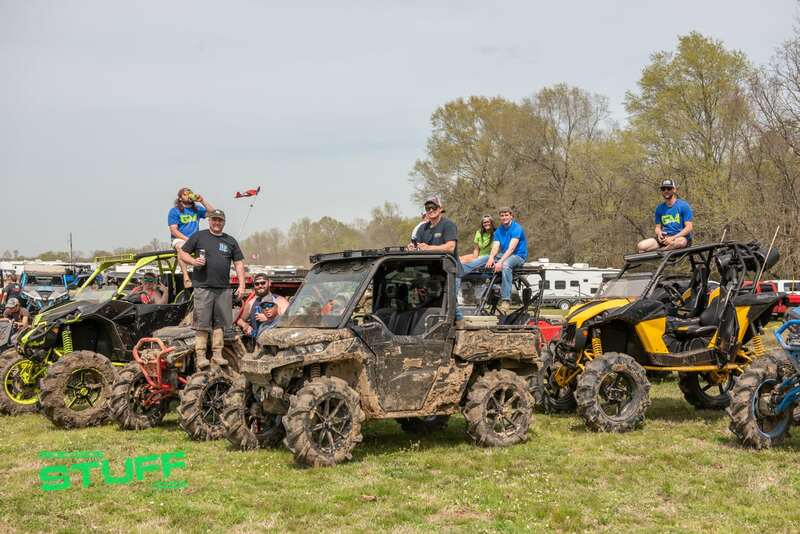 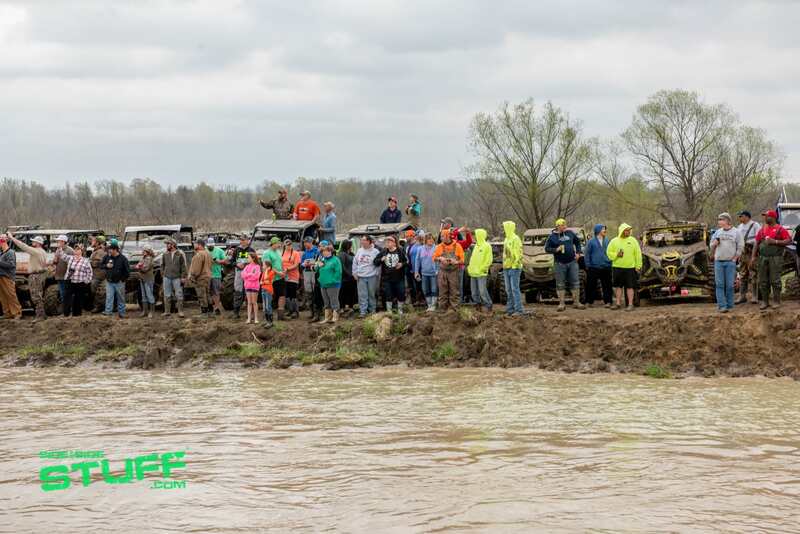 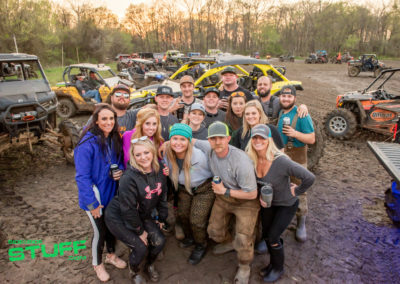 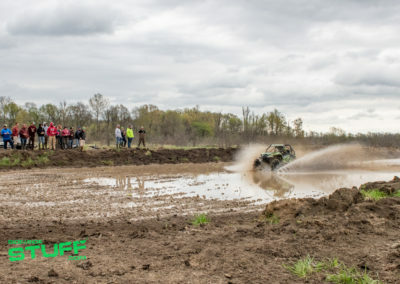 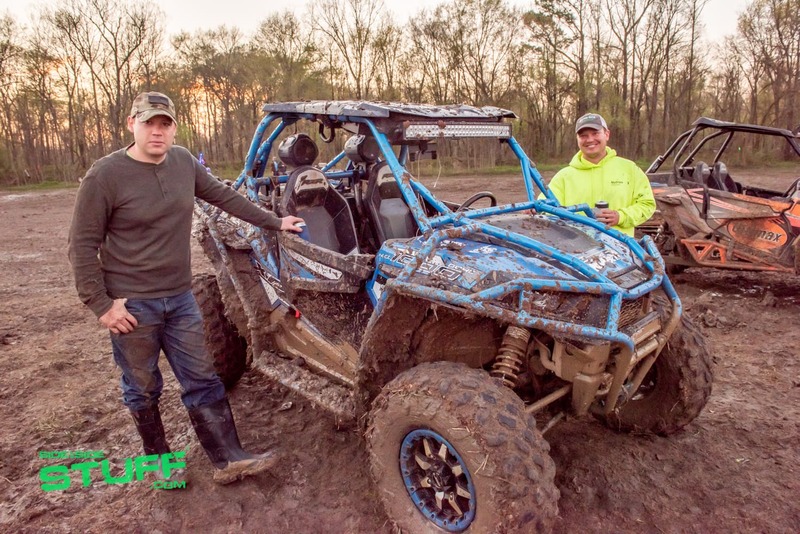 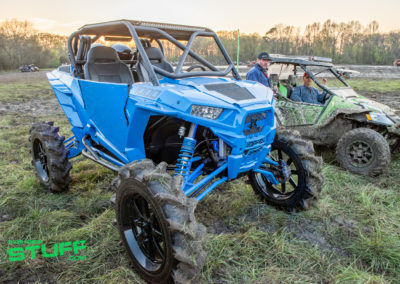 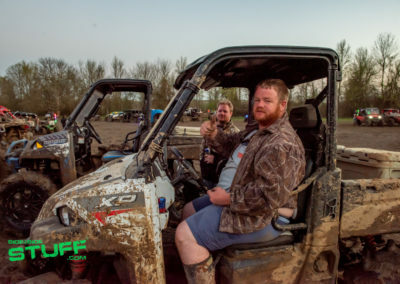 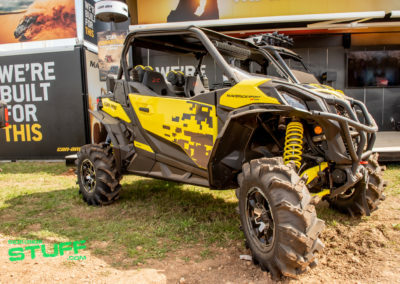 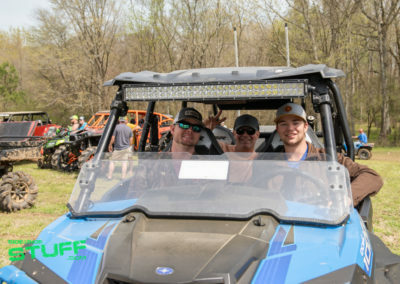 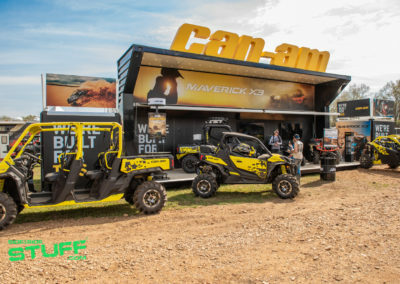 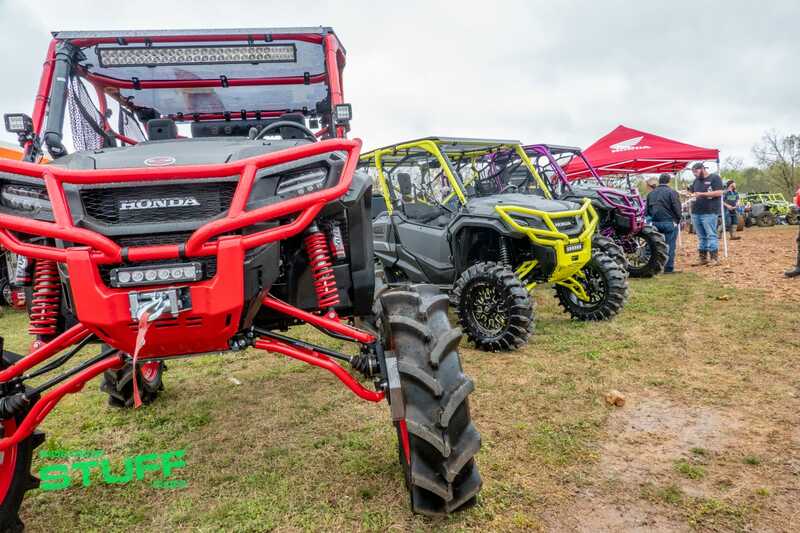 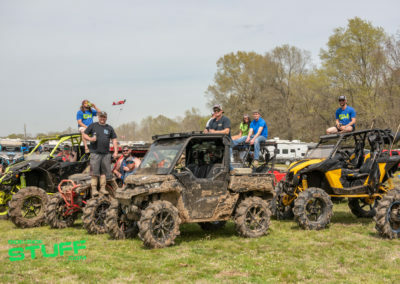 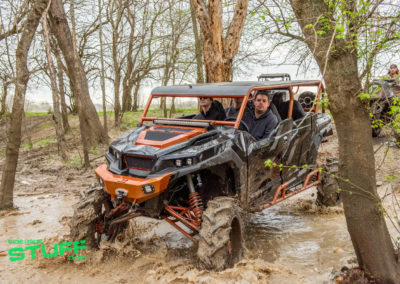 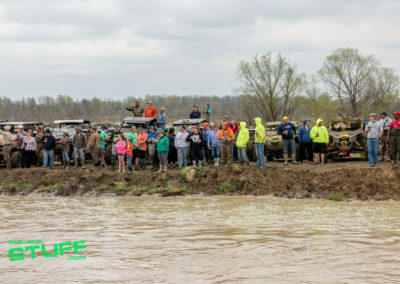 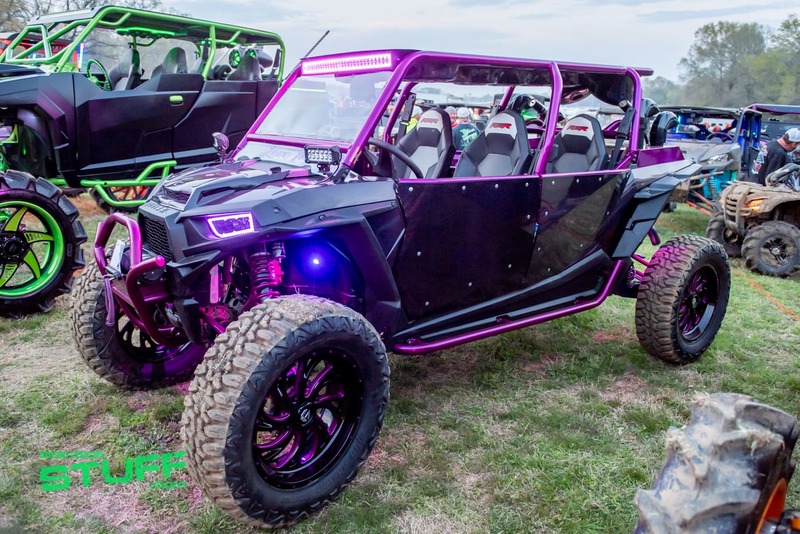 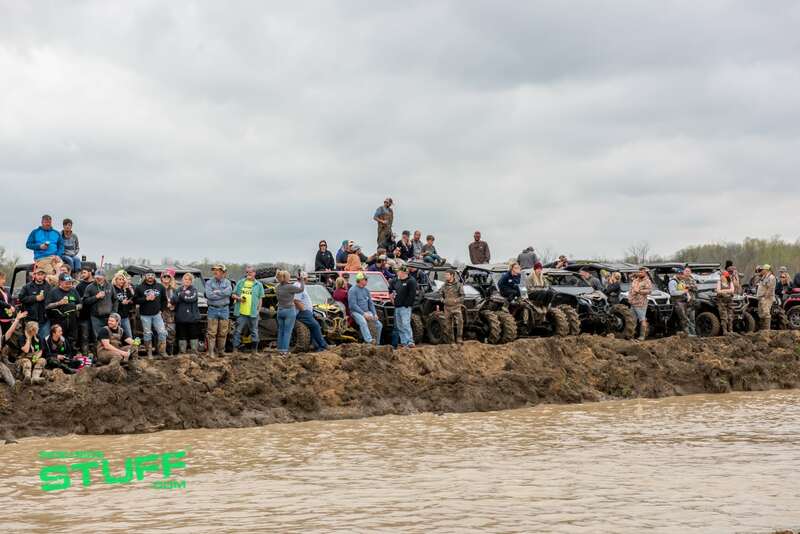 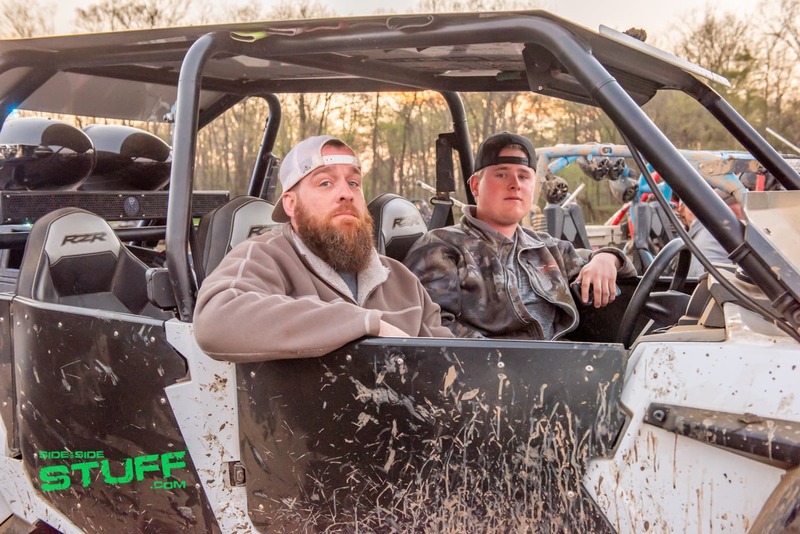 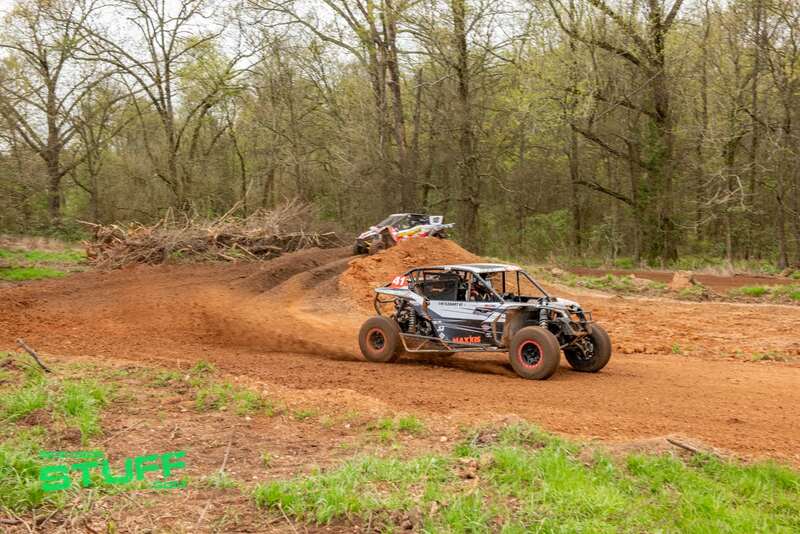 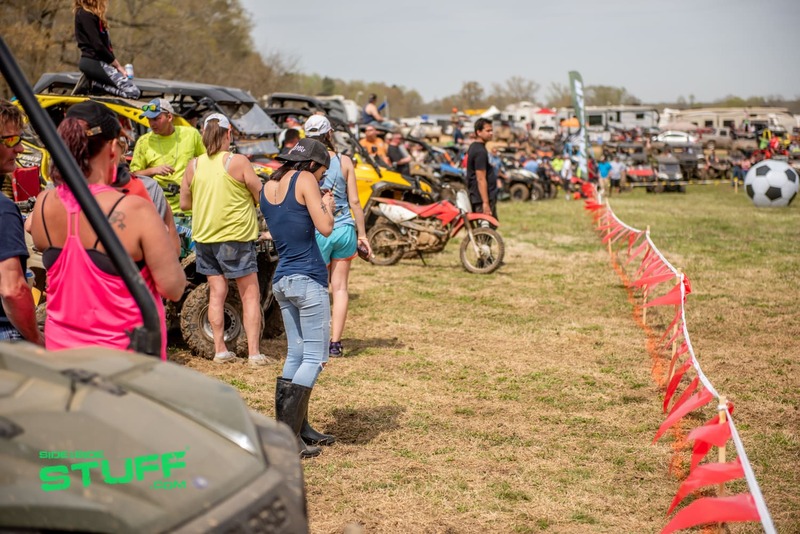 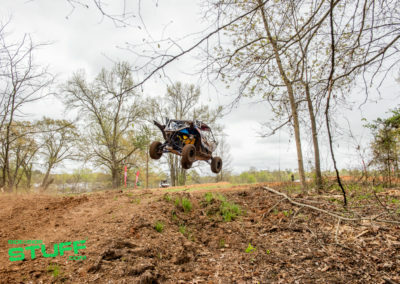 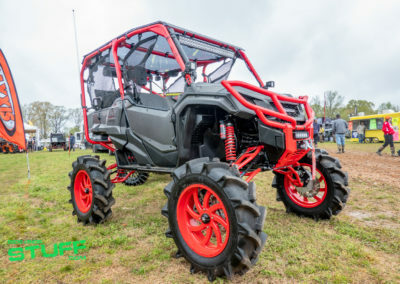 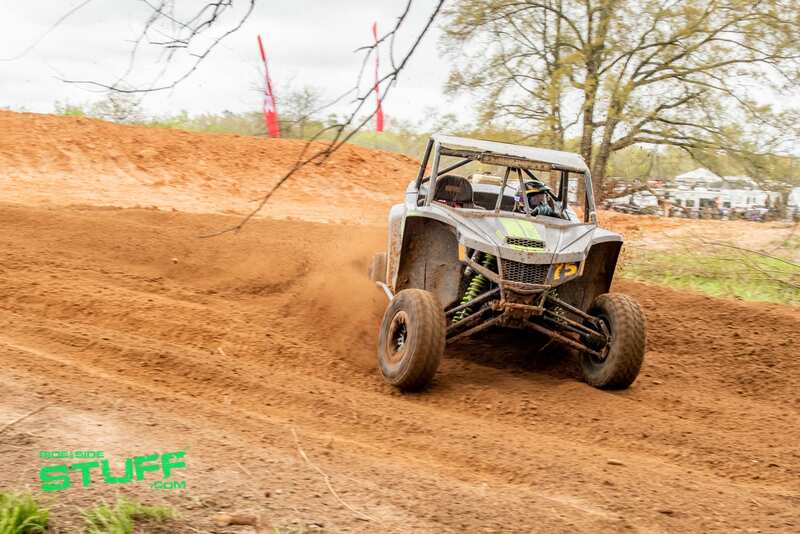 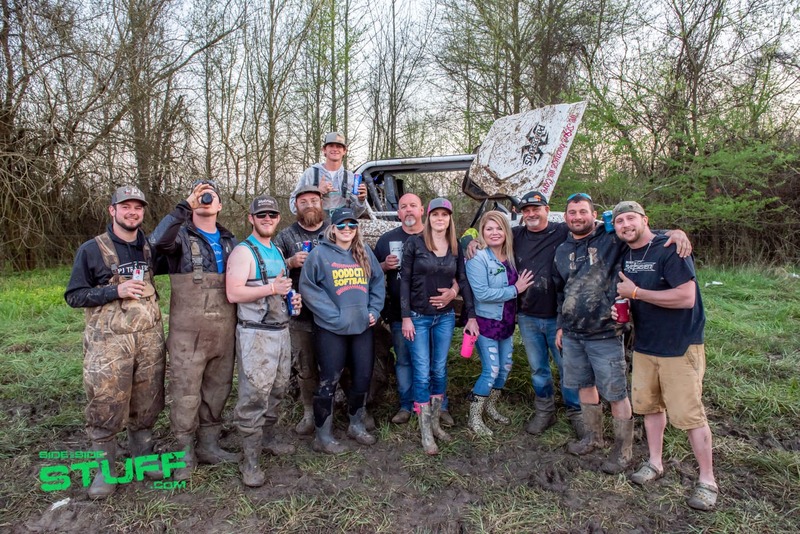 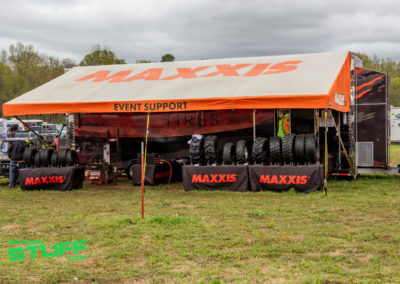 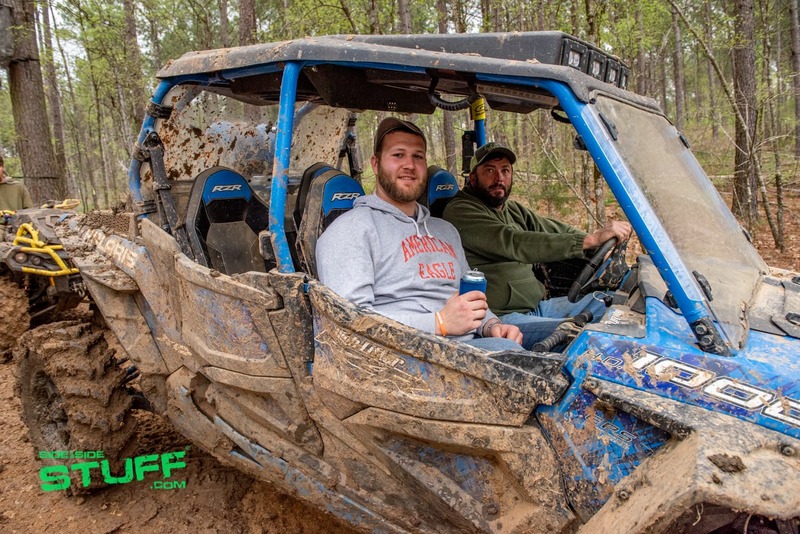 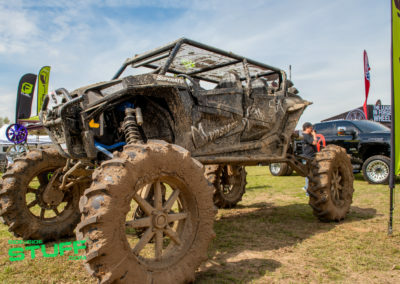 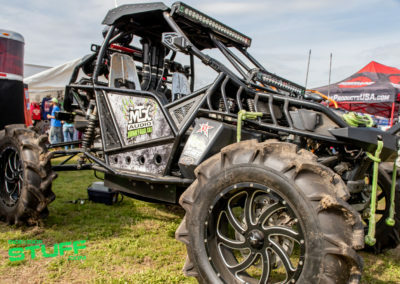 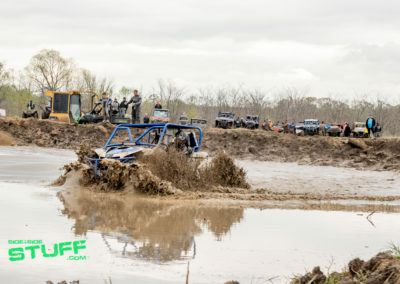 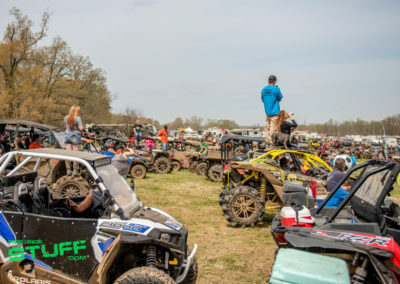 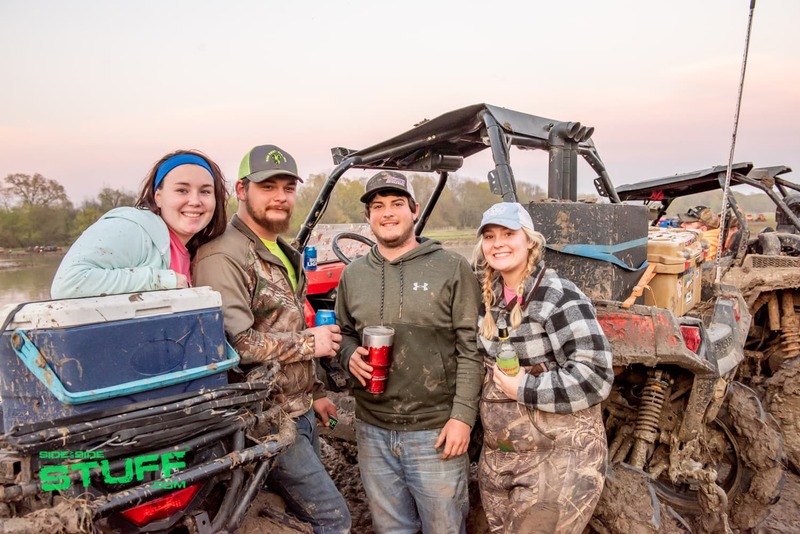 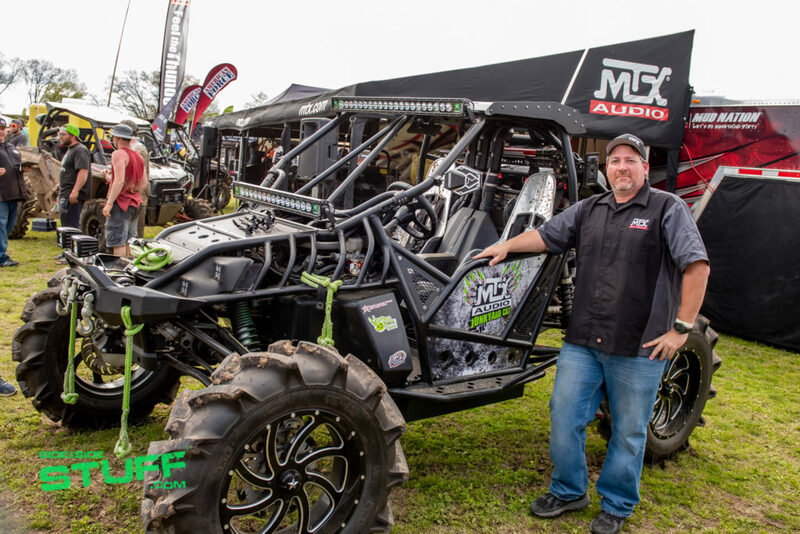 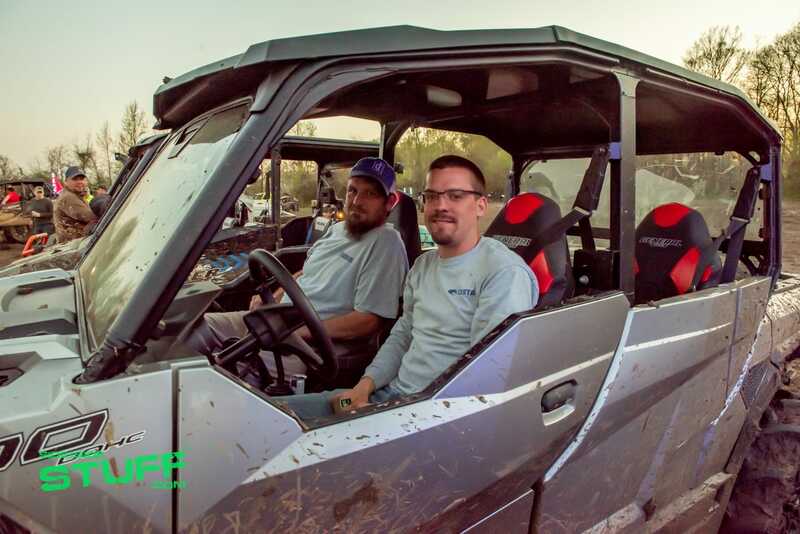 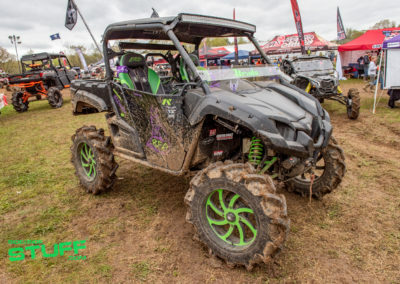 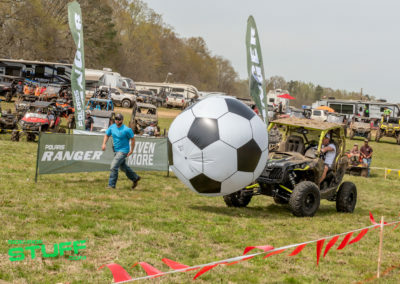 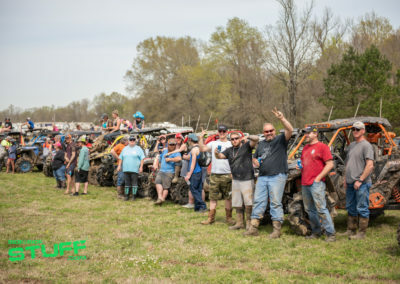 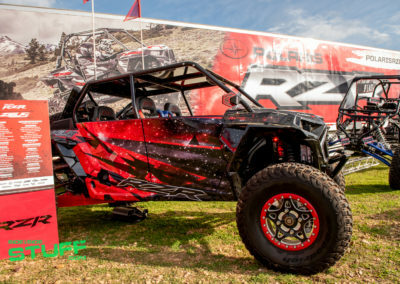 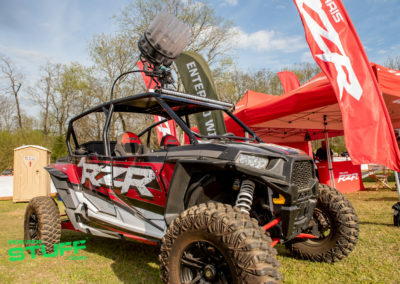 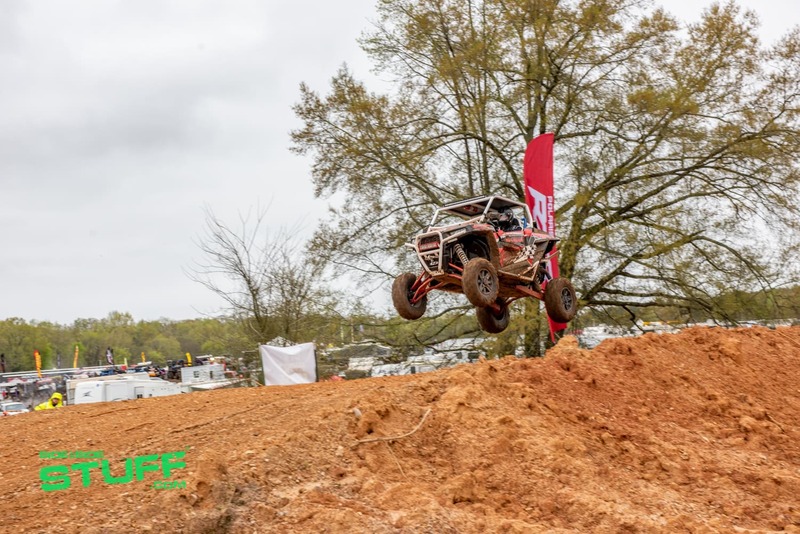 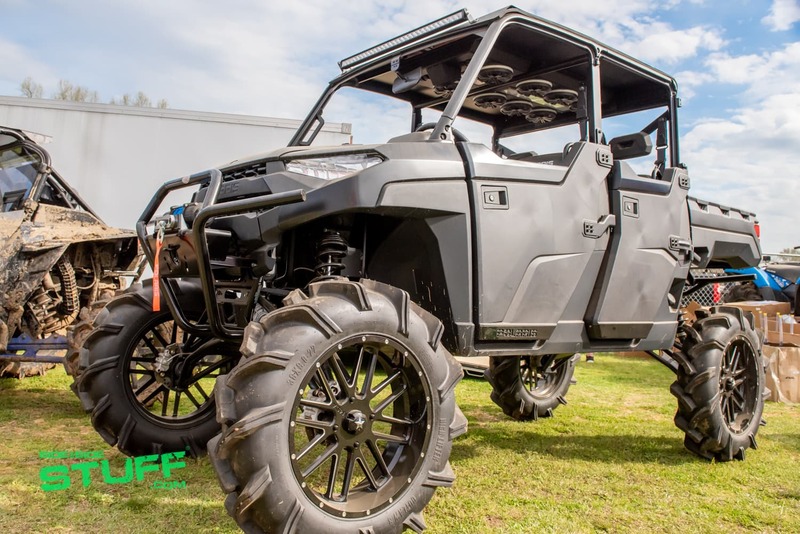 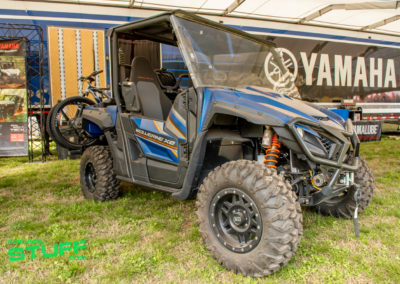 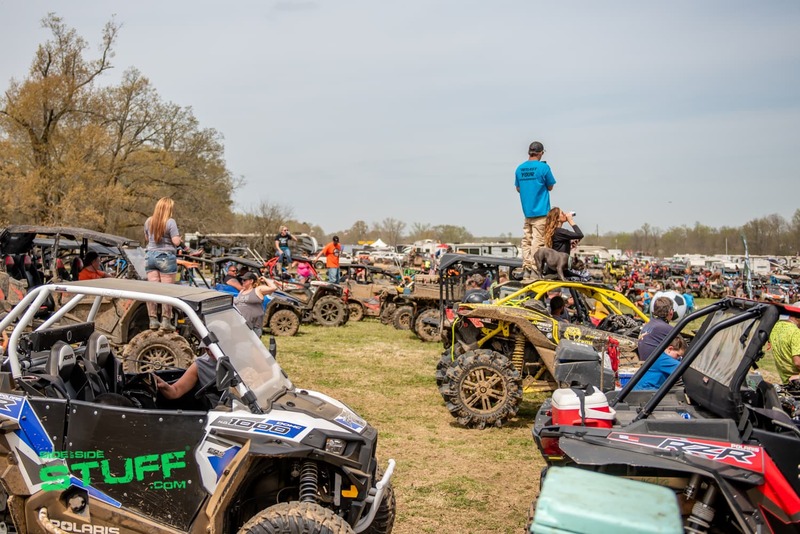 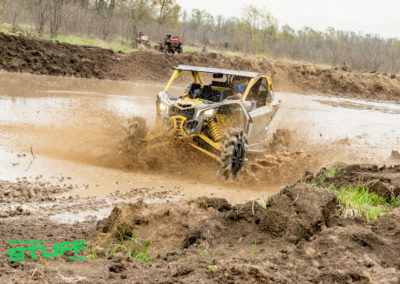 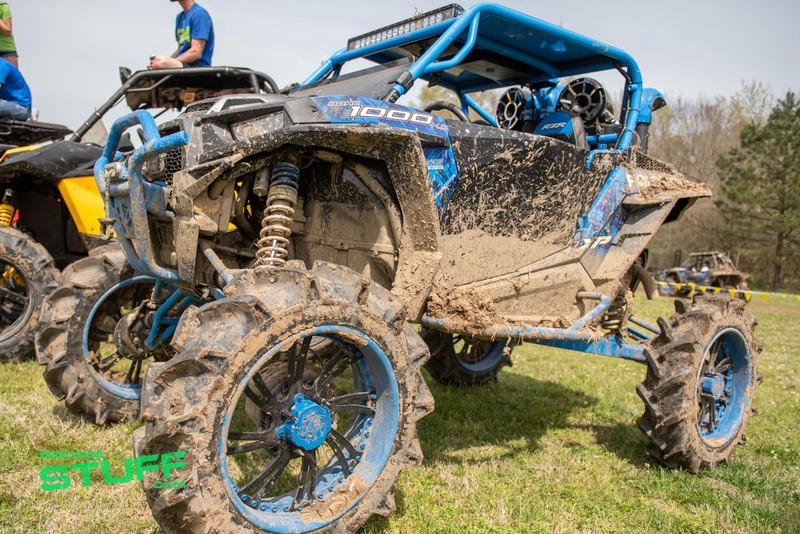 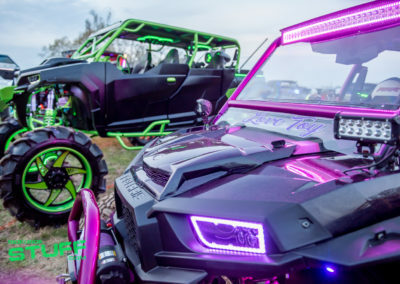 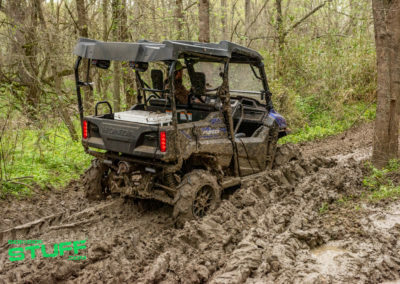 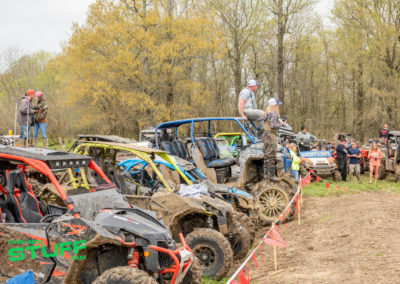 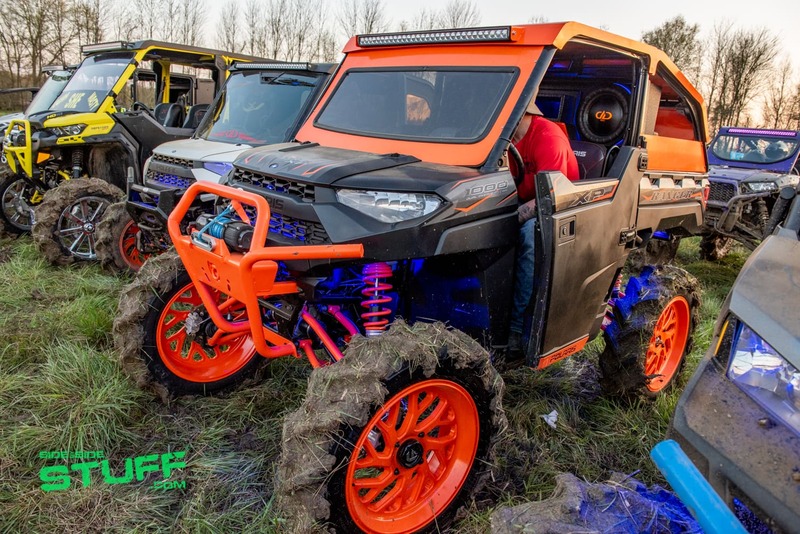 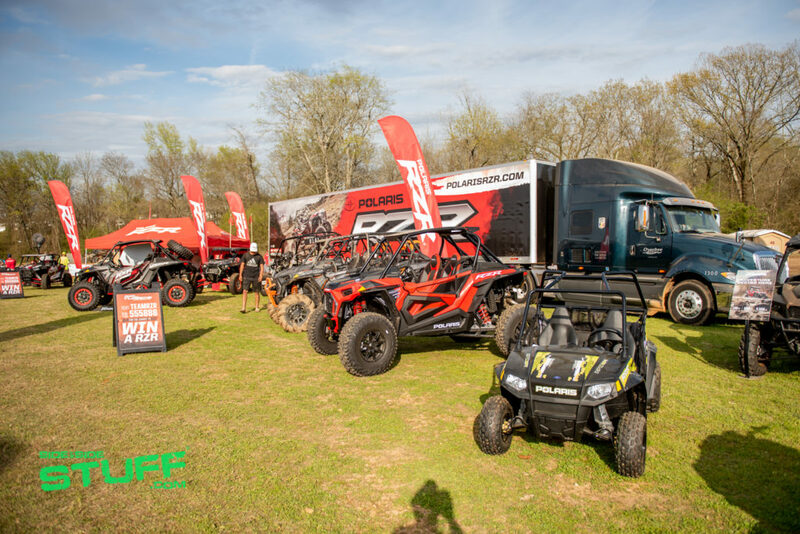 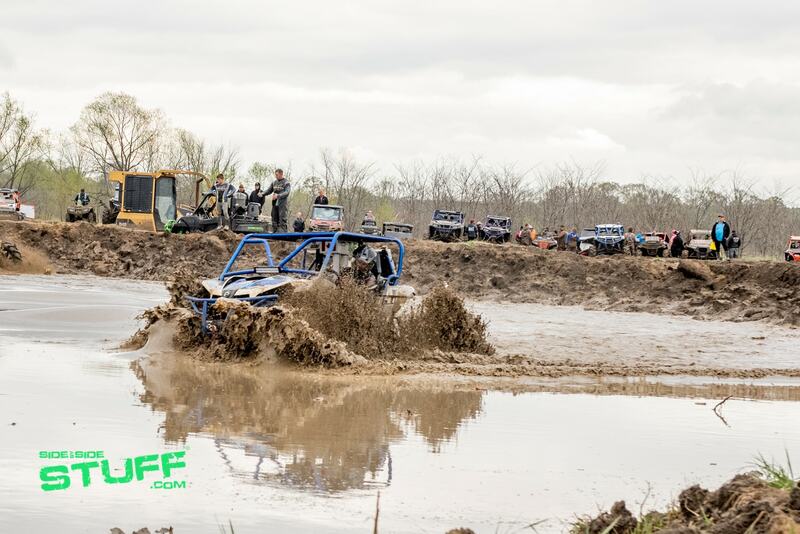 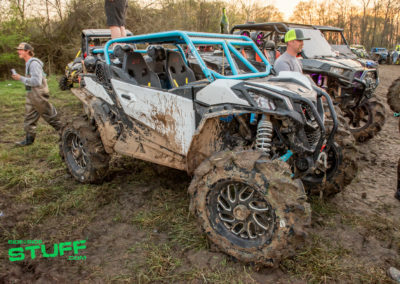 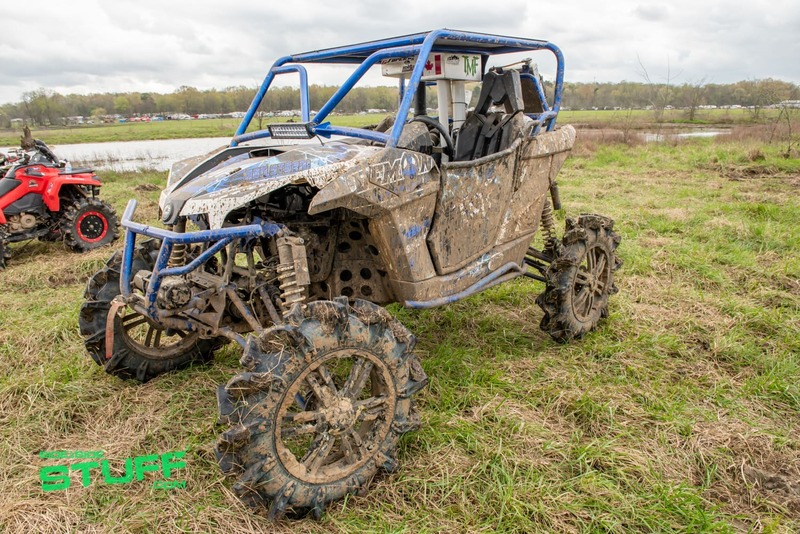 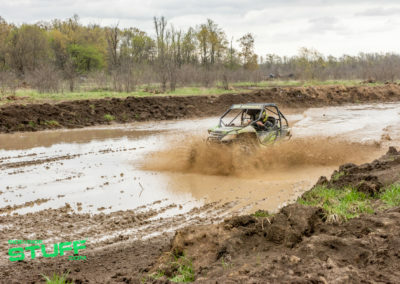 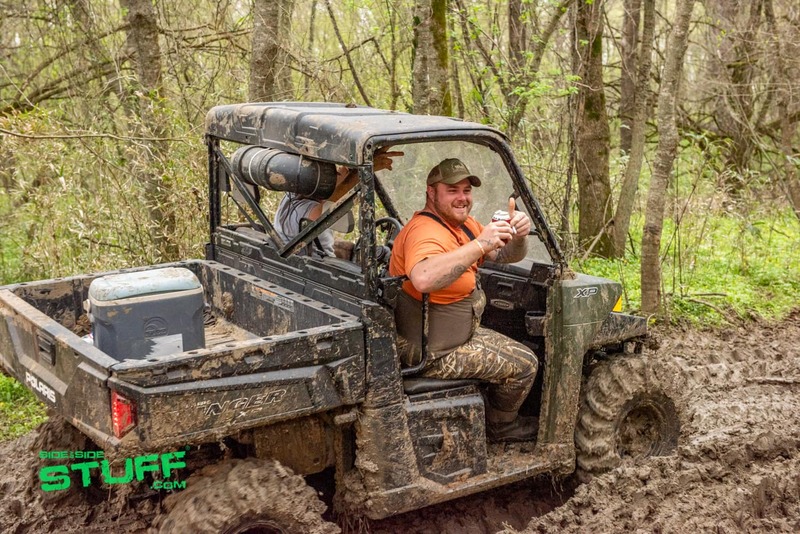 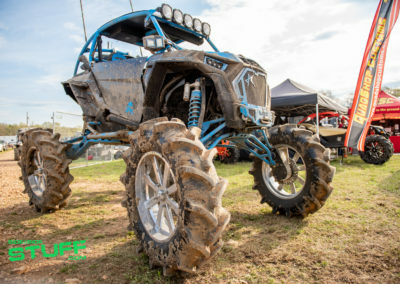 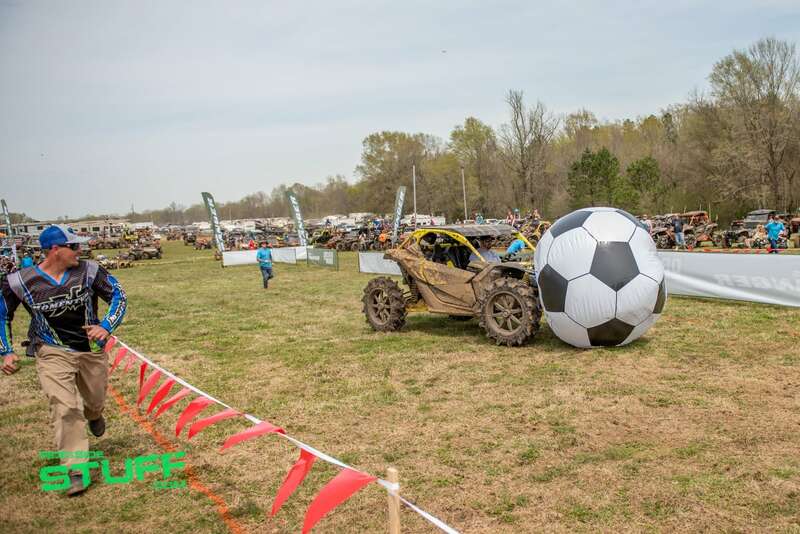 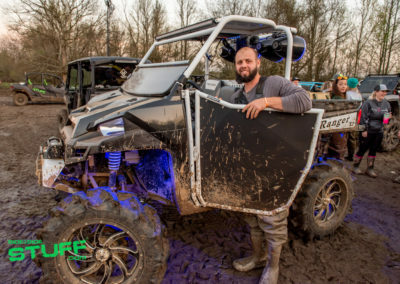 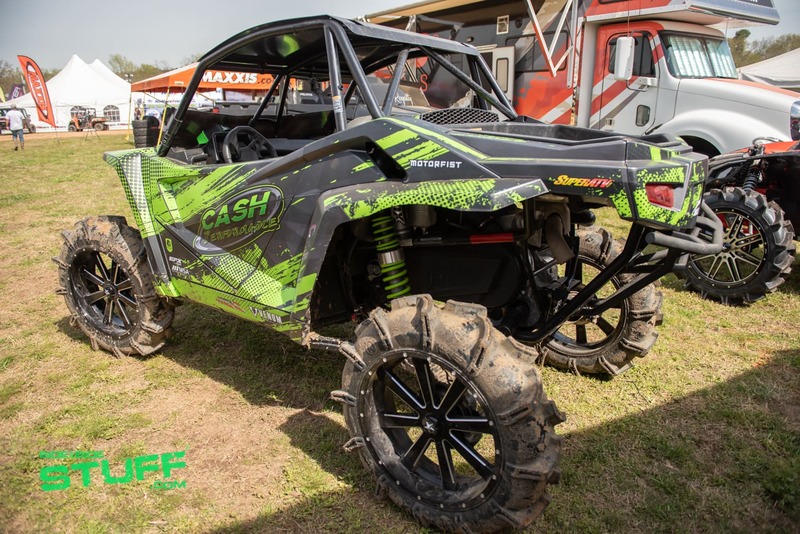 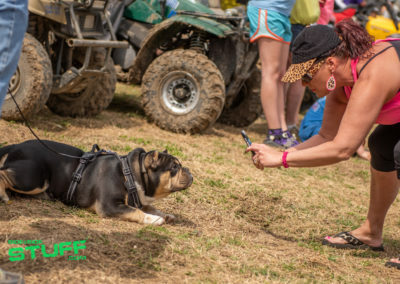 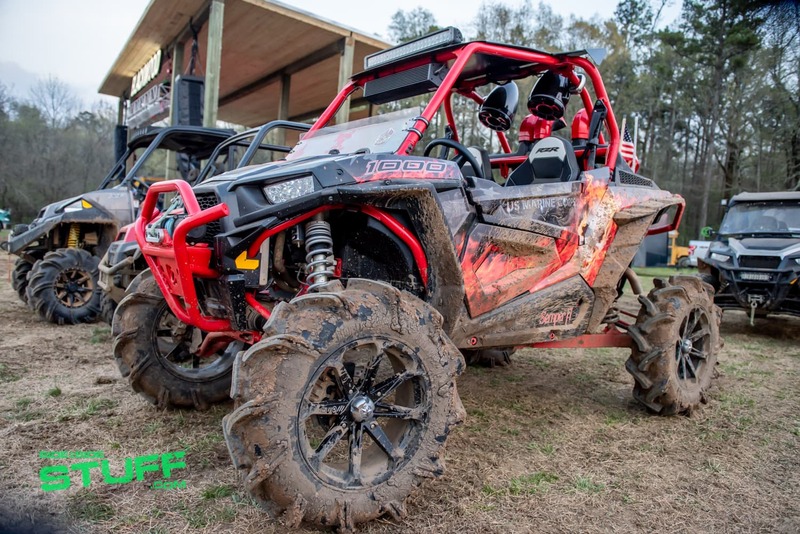 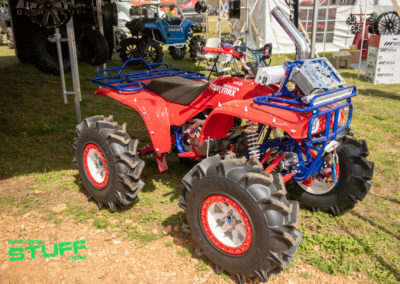 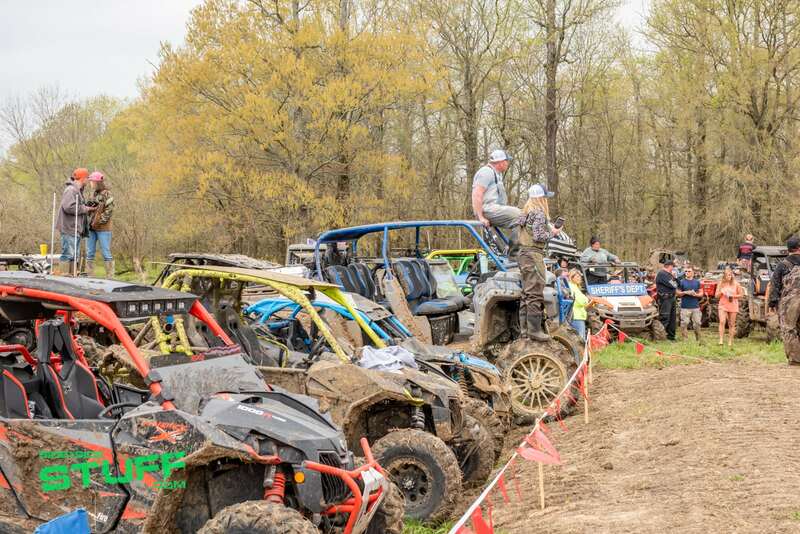 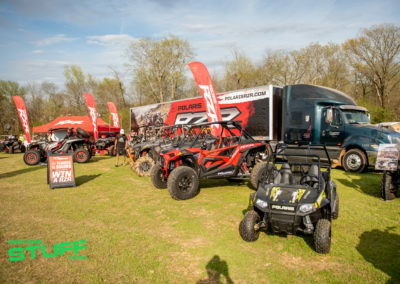 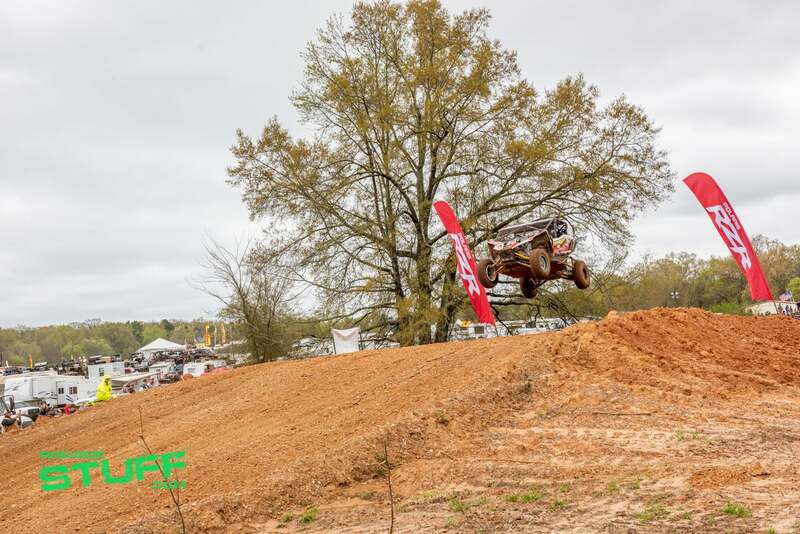 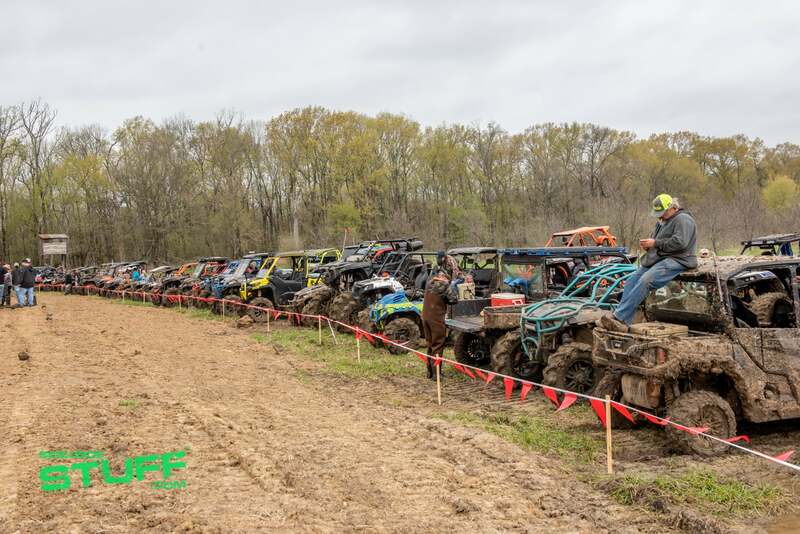 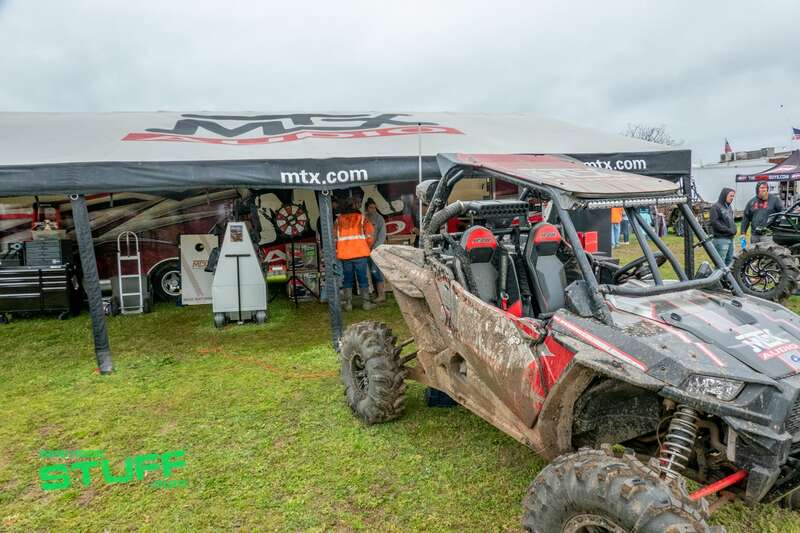 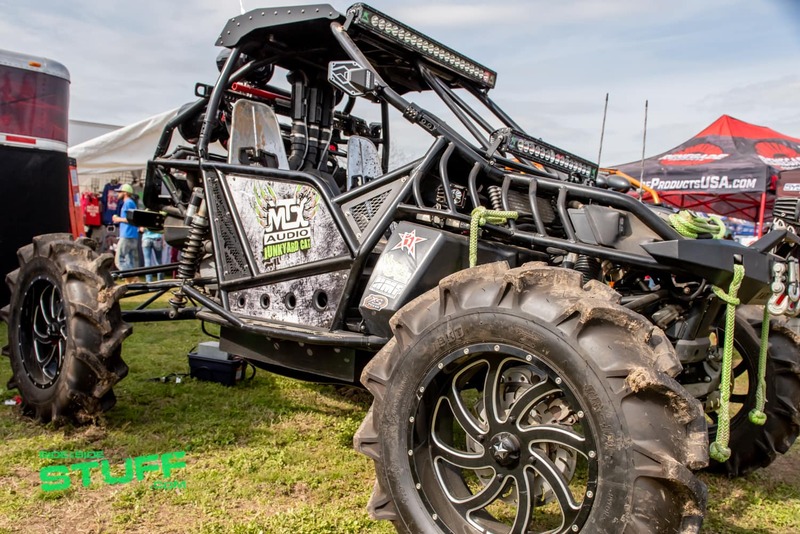 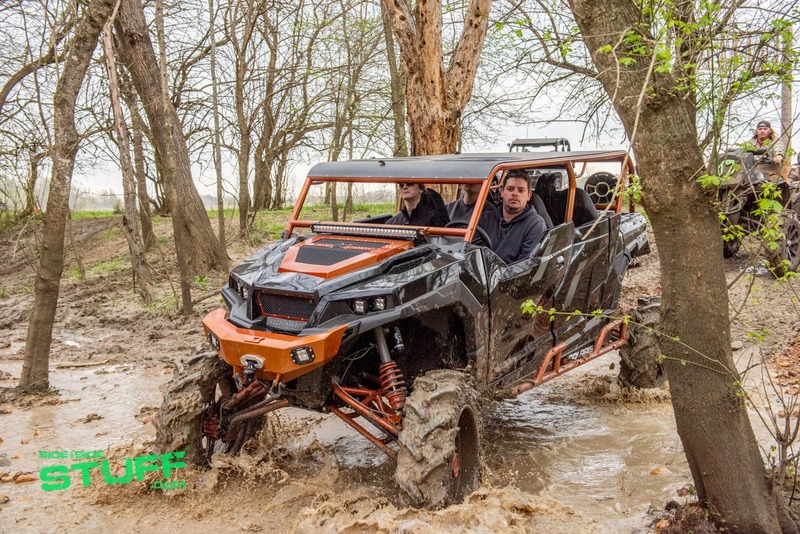 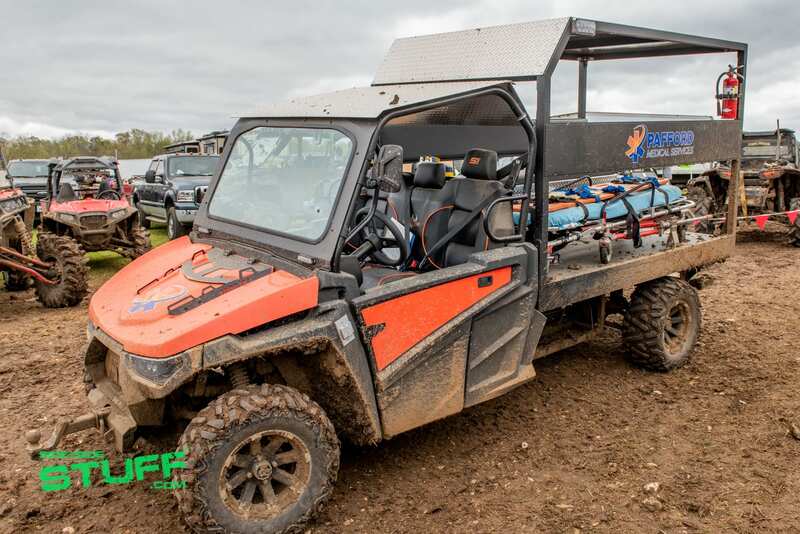 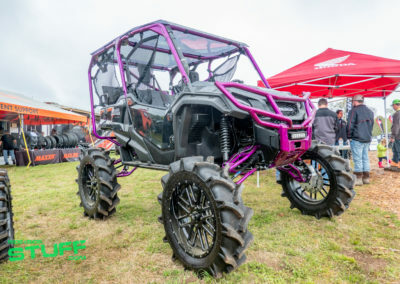 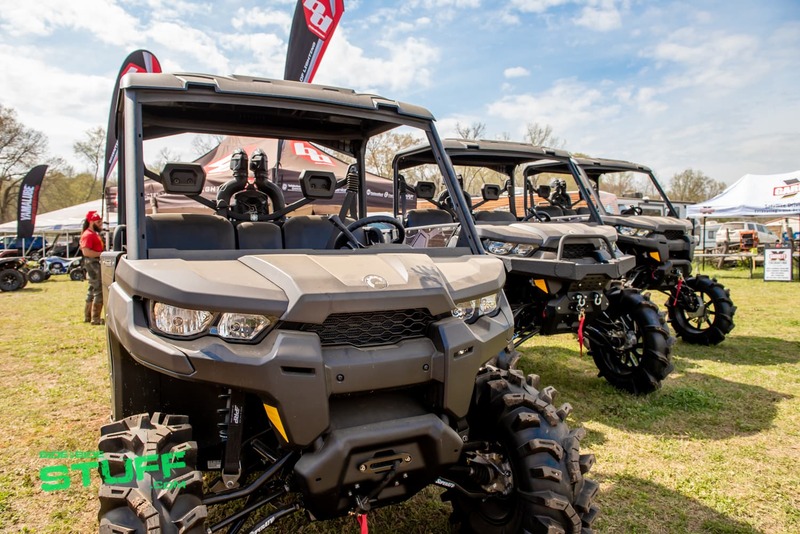 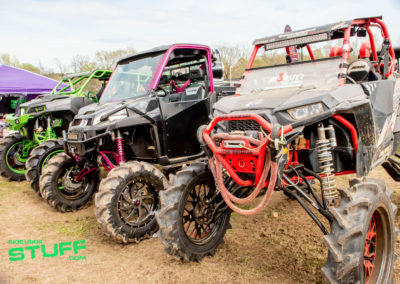 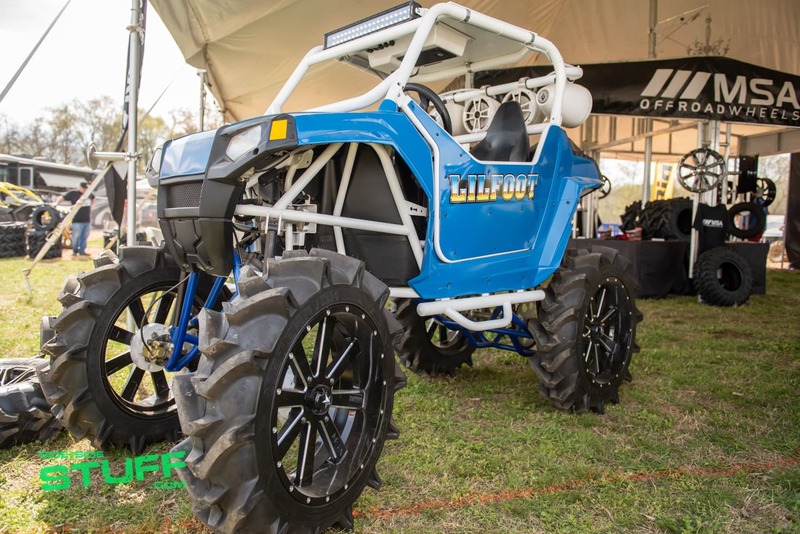 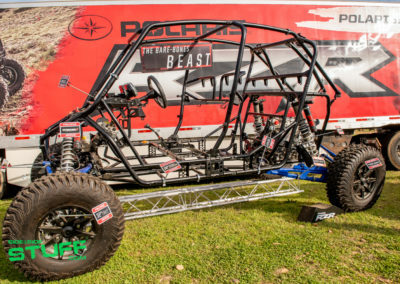 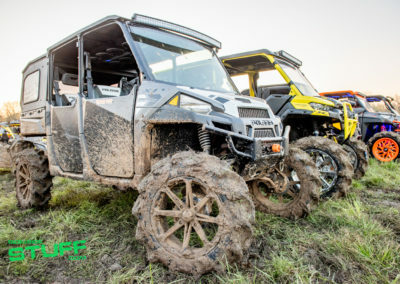 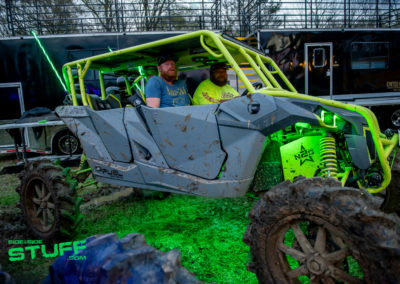 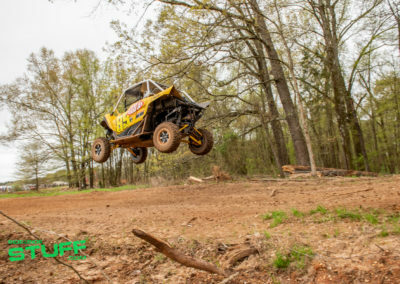 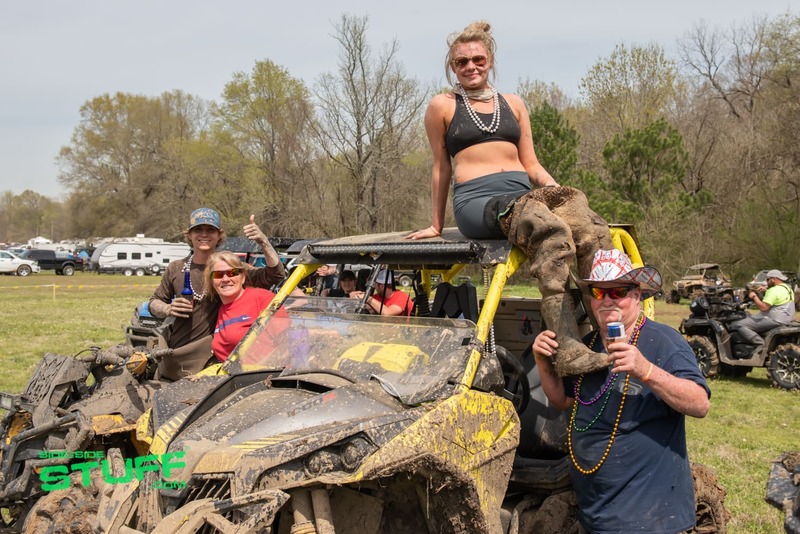 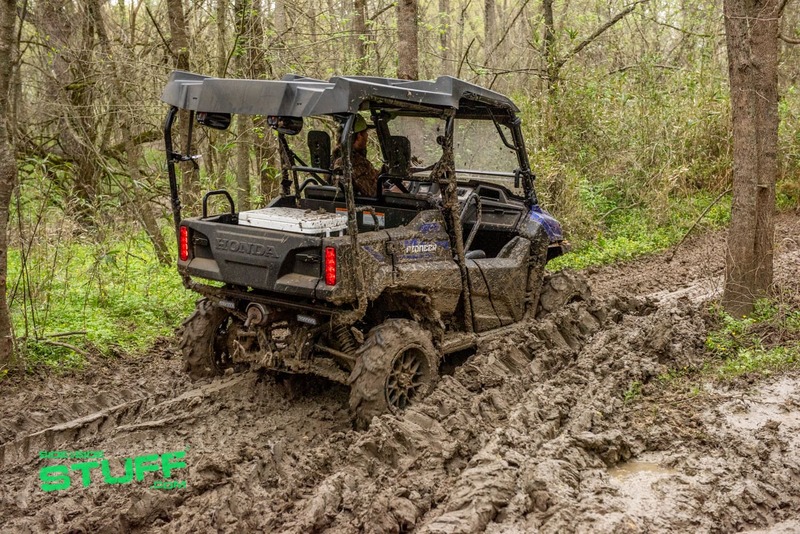 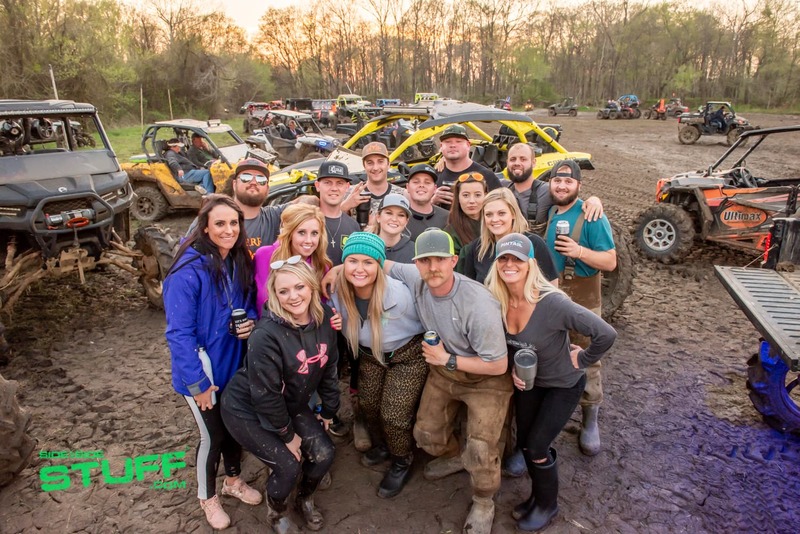 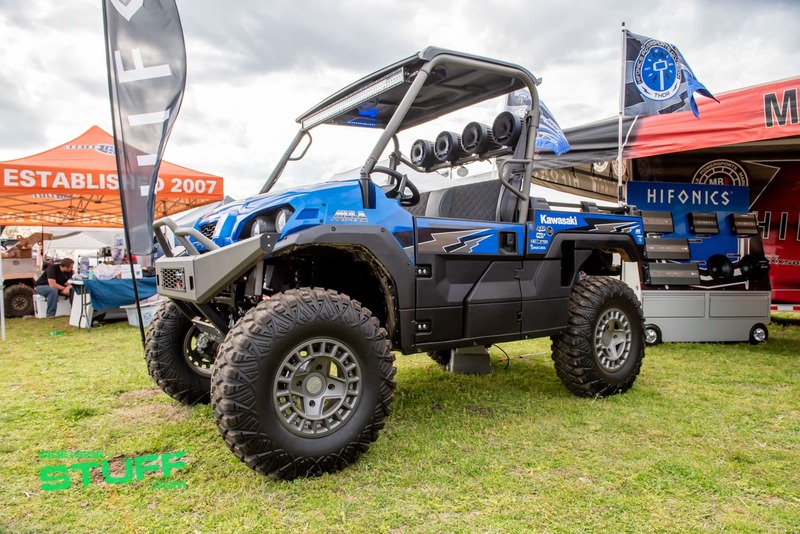 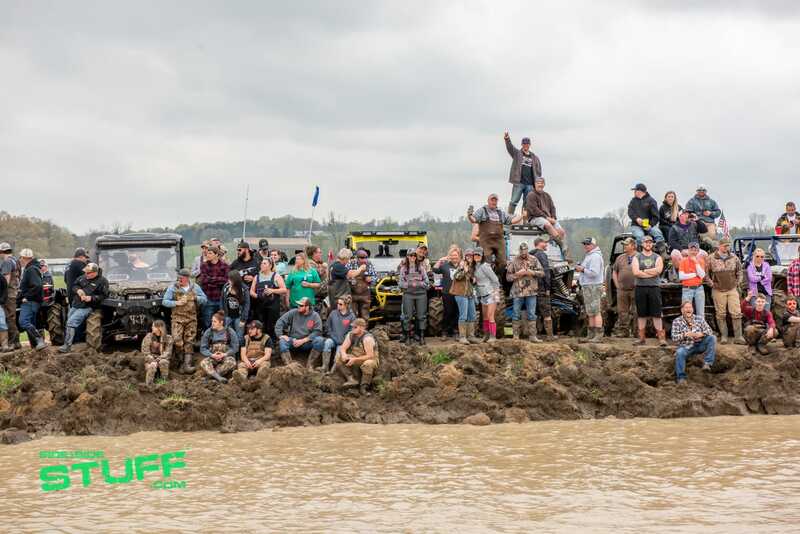 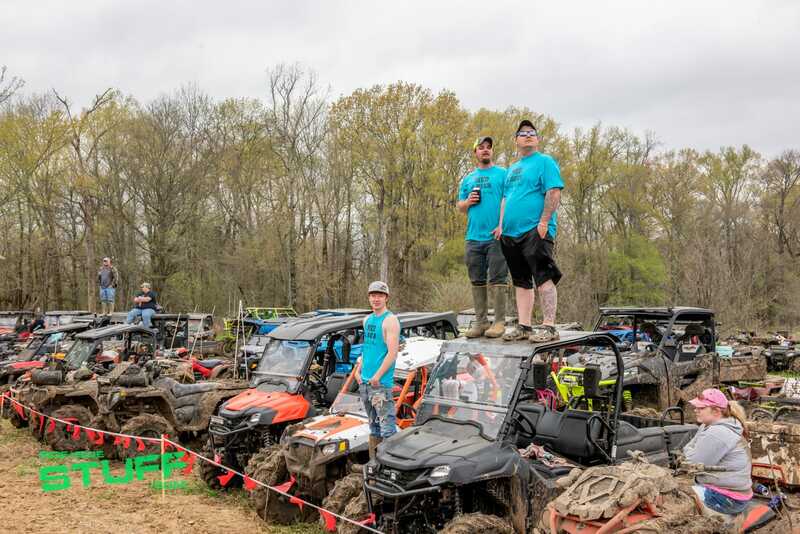 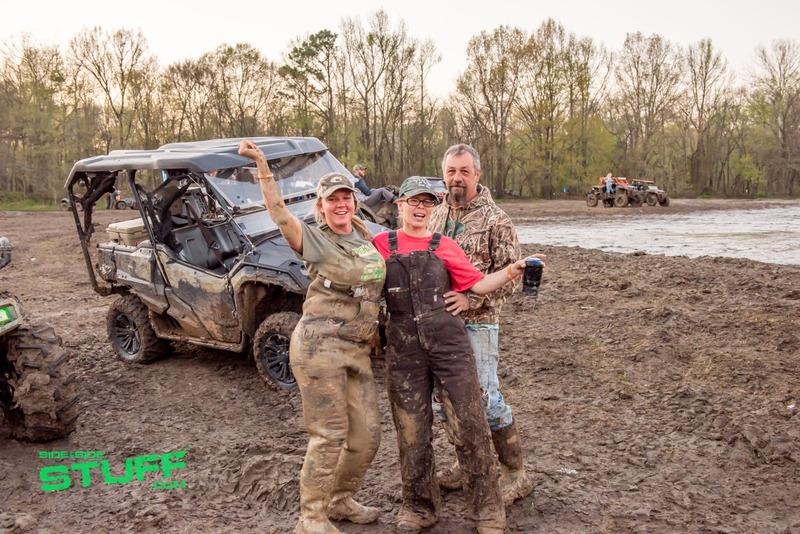 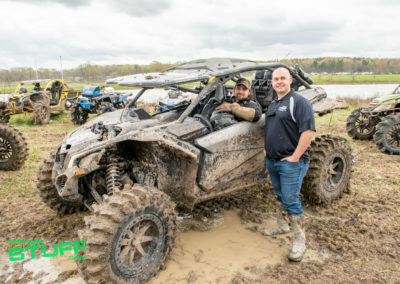 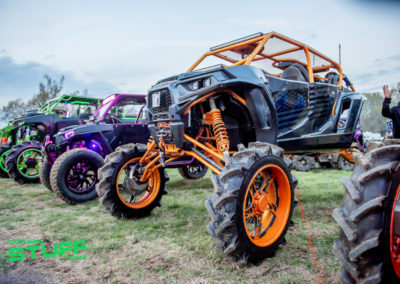 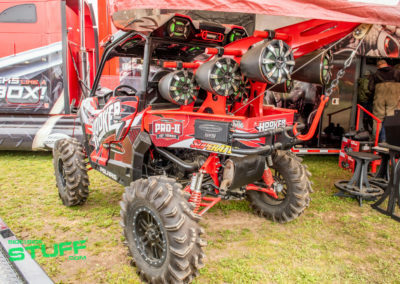 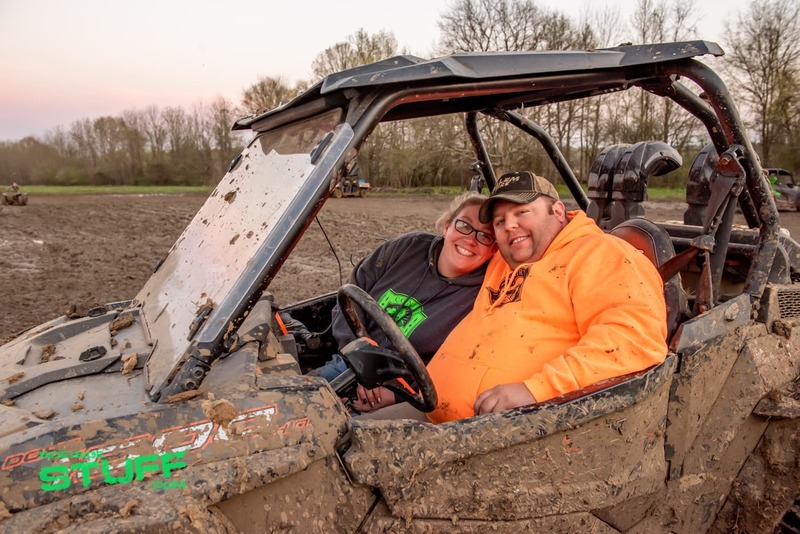 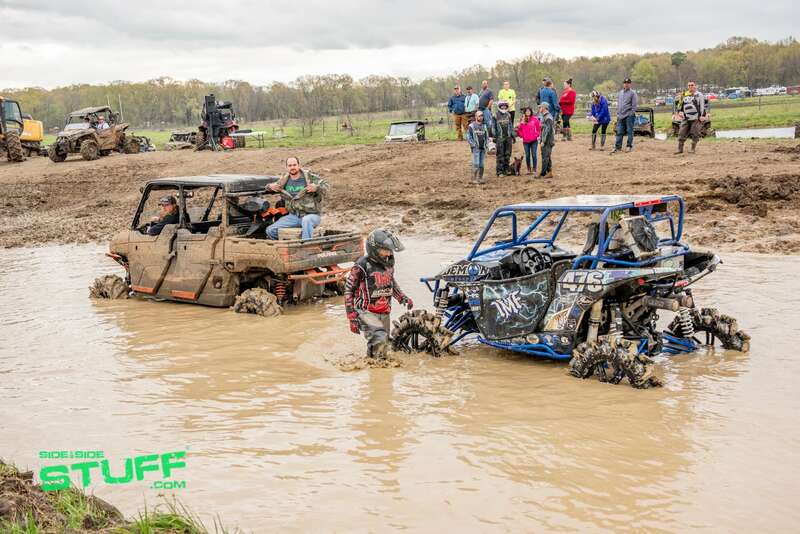 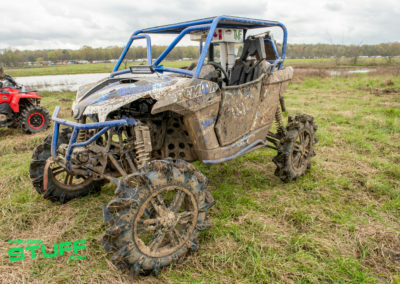 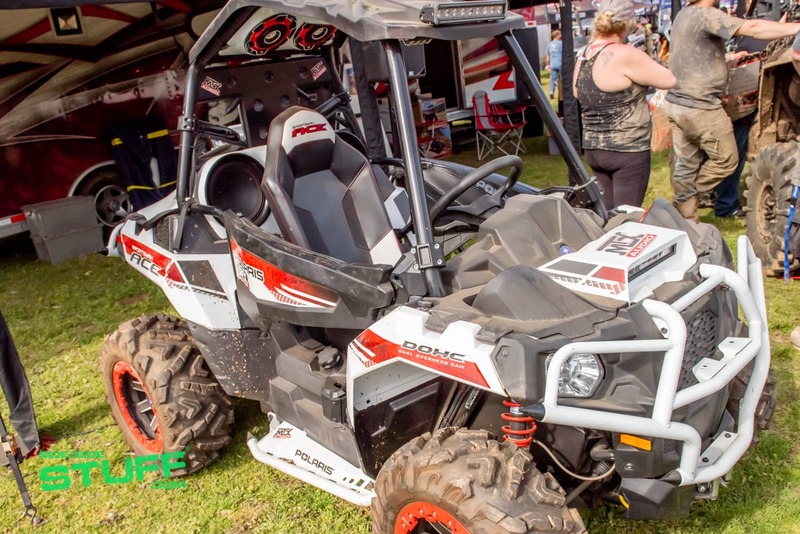 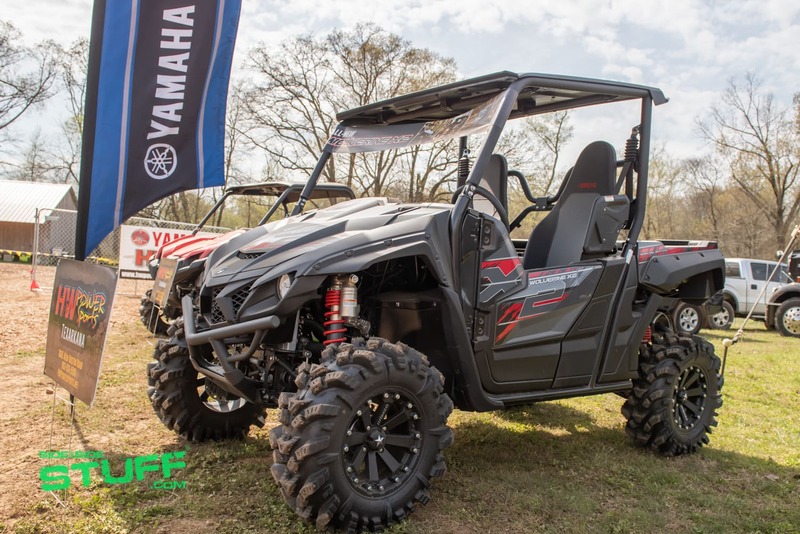 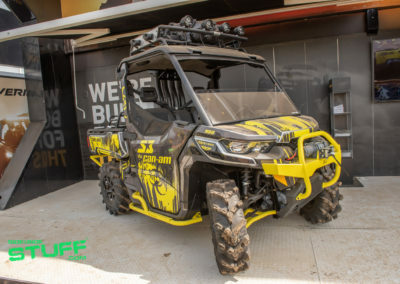 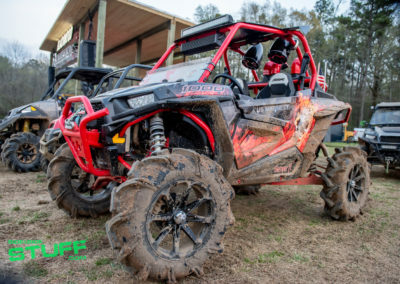 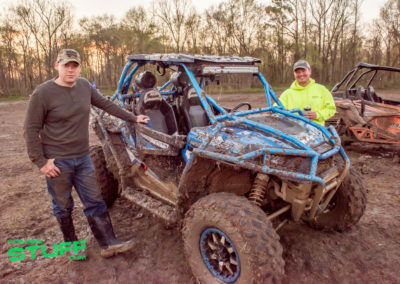 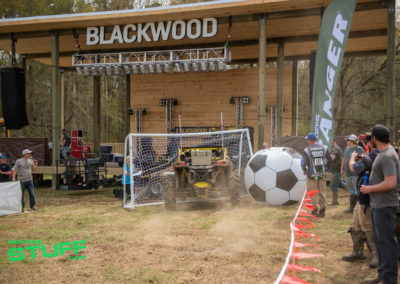 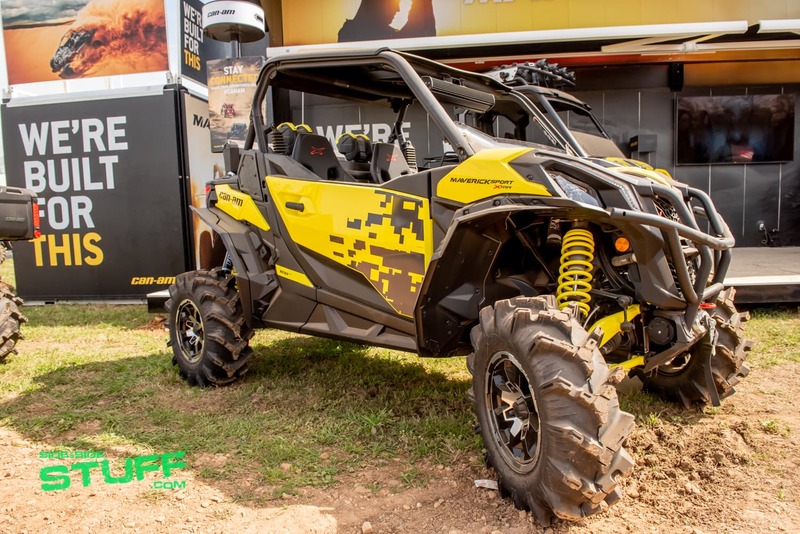 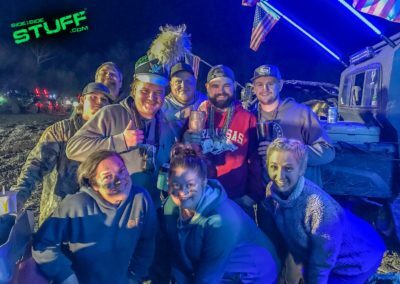 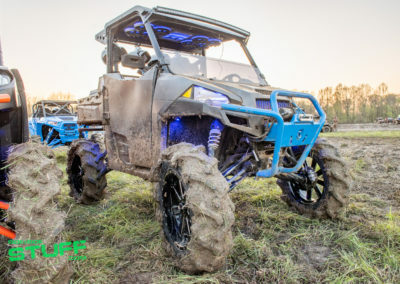 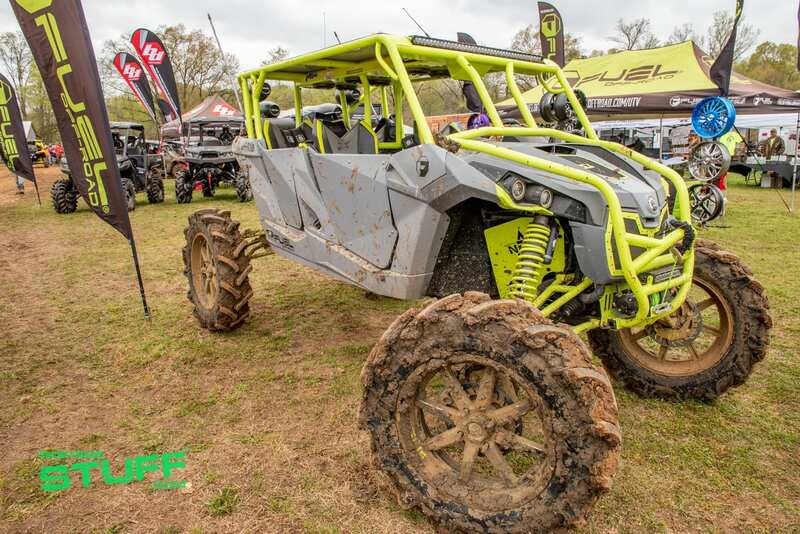 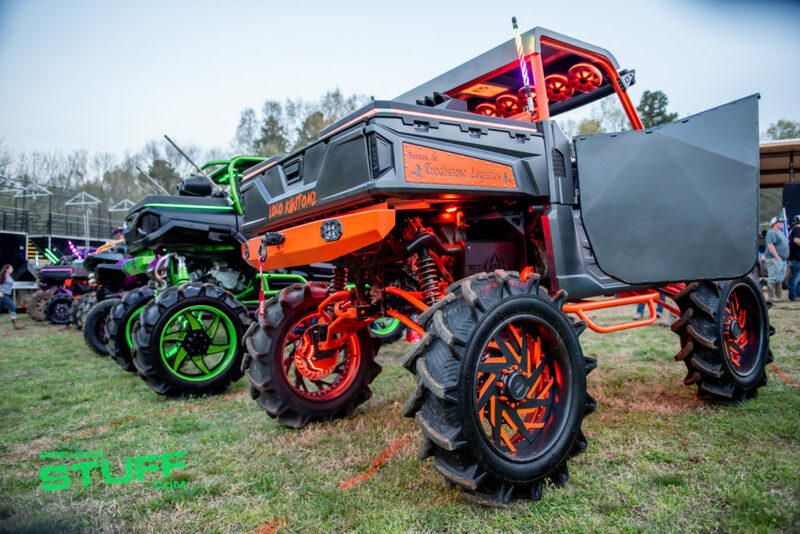 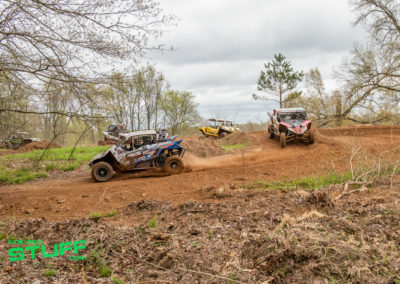 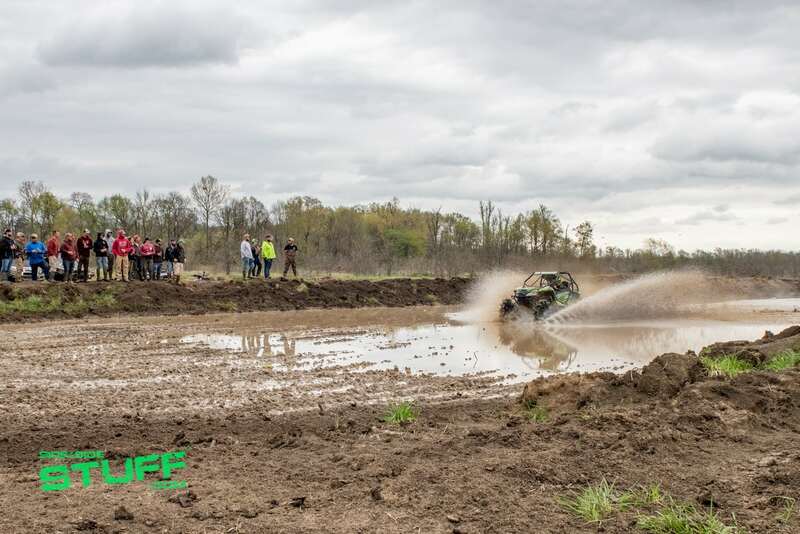 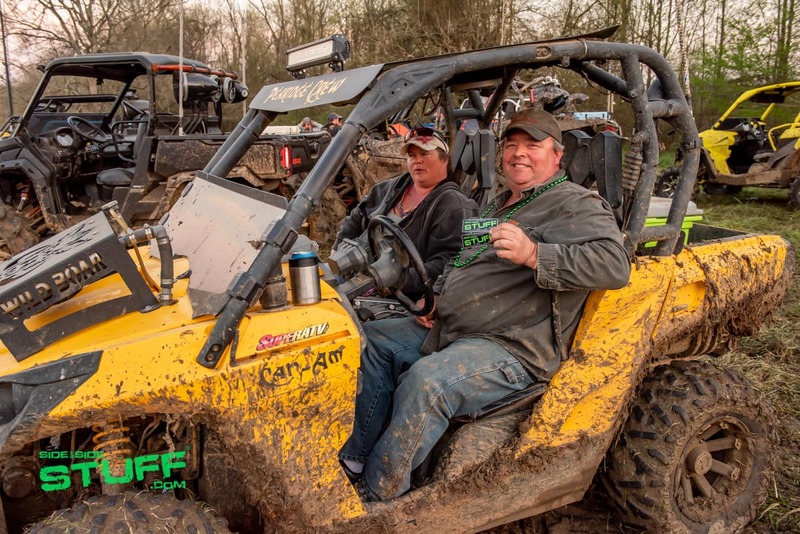 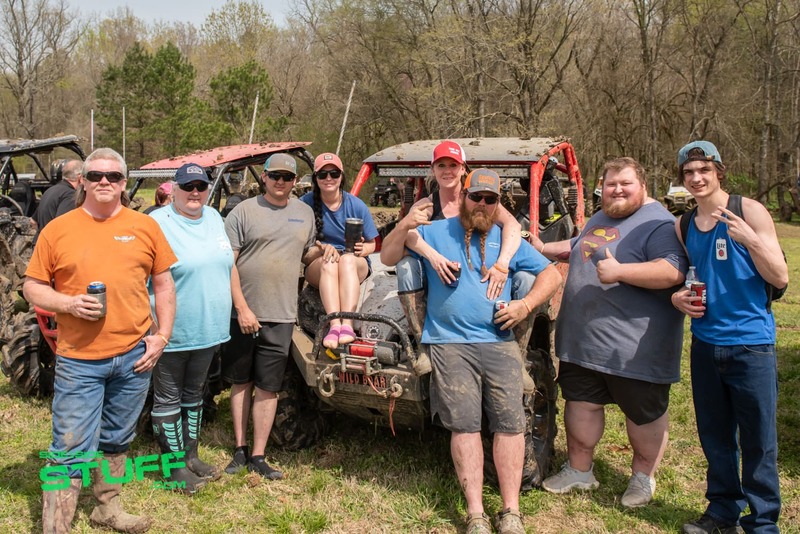 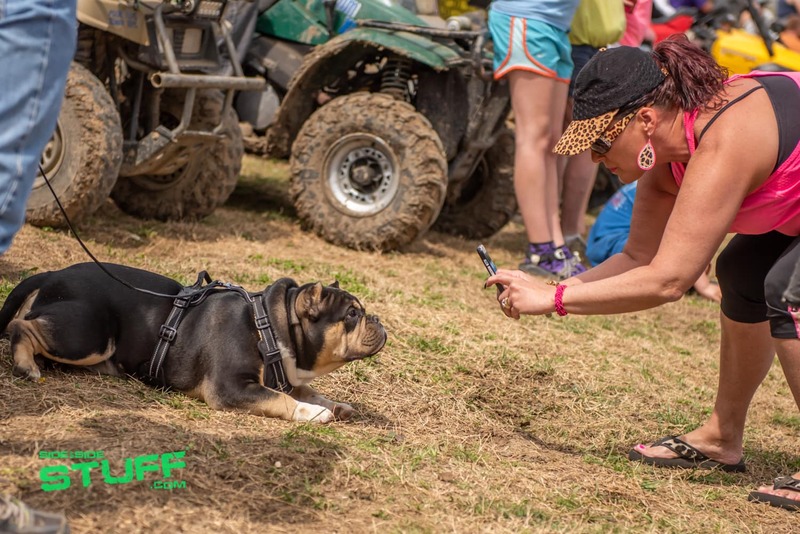 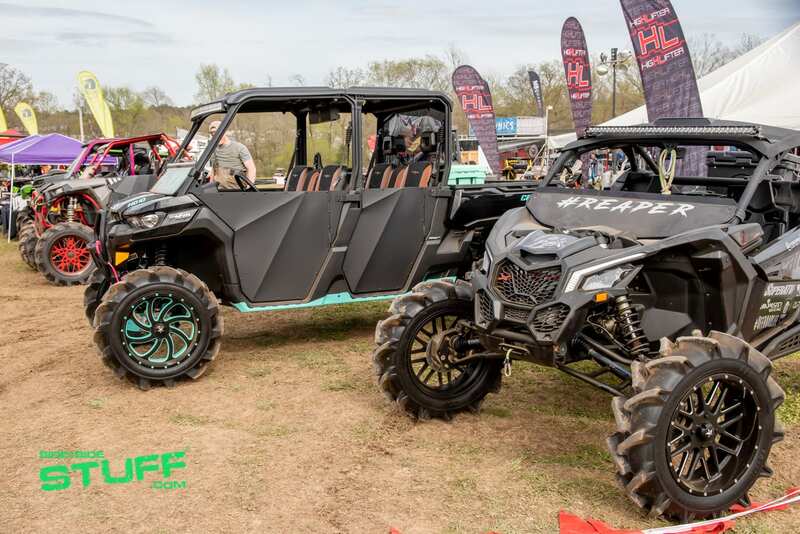 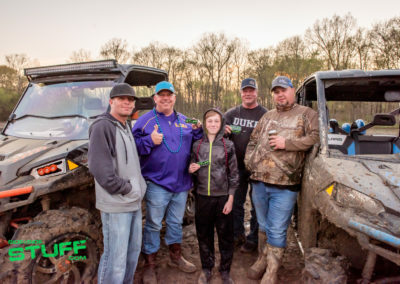 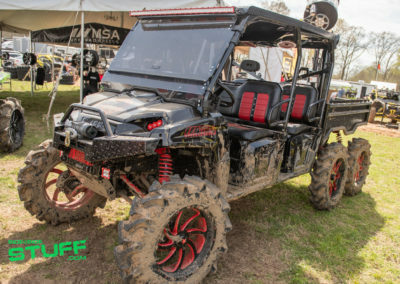 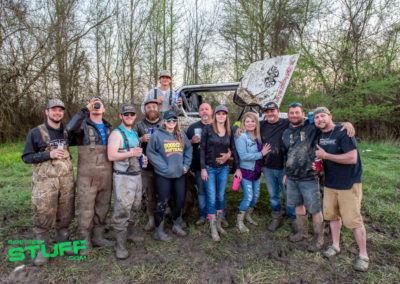 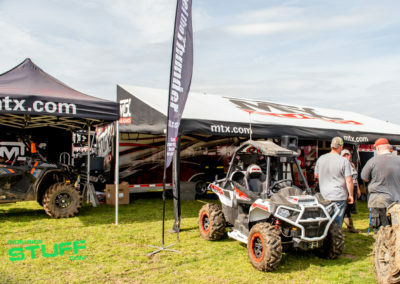 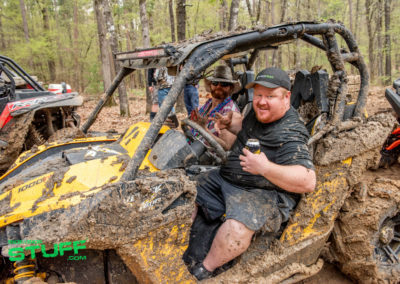 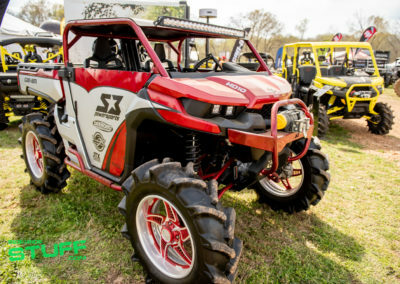 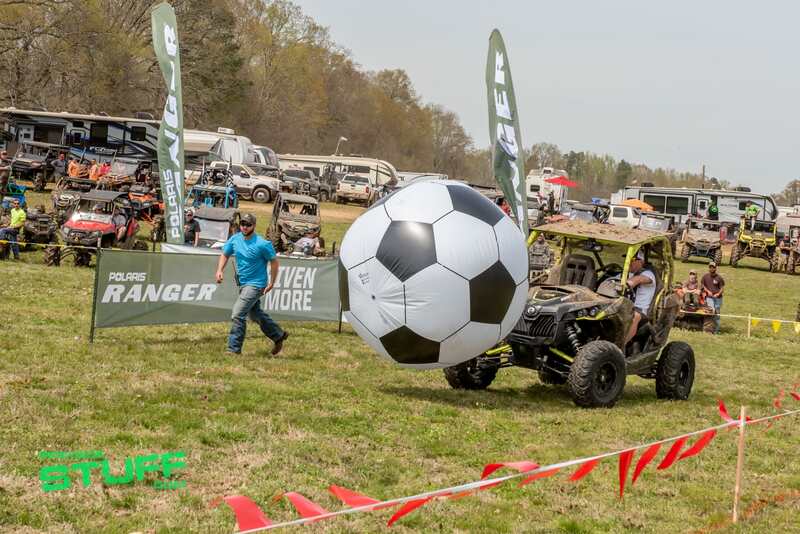 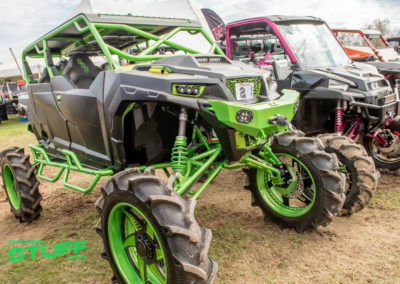 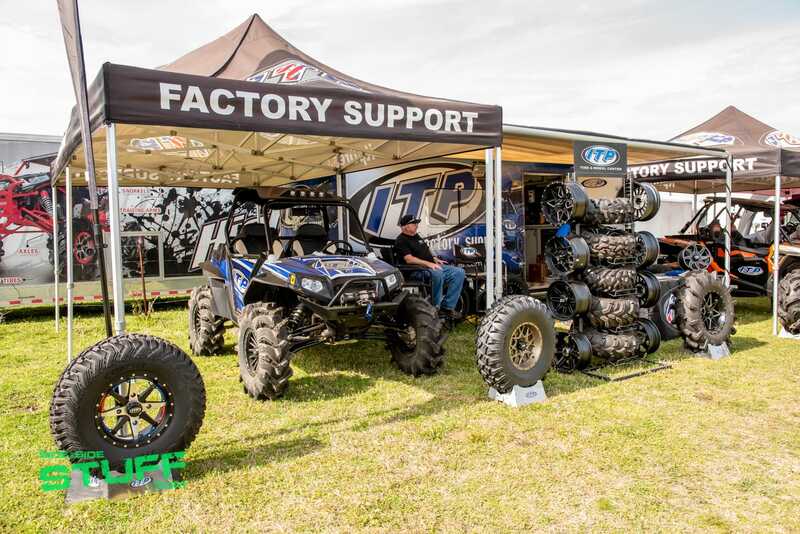 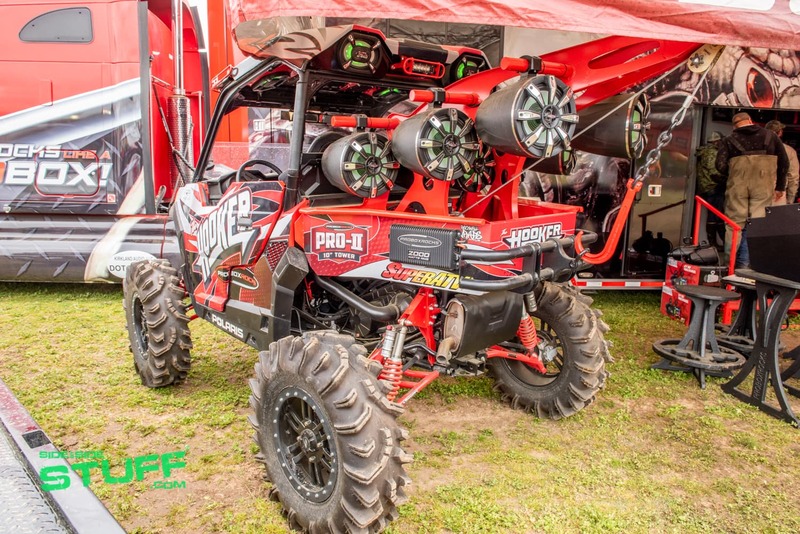 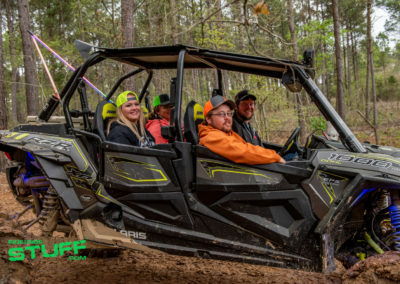 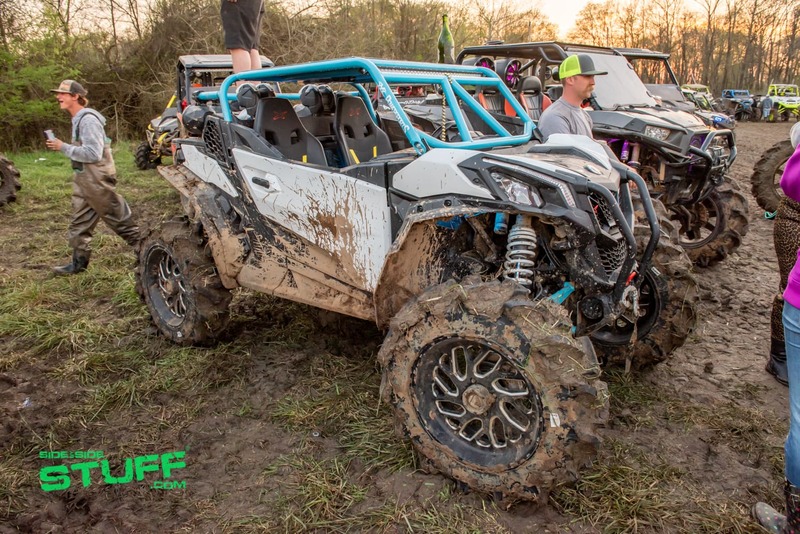 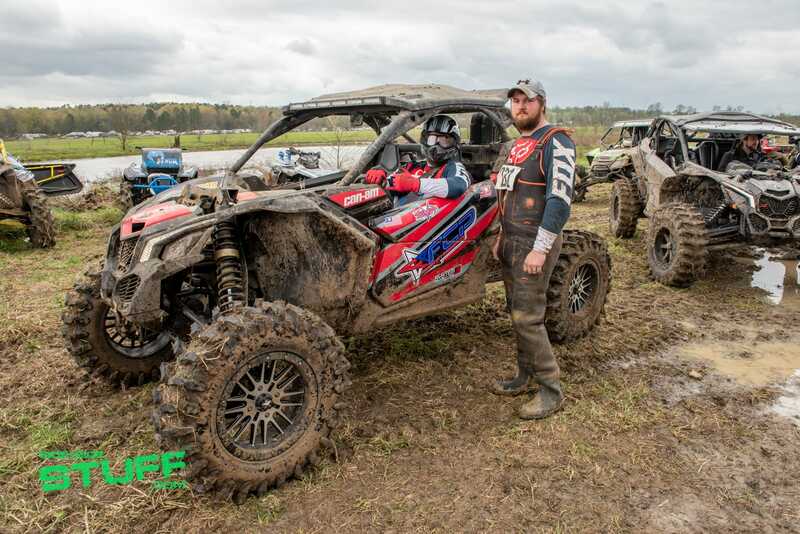 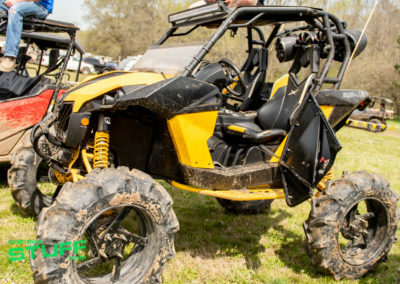 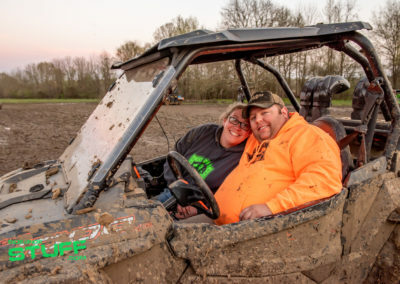 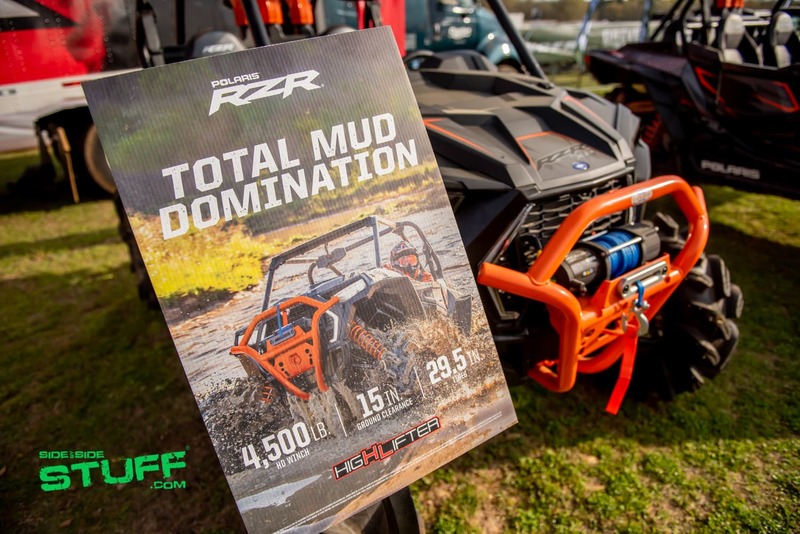 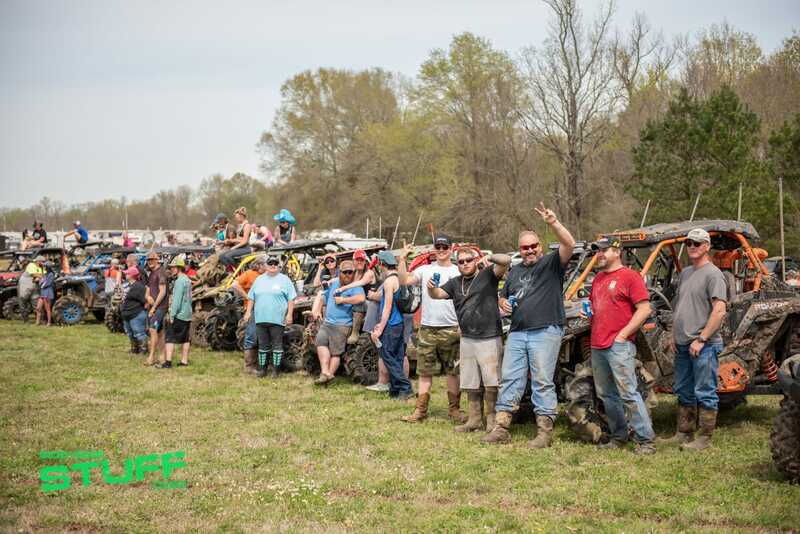 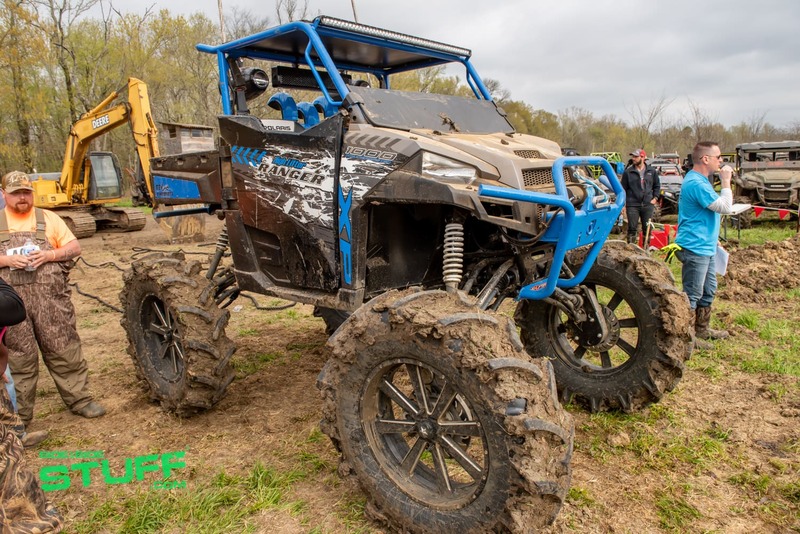 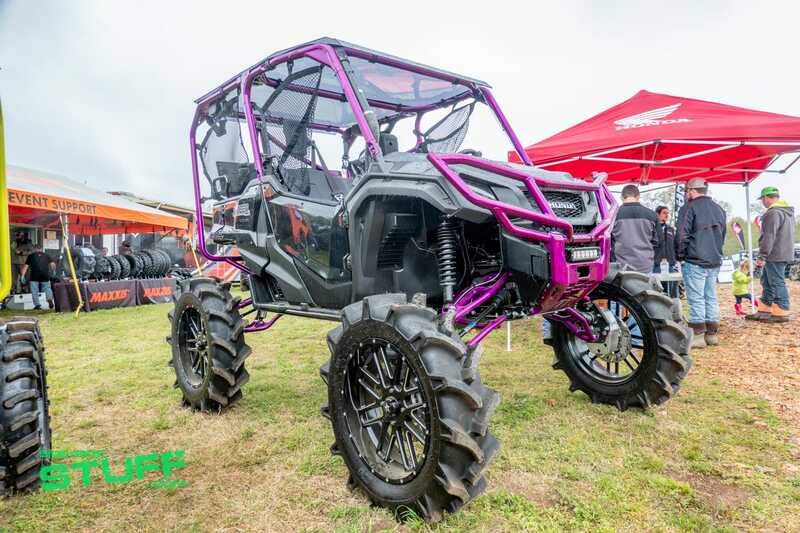 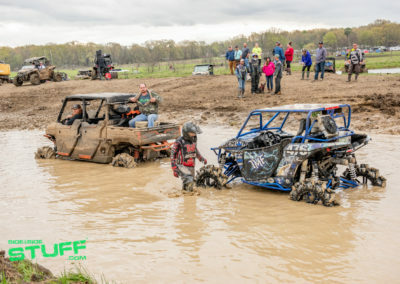 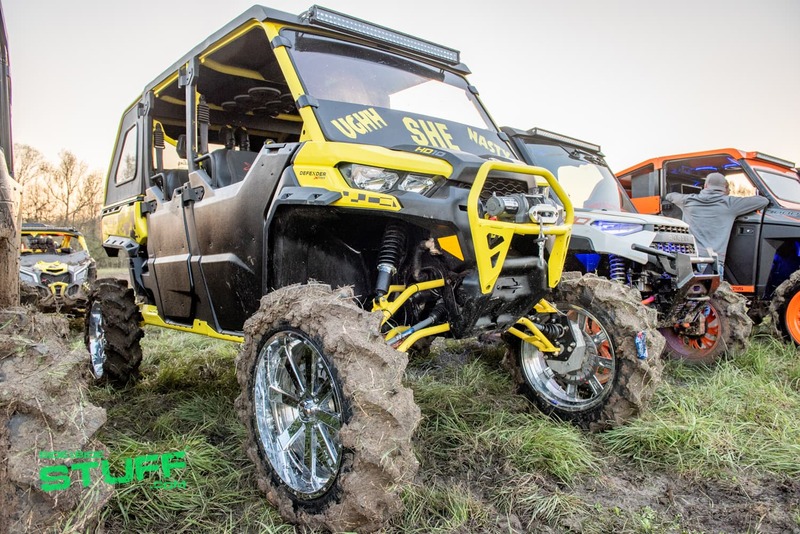 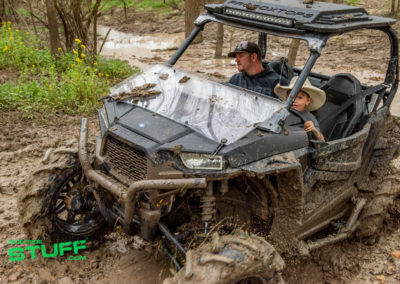 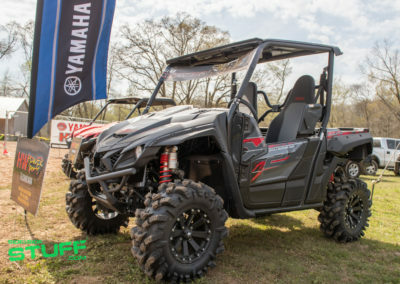 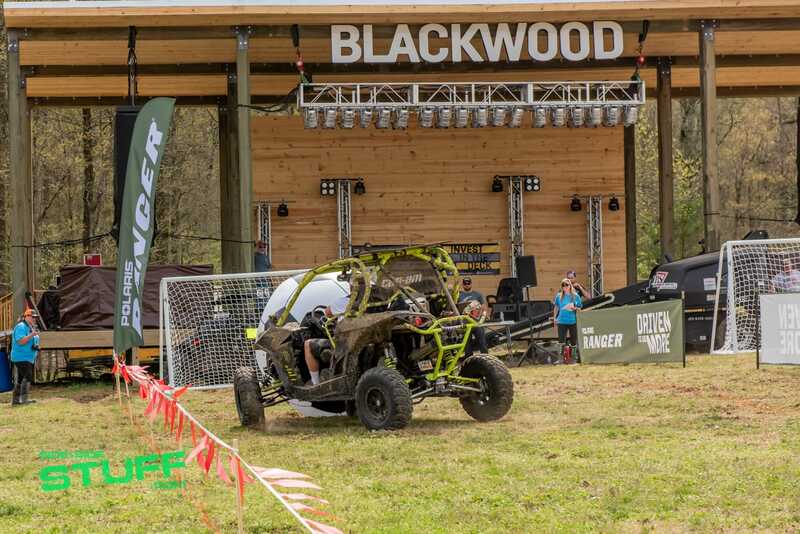 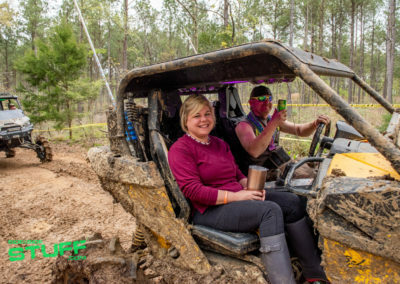 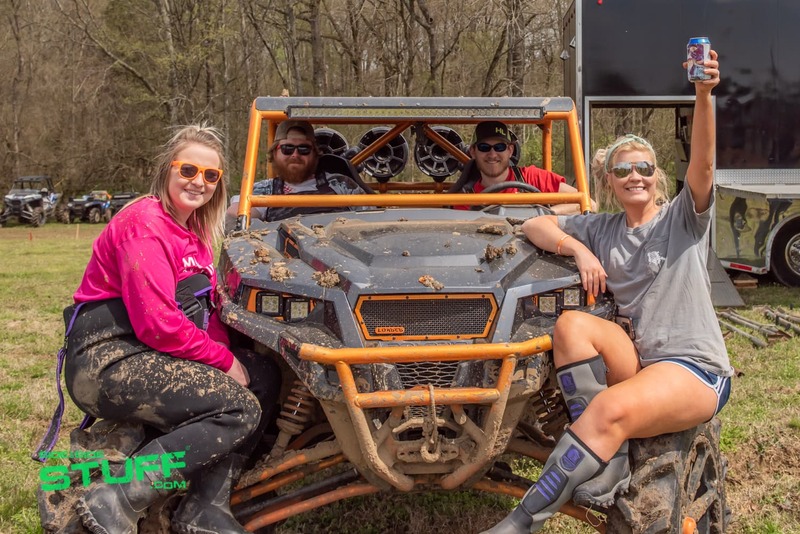 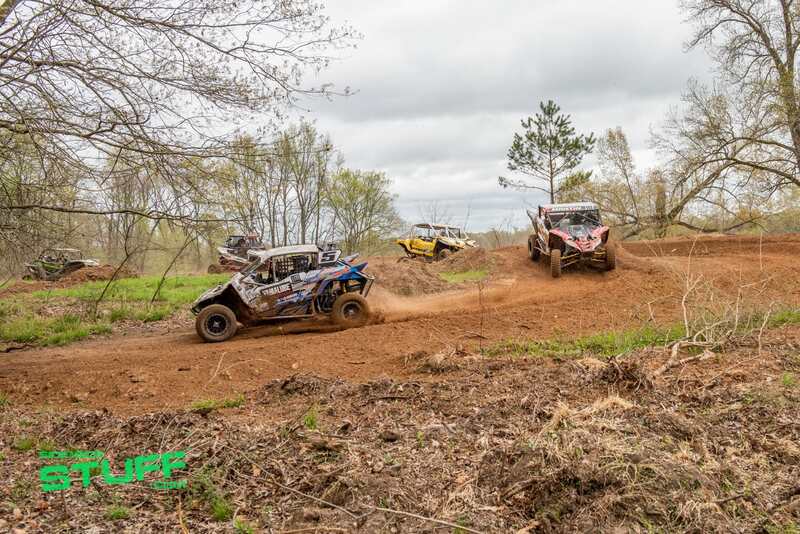 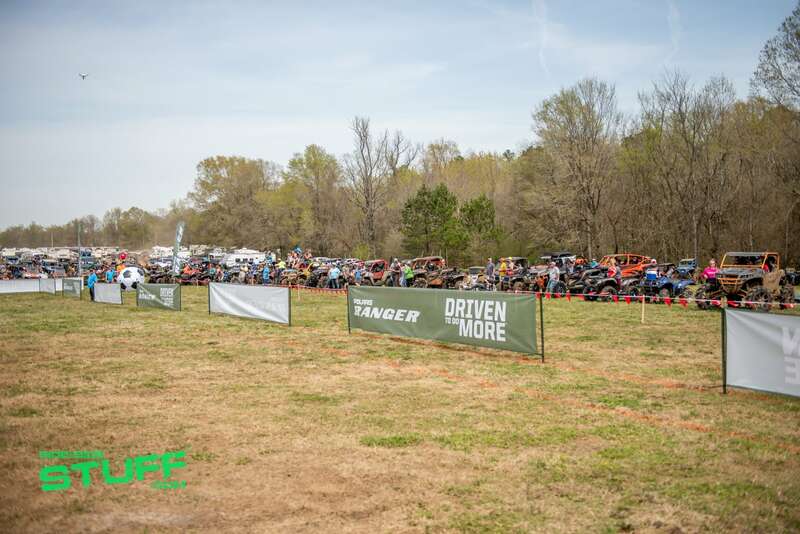 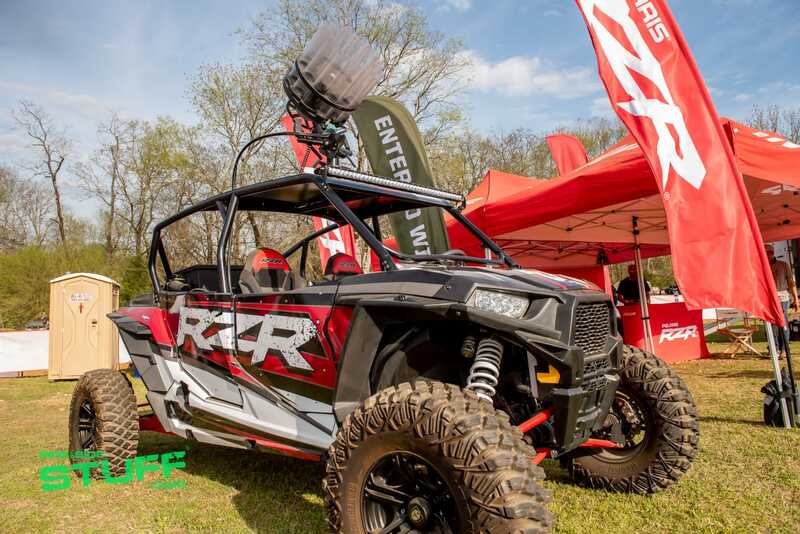 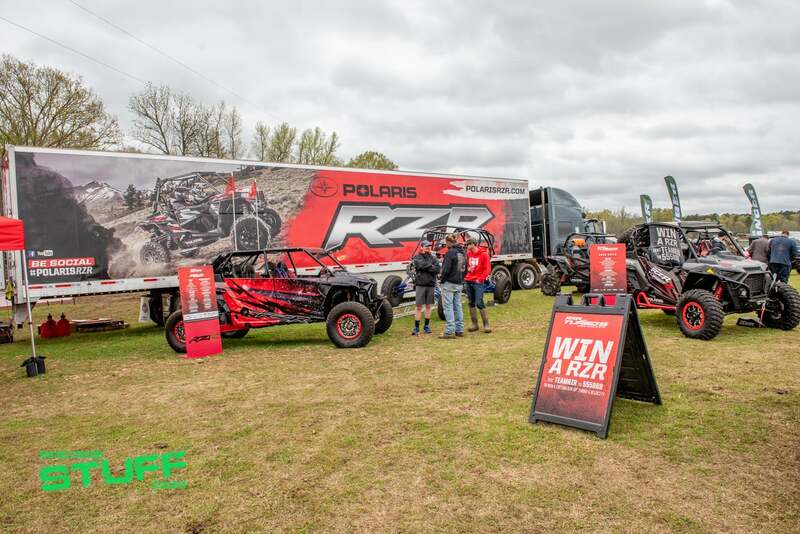 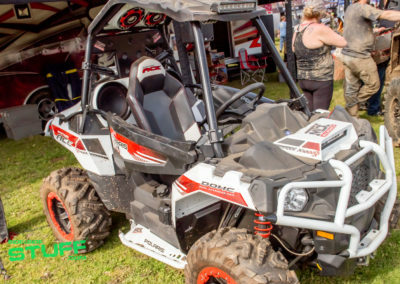 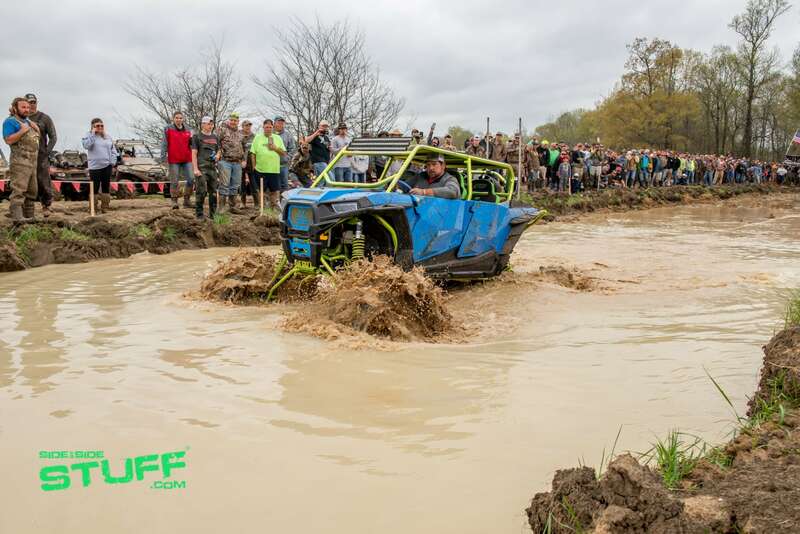 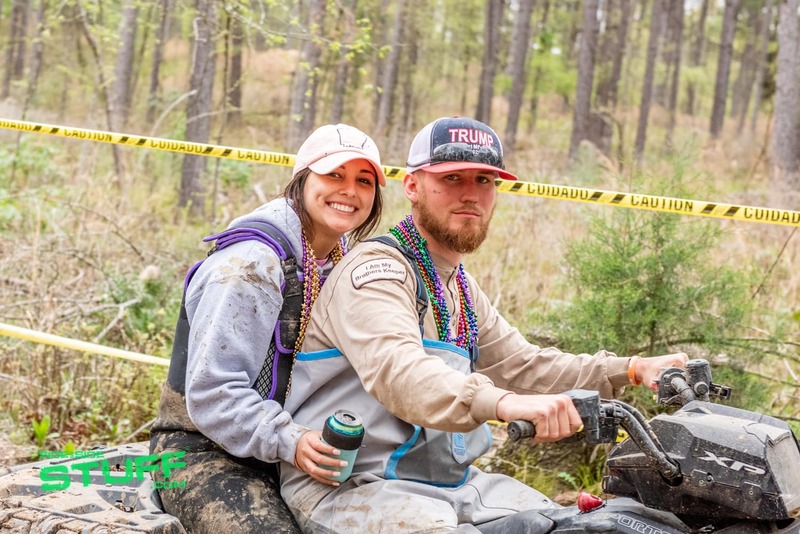 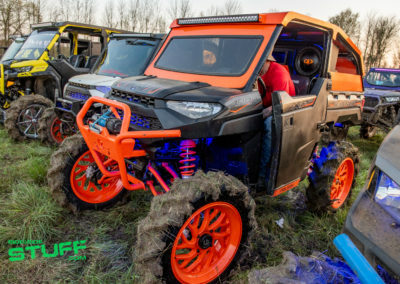 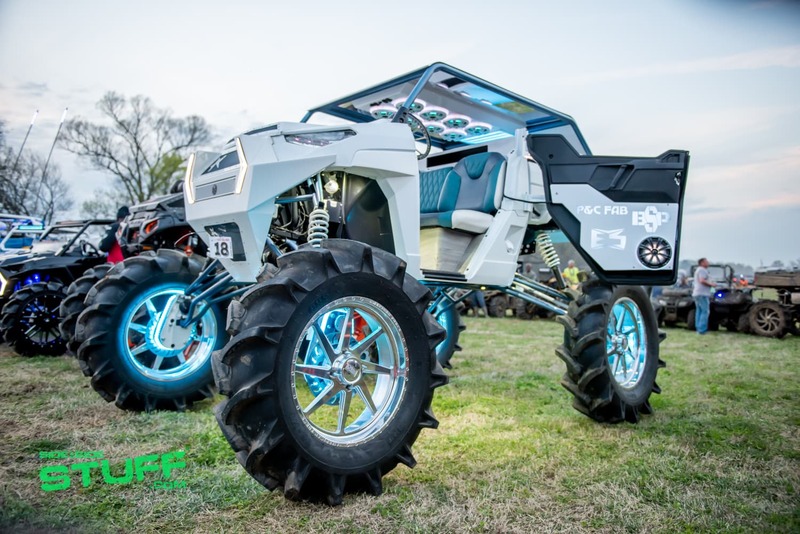 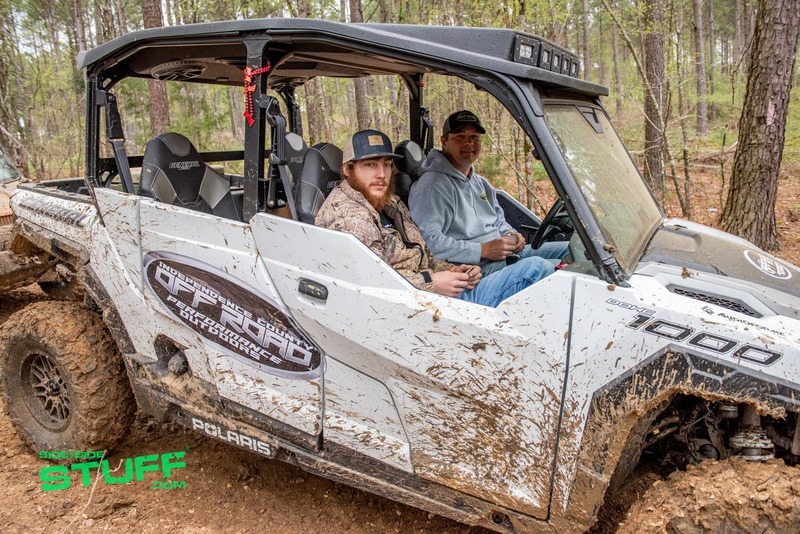 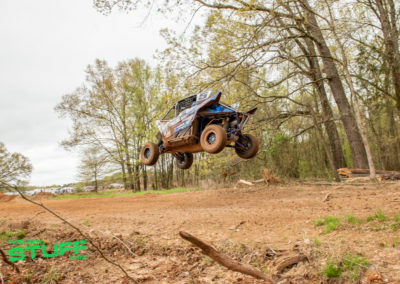 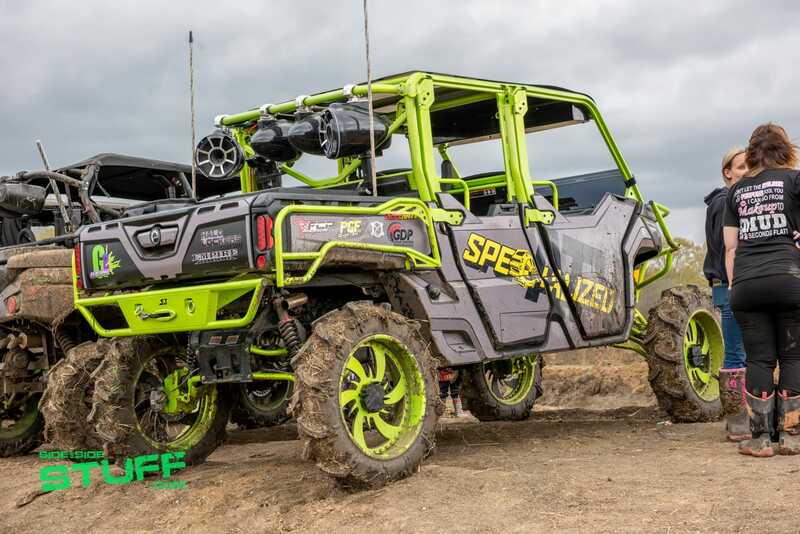 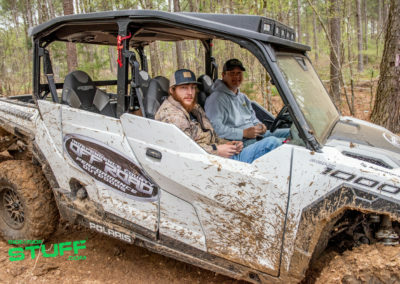 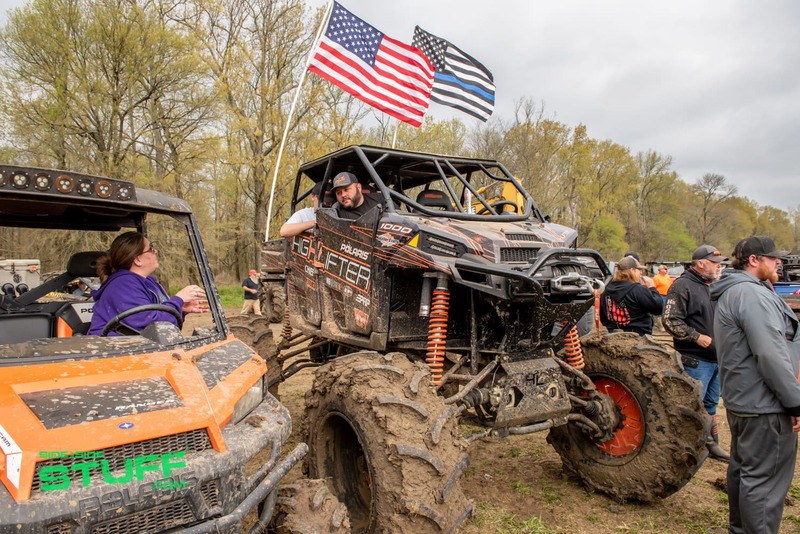 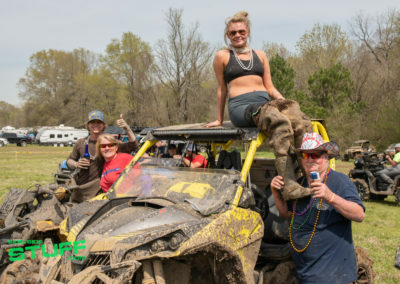 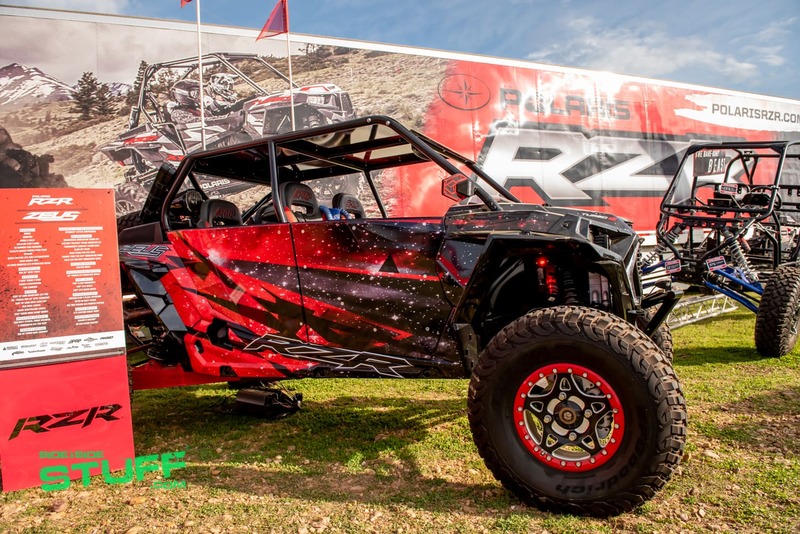 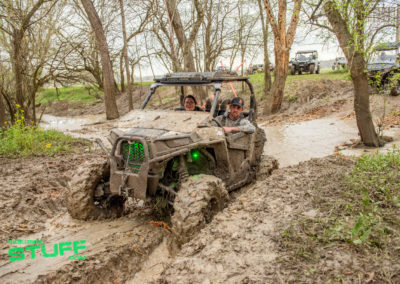 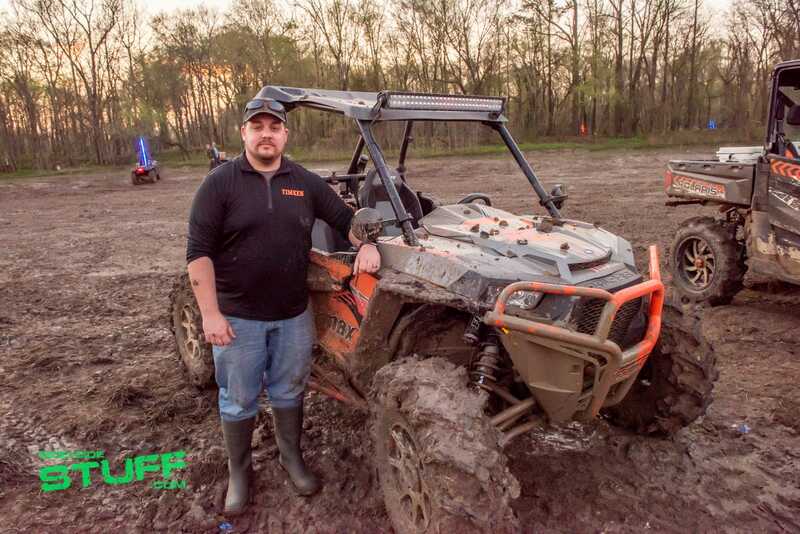 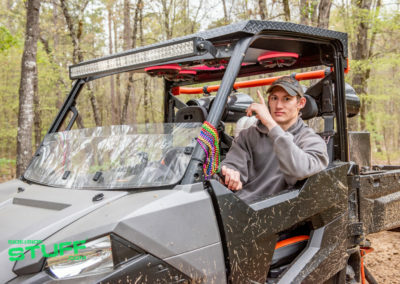 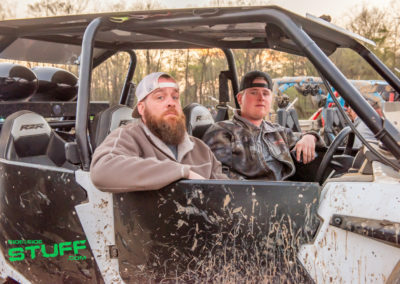 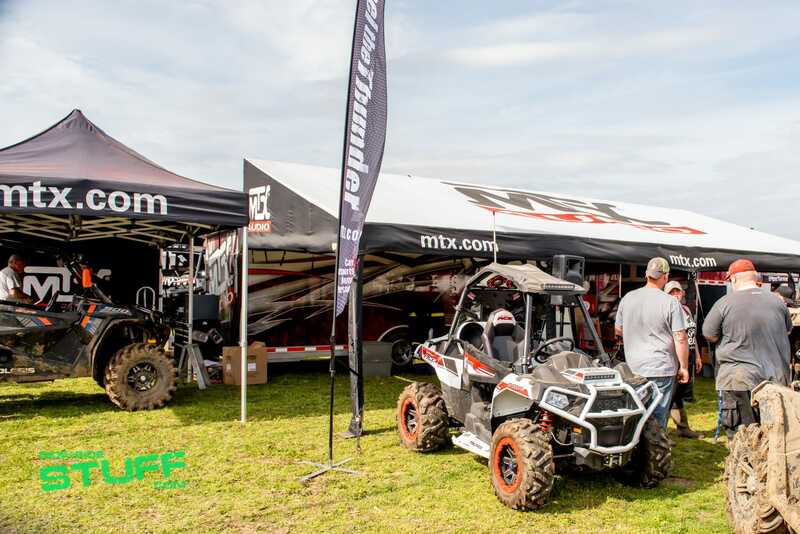 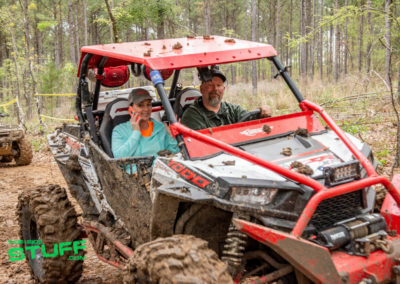 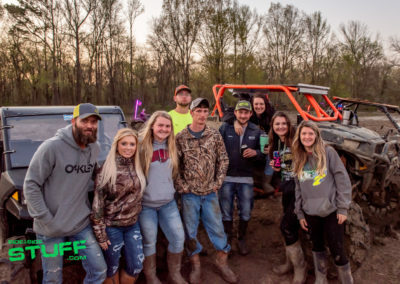 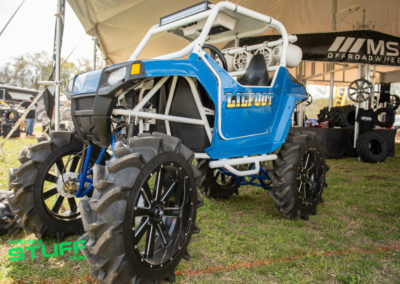 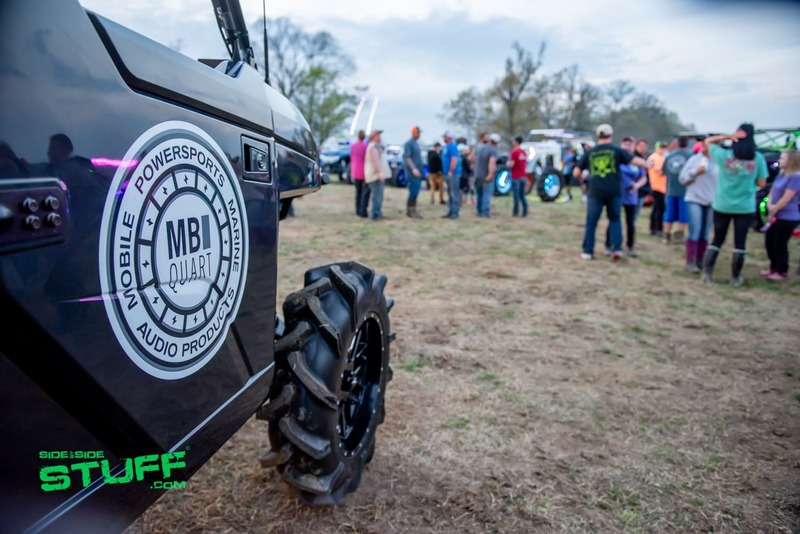 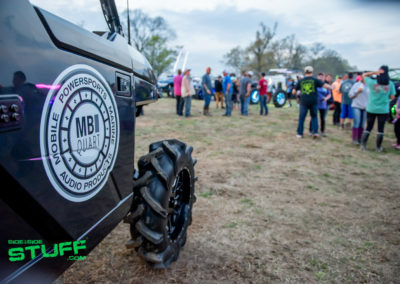 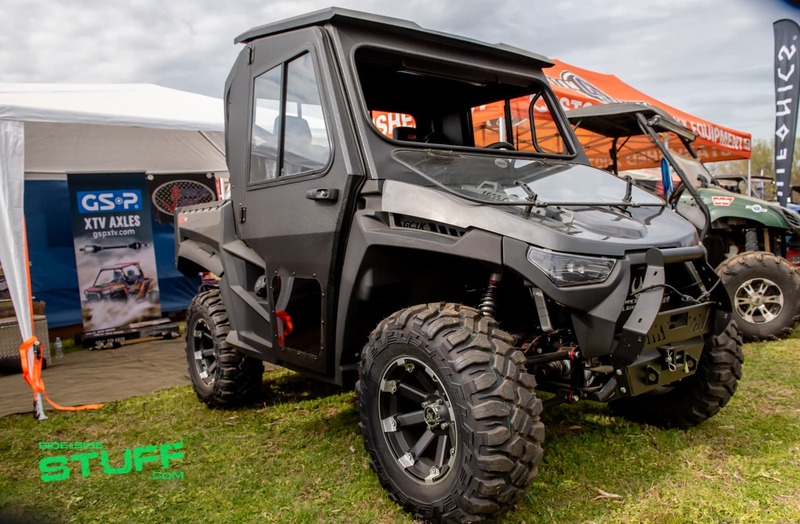 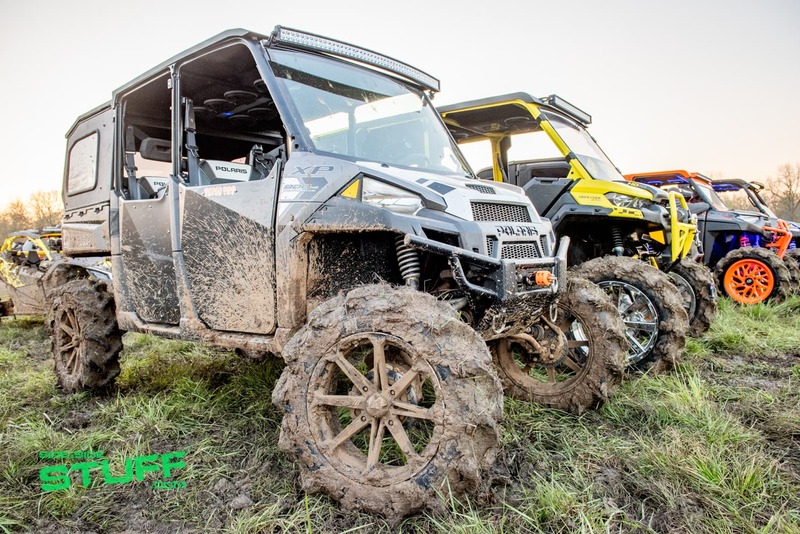 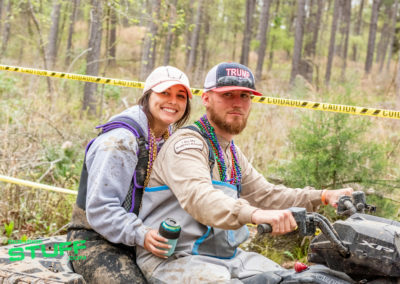 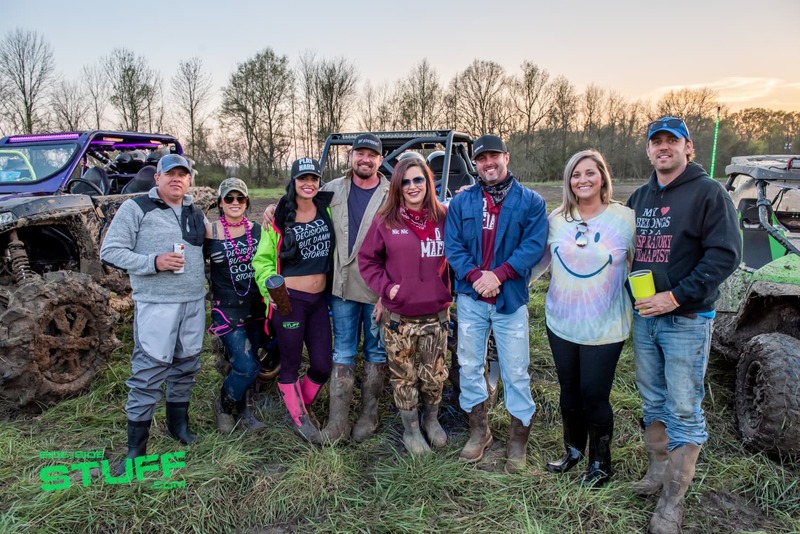 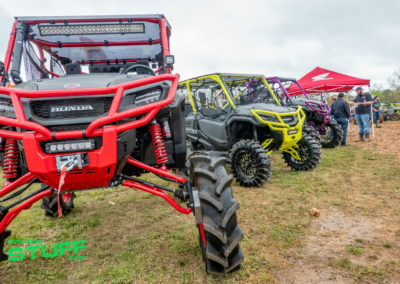 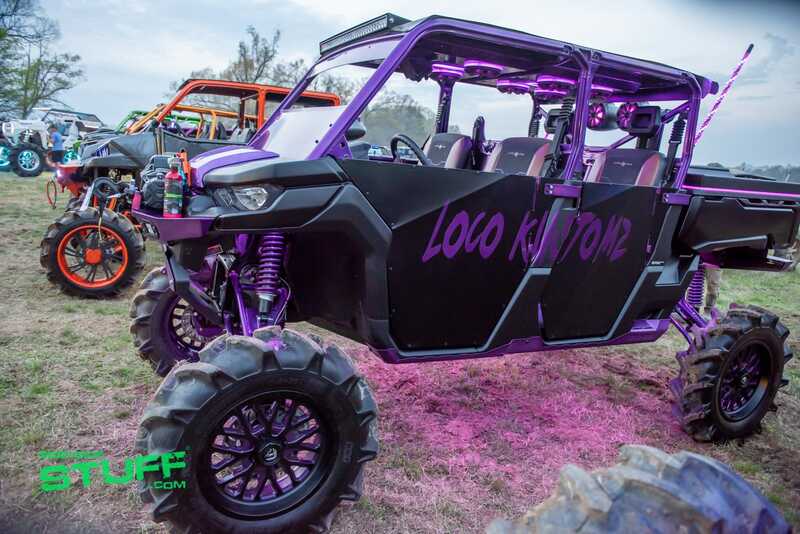 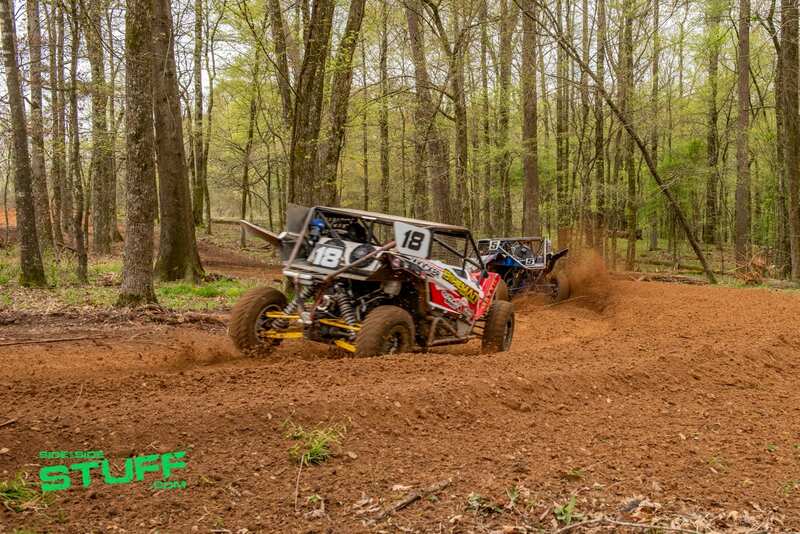 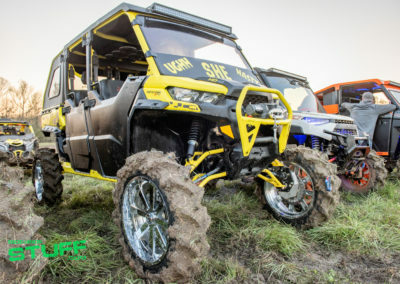 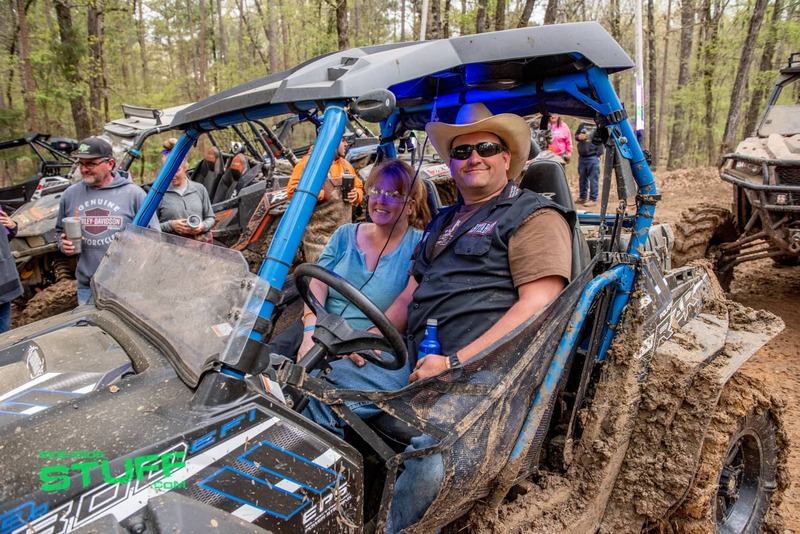 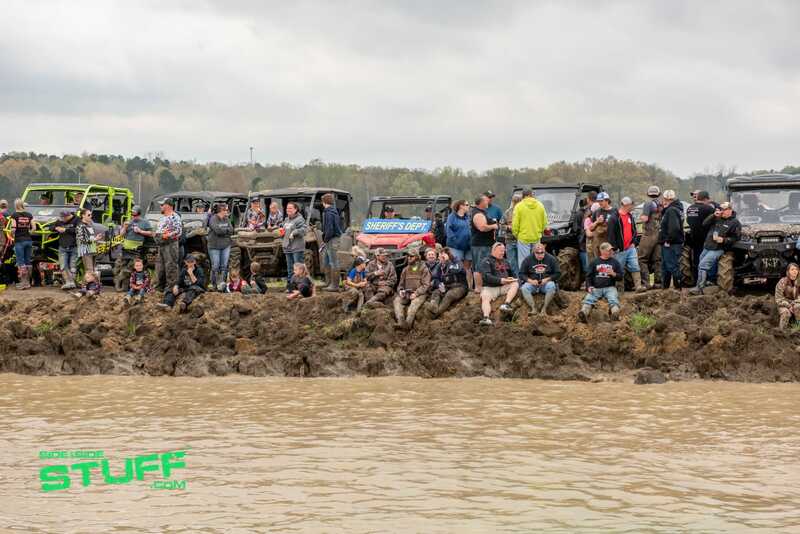 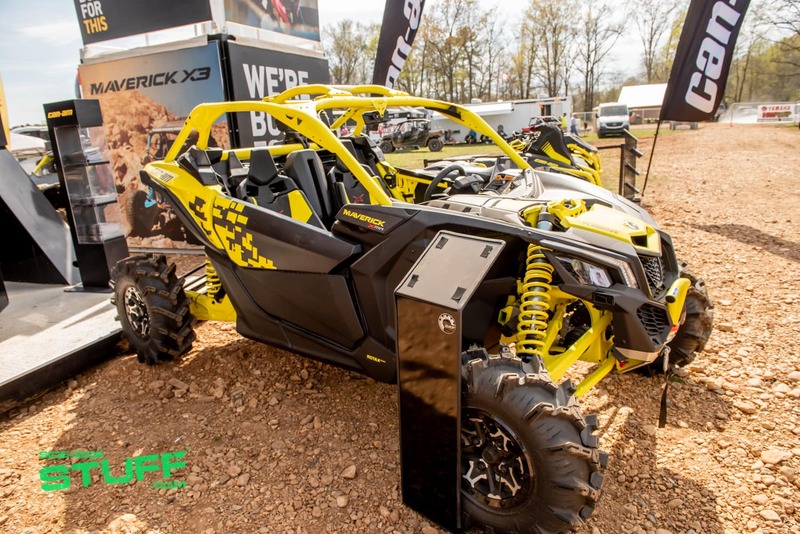 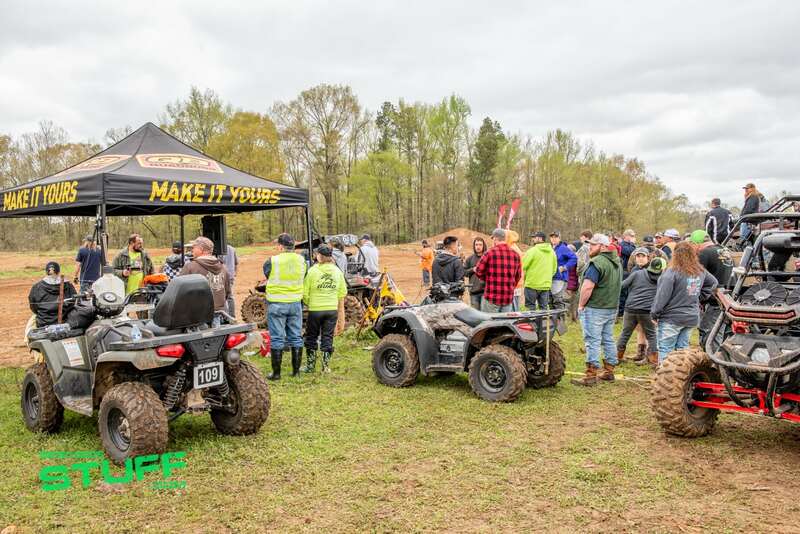 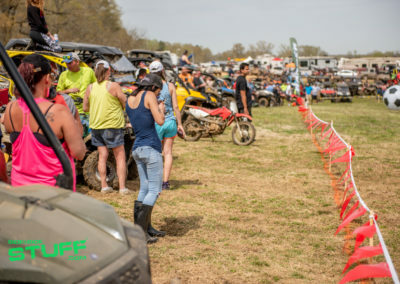 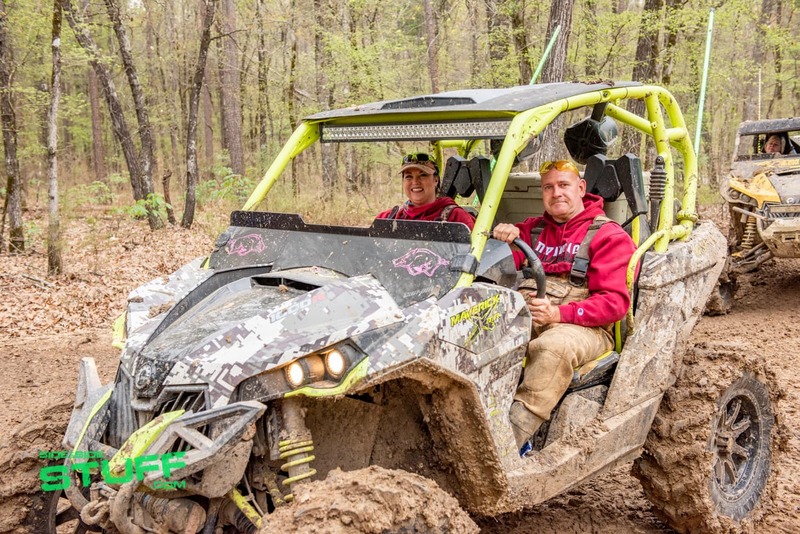 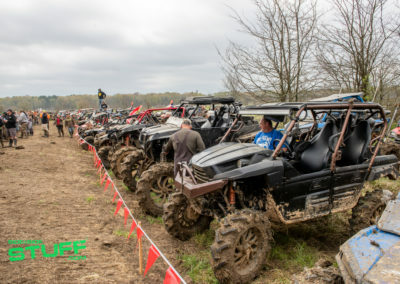 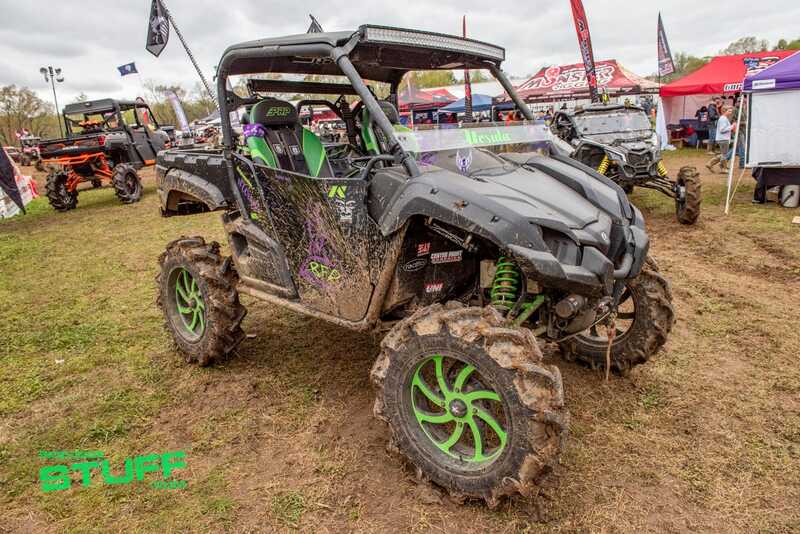 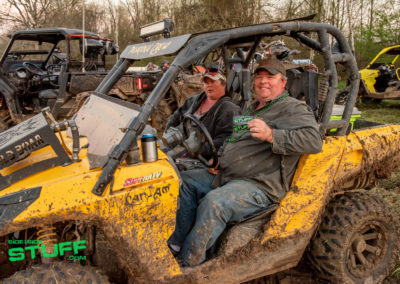 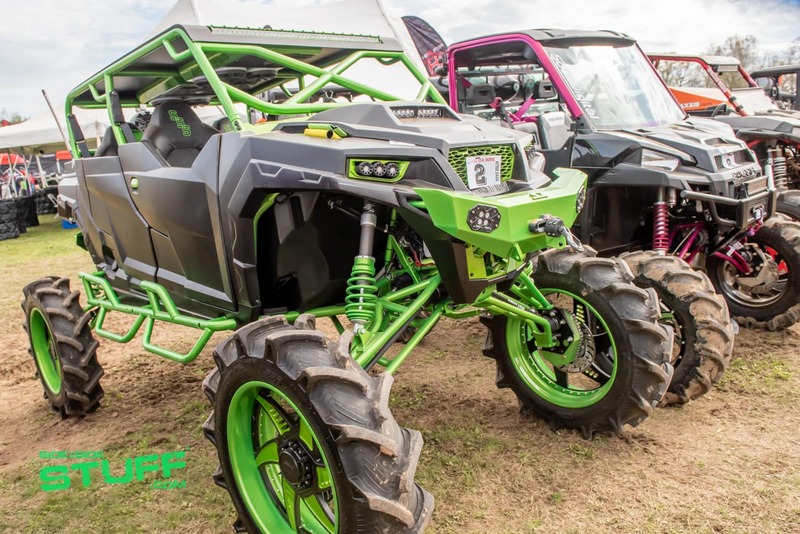 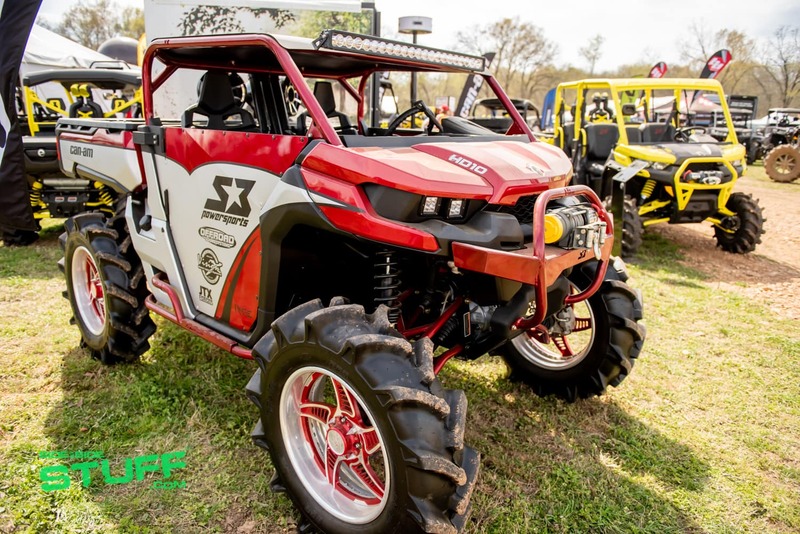 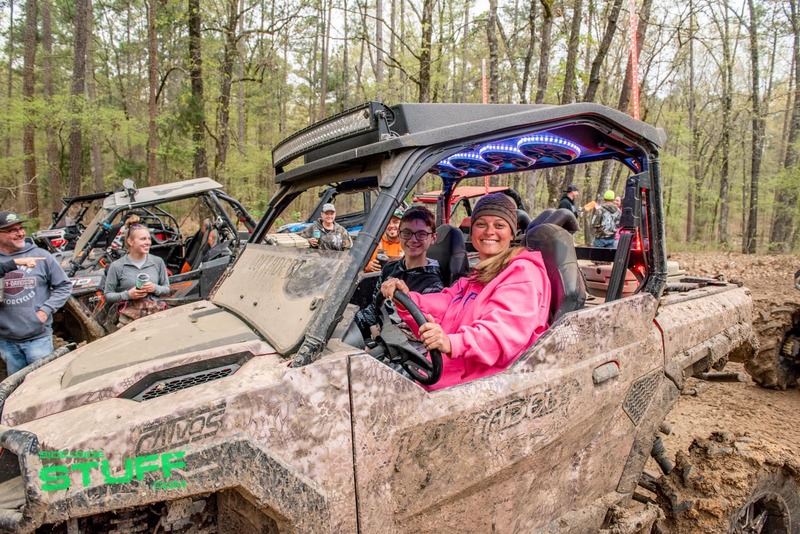 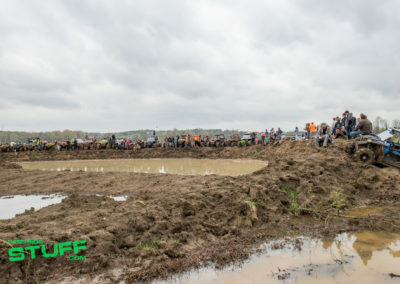 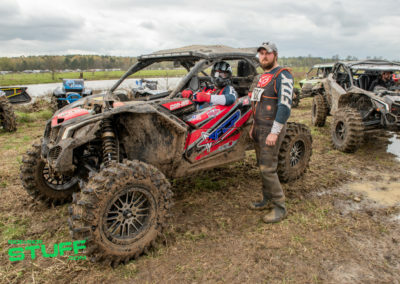 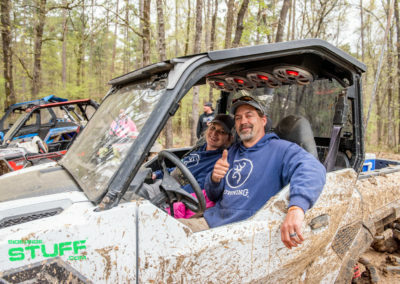 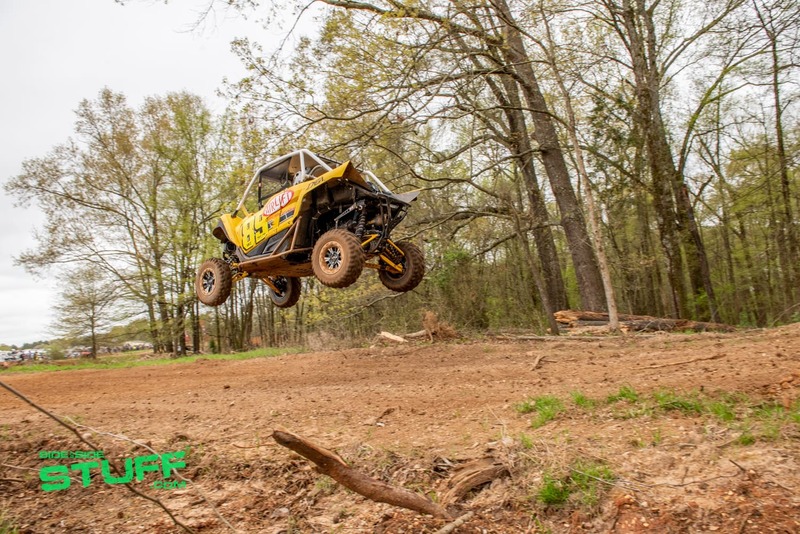 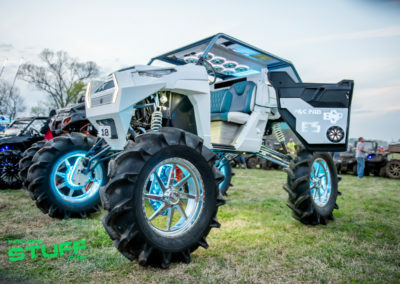 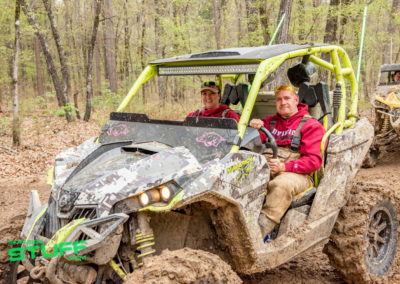 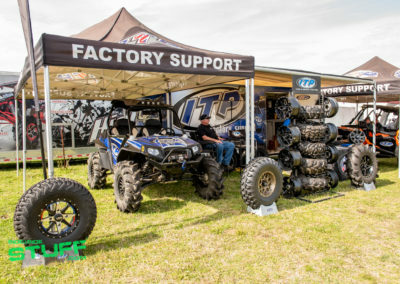 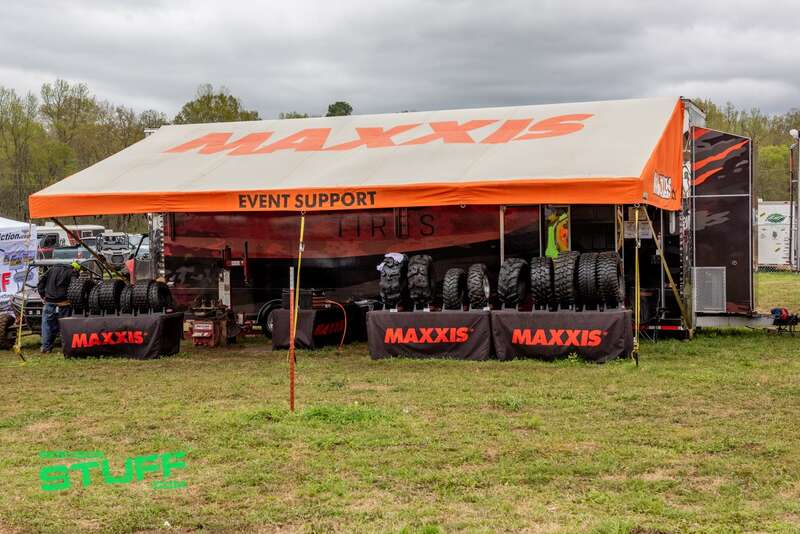 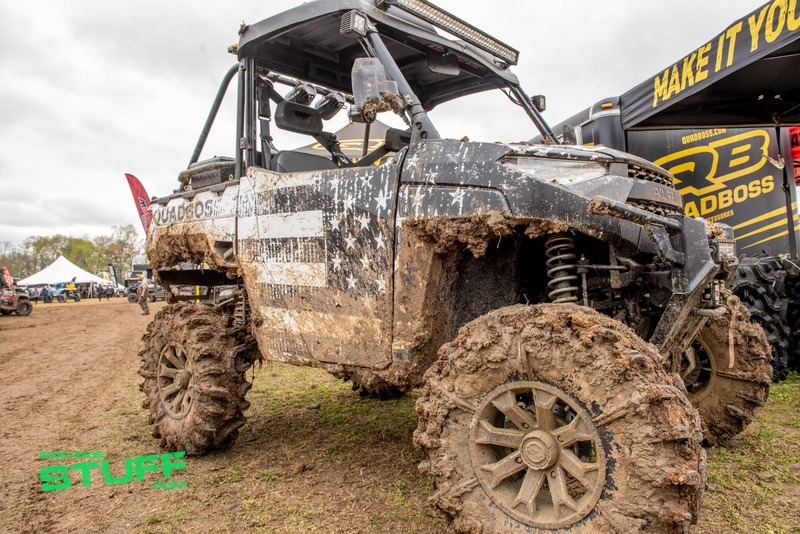 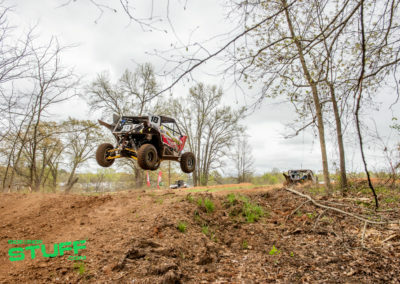 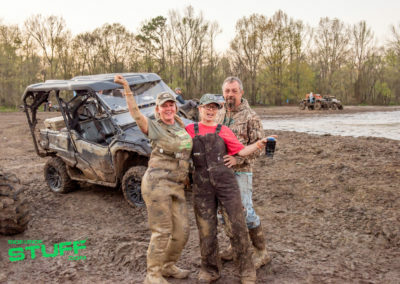 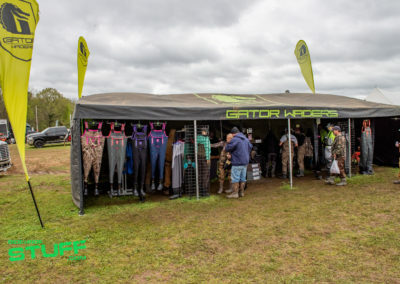 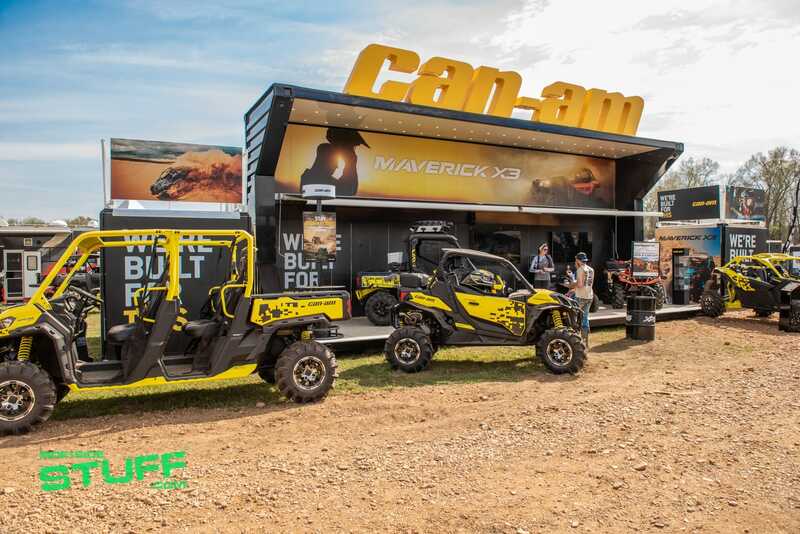 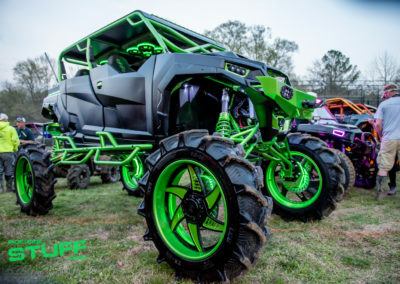 The biggest mud party of the year moved locations this year and did not disappoint, High Lifter Products brought the annual High Lifter Mud Nationals ATV / UTV mud event to Hillarosa ATV Park in Blevins, Arkansas March 27th – 31st. 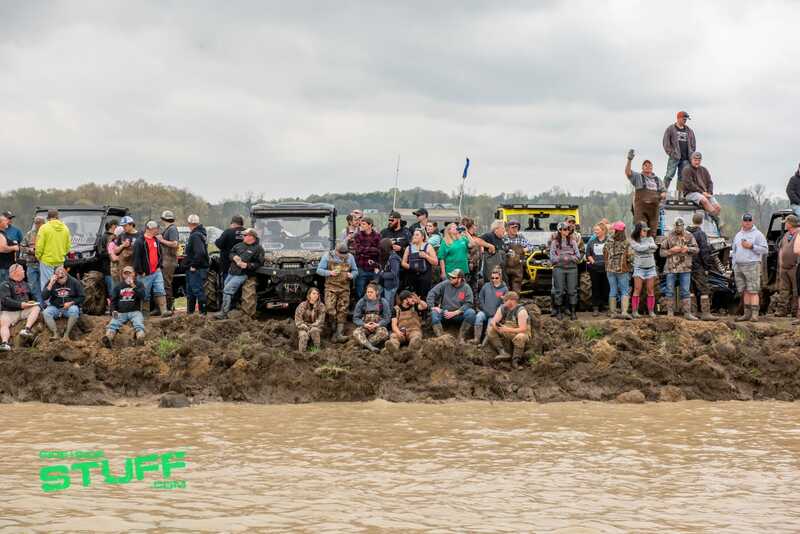 Drawing in mud enthusiasts by the thousands, the event boasted 5 full-fledged days of camping, activities, entertainment and, of course, UTV riding. 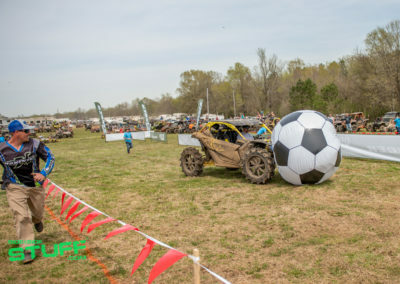 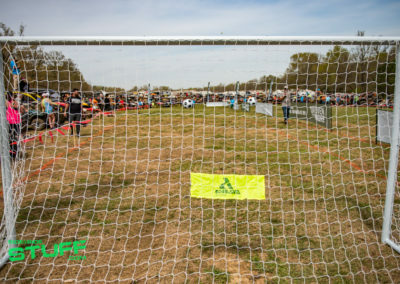 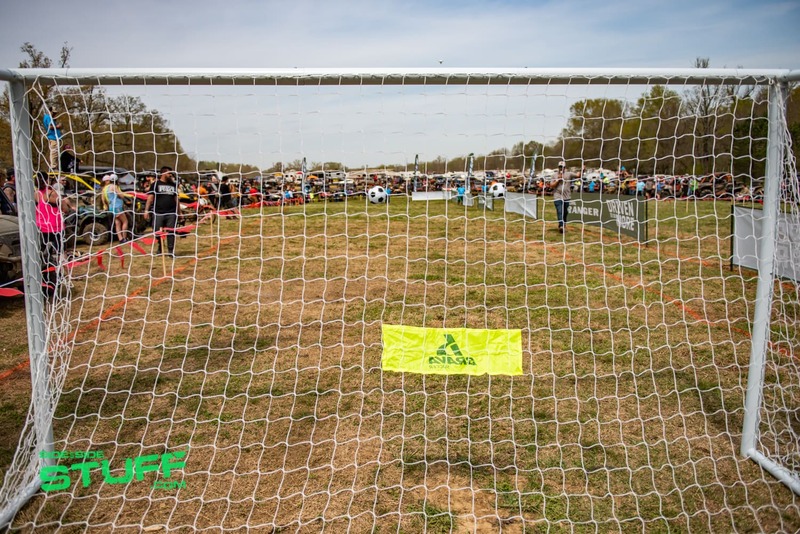 From the ATV / UTV Soccer Ball Match to the Mudda Cross competition, there was no shortage of entertainment and activities for attendees to spectate and participate in; not to mention live music each night. 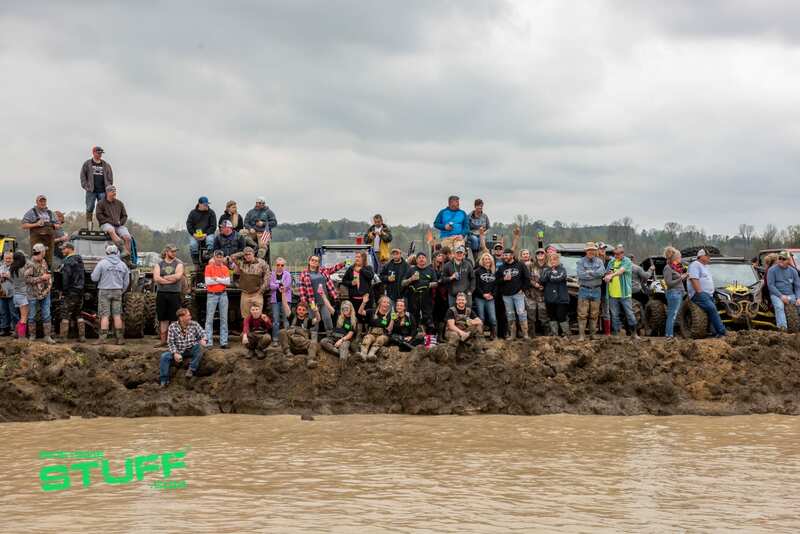 The Mud Nationals Events team did a hell of a job putting a jampacked schedule of events together. 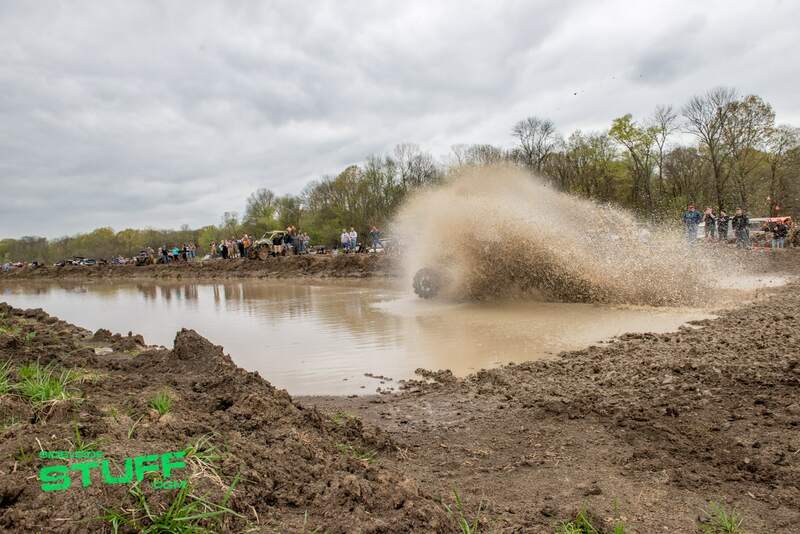 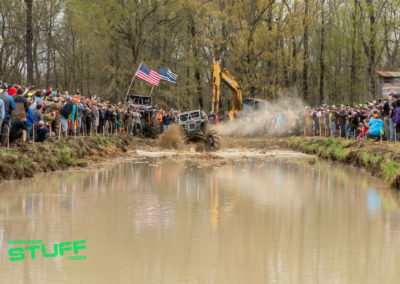 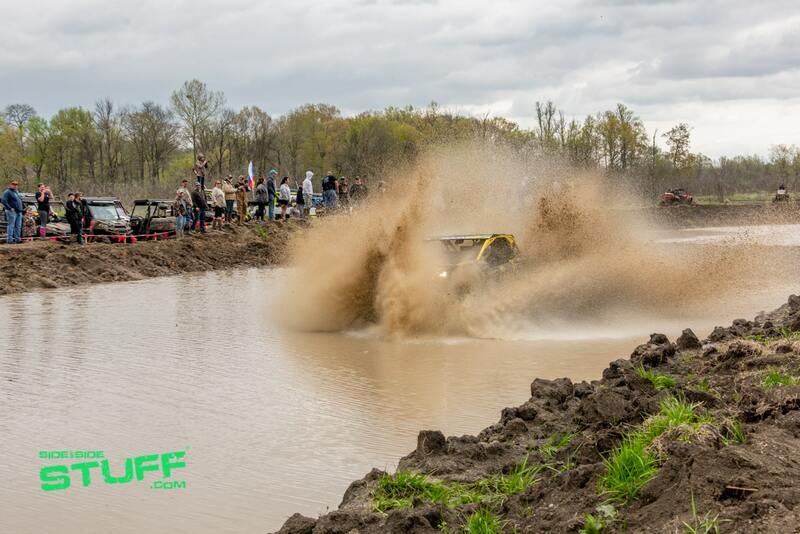 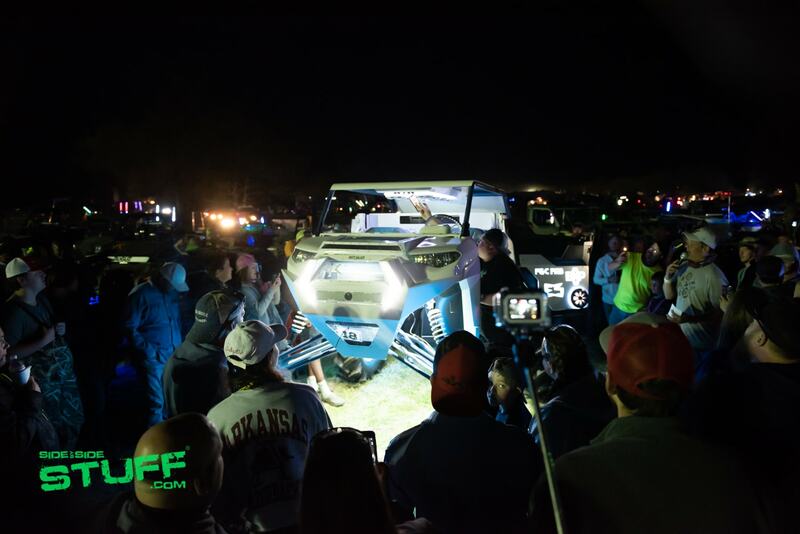 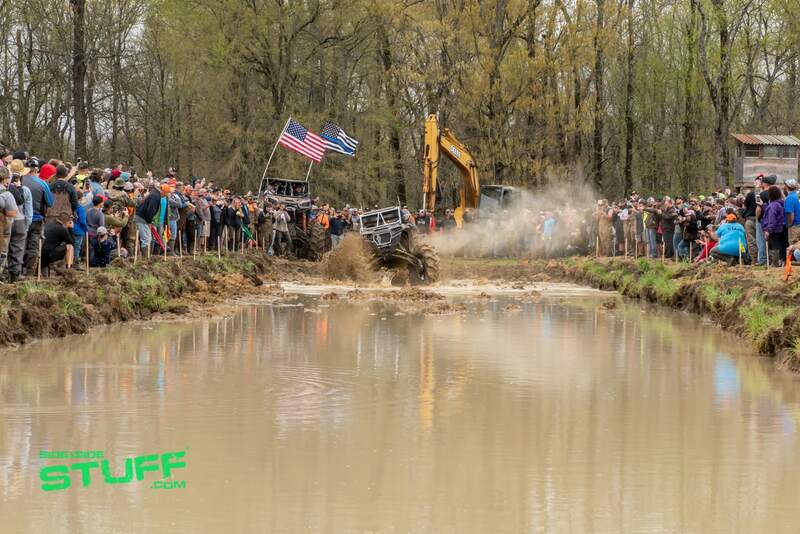 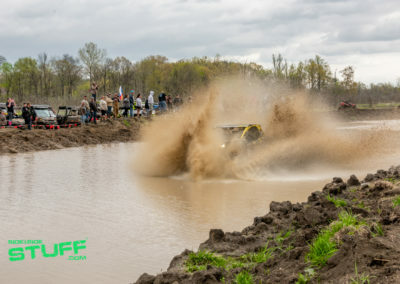 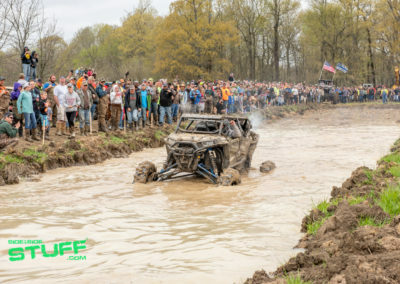 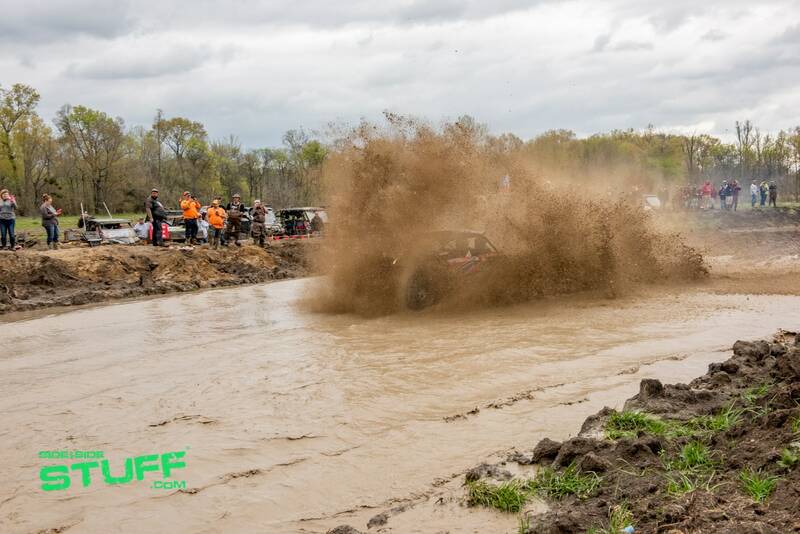 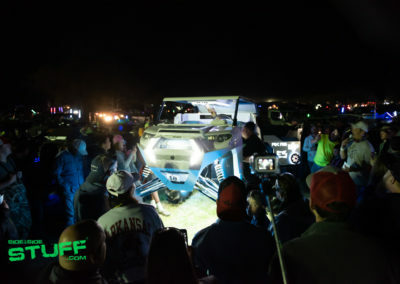 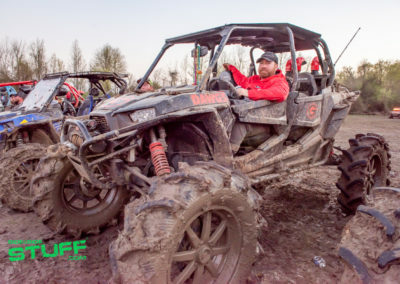 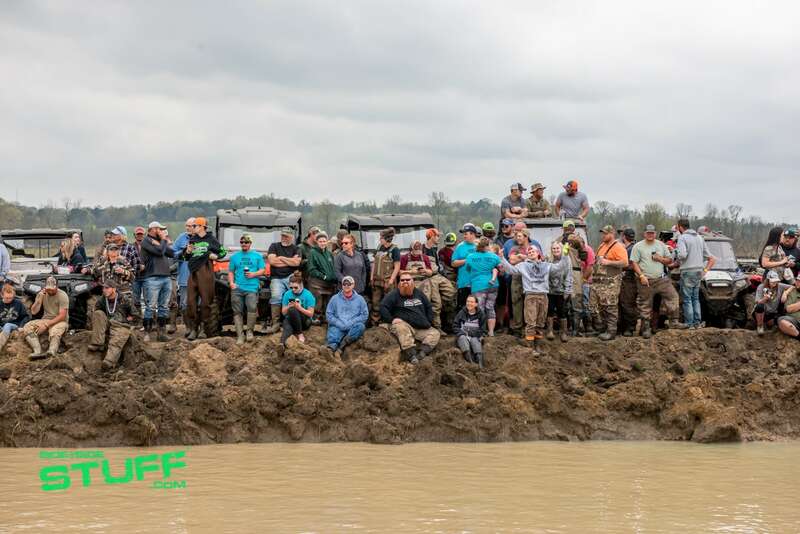 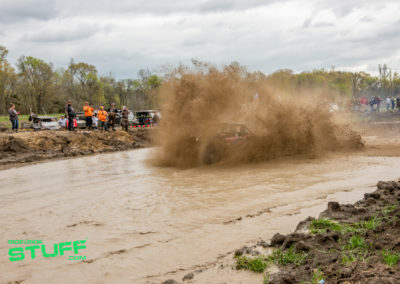 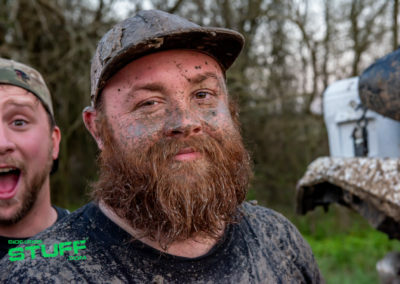 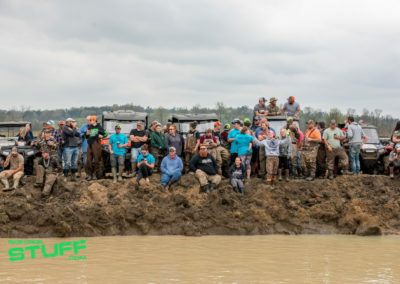 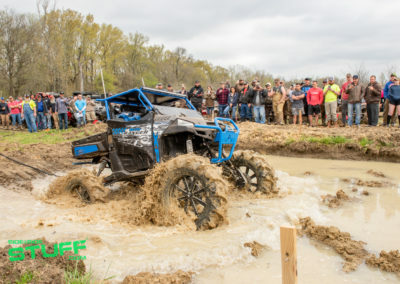 One of our favorite events was the Monster Rigging Bounty Hole Mud Grudge competition; drivers put their mud machines to the test to see how far they could make it down the bounty hole for cash prizes. 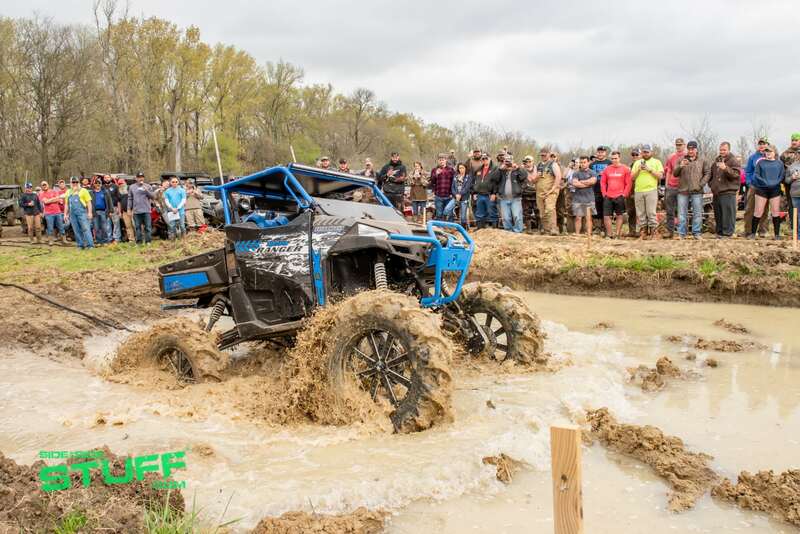 Another crowd favorite was the Polaris UTV Short Course. 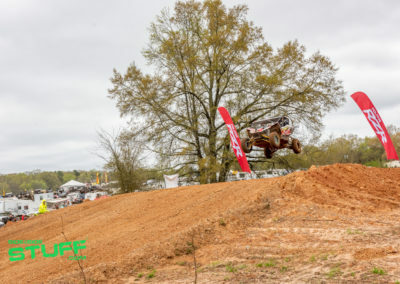 Pro, semi-pro and novice races took to the motocross style track for some action packed racing, it was awesome to watch fast-flying side by sides get big air on the jumps and table tops. 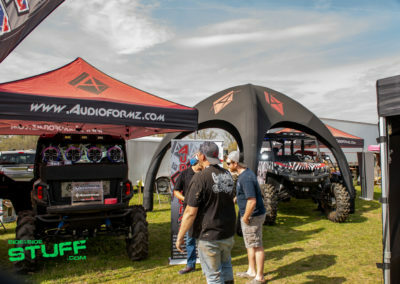 Aftermarket companies like High Lifter Products, Audioformz, Demon Powersports, Dragonfire Racing, Fuel Off-Road, Gator Waders, ITP, KFI, MB Quart, Hifonics, Maxxis Tires, MSA Offroad Wheels, MTX Audio, Quad Boss, Ultimax and System3 Offroad were present in the vendor area displaying their latest UTV accessories and UTV builds and shaking hands with customers. 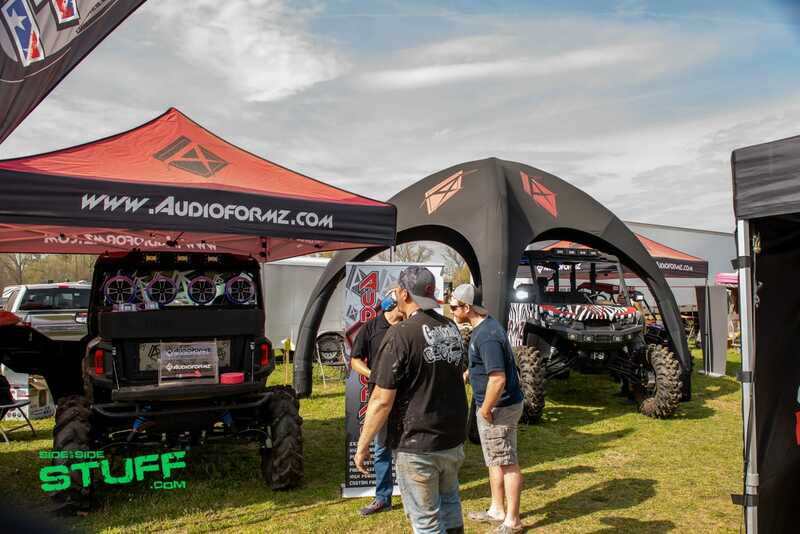 Aside from SxS parts companies and ton of great food vendors, OEMs were present as well. 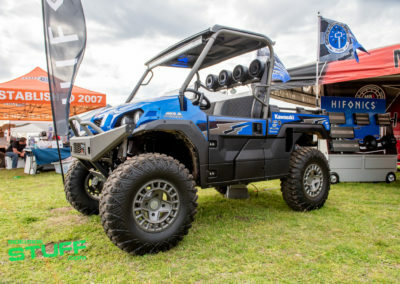 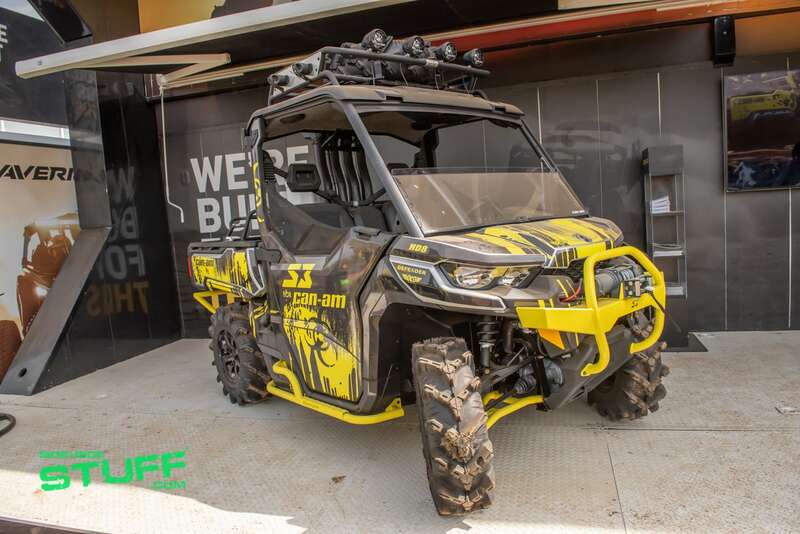 Polaris, Can-Am and Yamaha brought fleets of new units to display and a few custom builds as well. 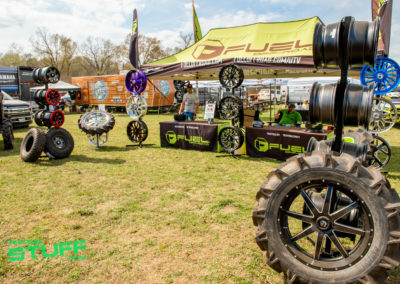 Each OEM brought their A-game with great displays and had plenty of goodies to hand out to attendees. 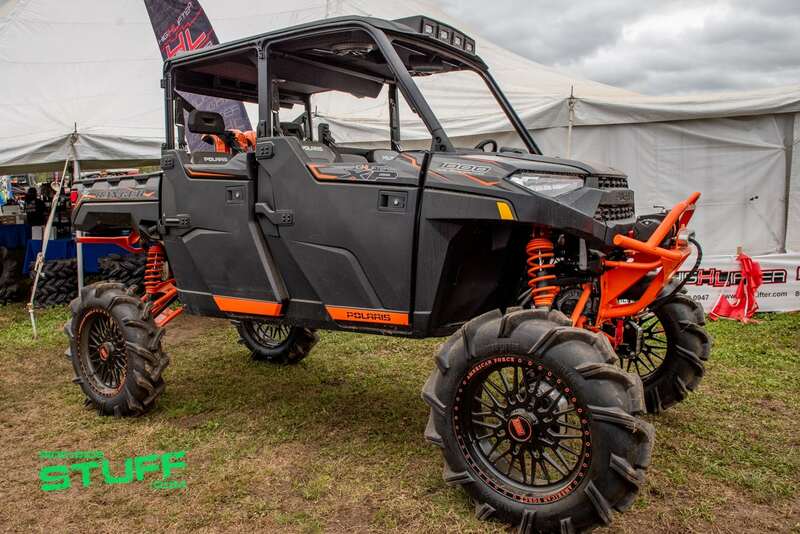 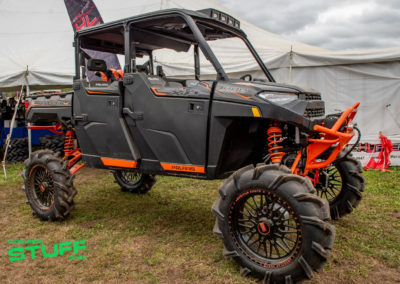 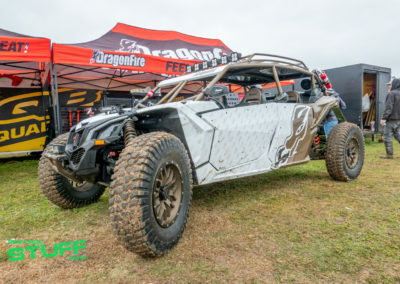 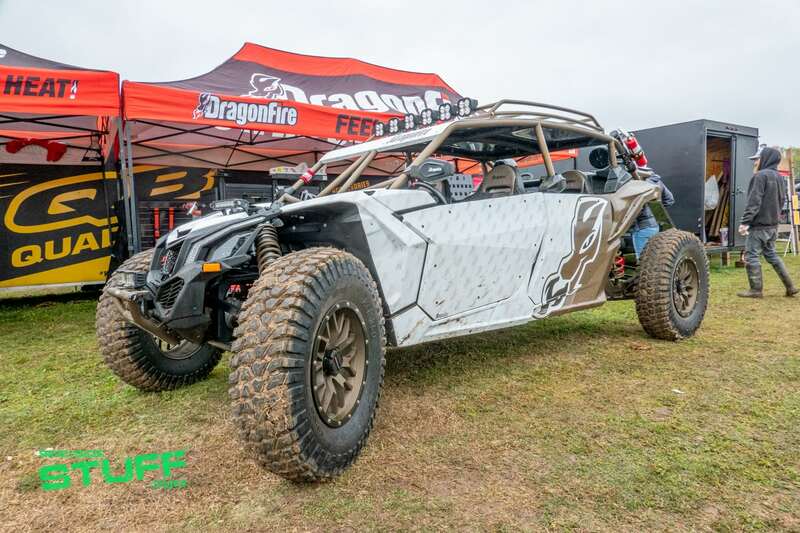 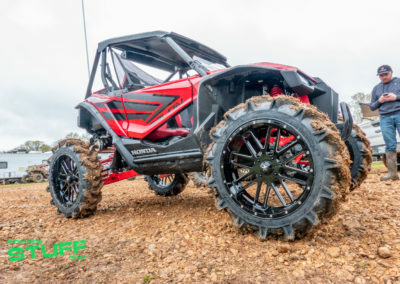 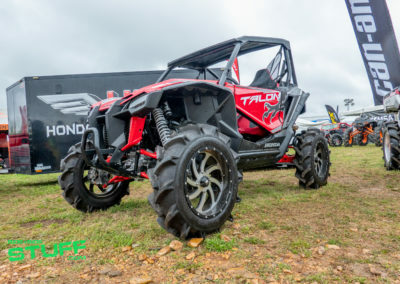 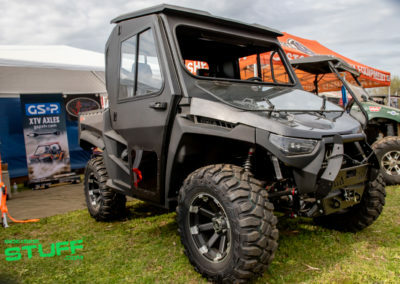 There were several of the Honda Talon side by sides at the event as well, this was our first time to check out the Talon up close and it exceeded our expectations. 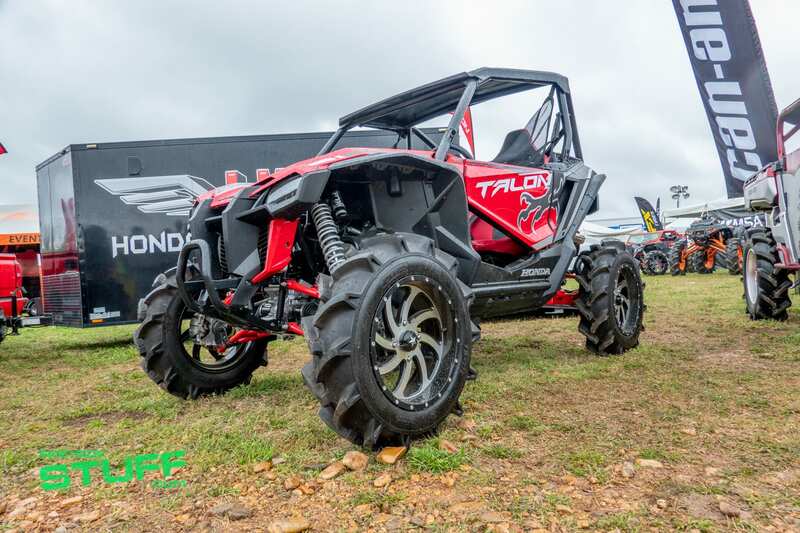 The Talon looked even better loaded with aftermarket accessories, we are very excited to start offering products for the new machine. 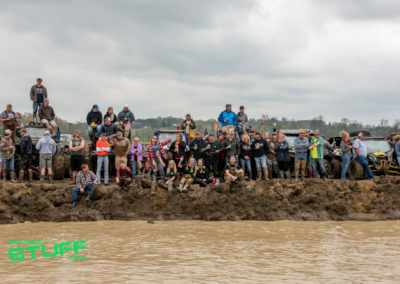 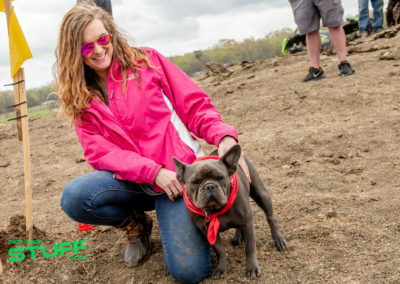 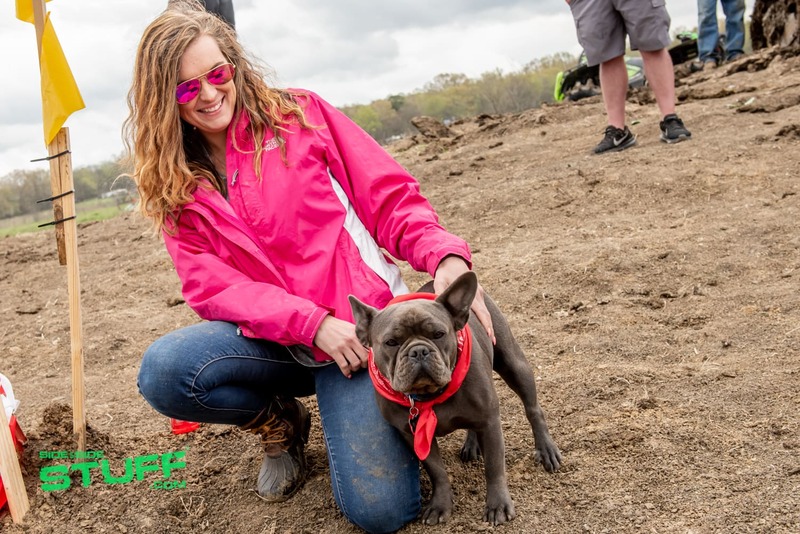 We weren’t sure what to expect with Mud Nats being at a new location, but we knew that High Lifter, the Mud Nationals Events team, Hillarosa ATV Park, Grumpy’s Dozer Service and many others were working hard on new park improvements as well as building the mud pits and race courses. 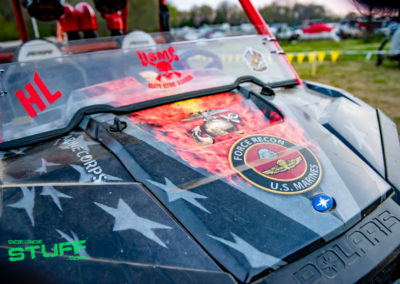 Mightily impressed, everyone did a great job. 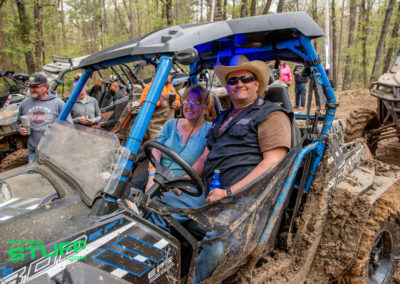 Hillarosa ATV Park was awesome, the 2,000 acre park features a vast trail system, and plenty of water crossings and deep mud bogs. We had a blast exploring the park. 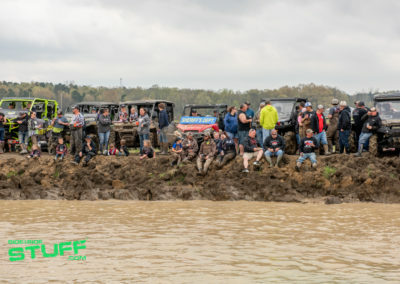 All in all, the 2019 High Lifter Mud Nationals was a huge success. 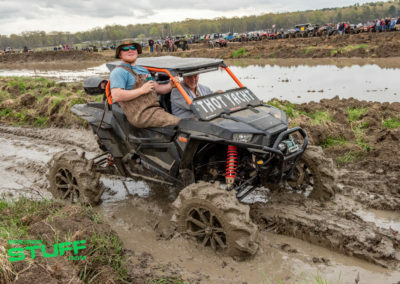 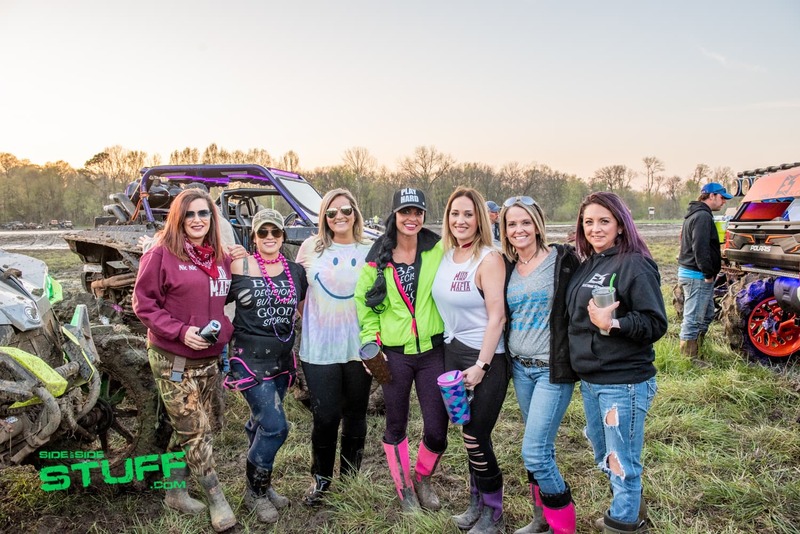 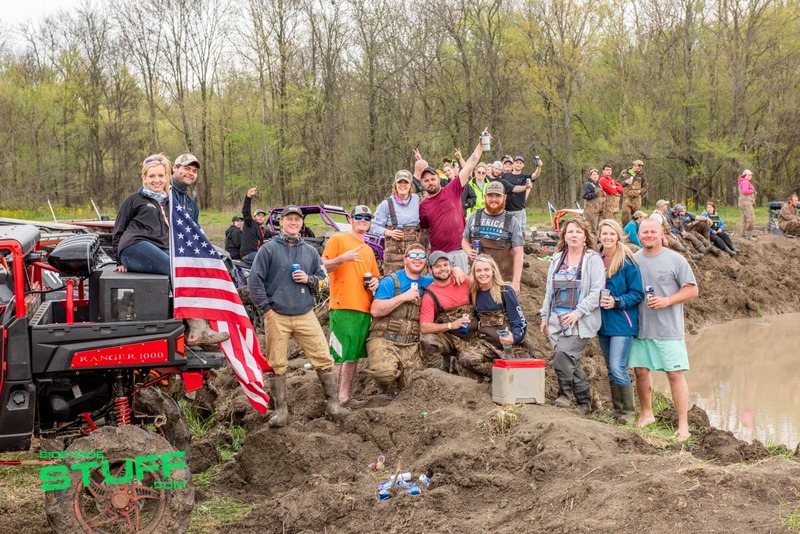 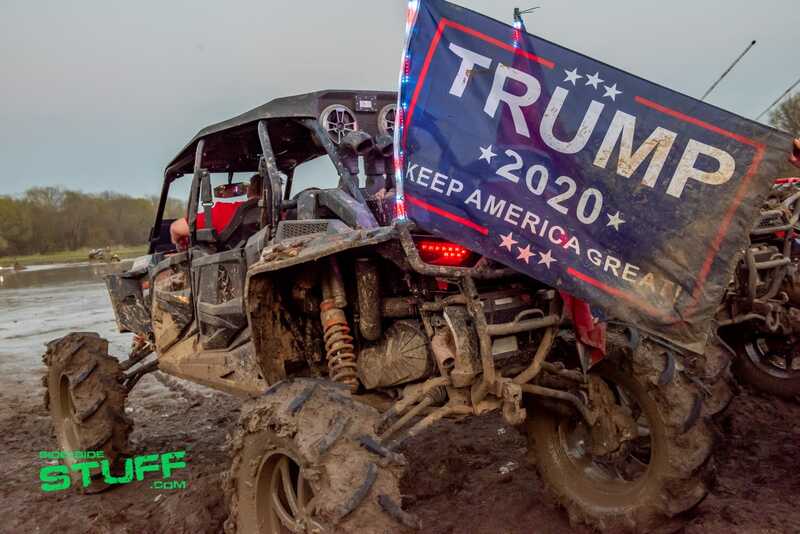 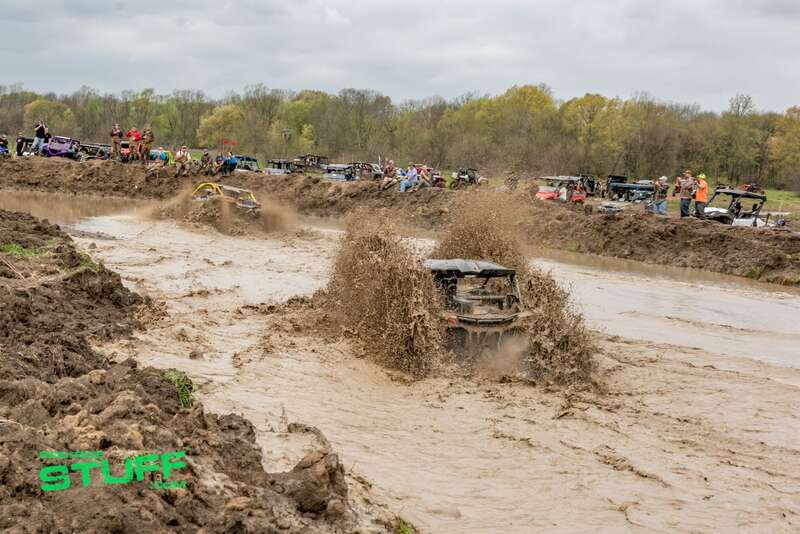 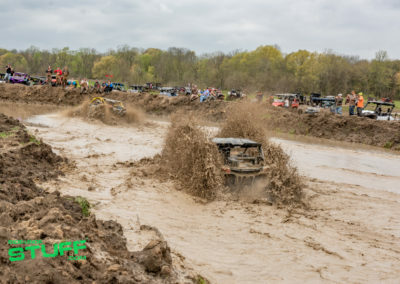 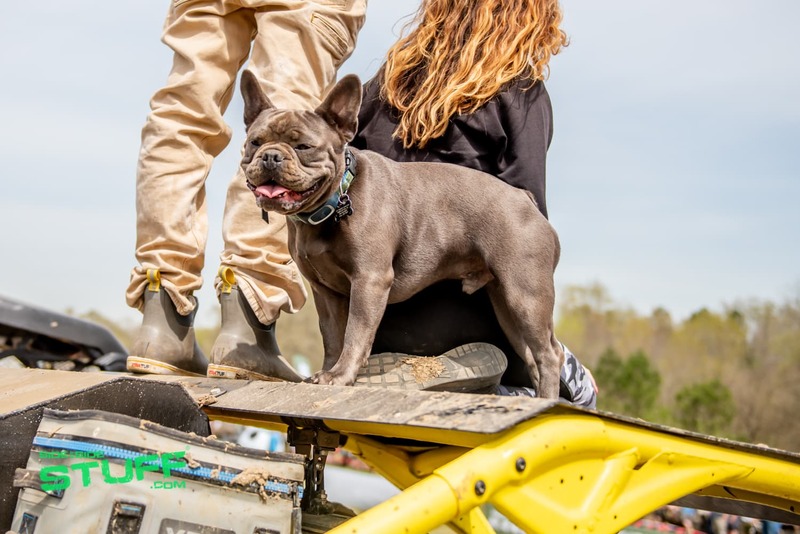 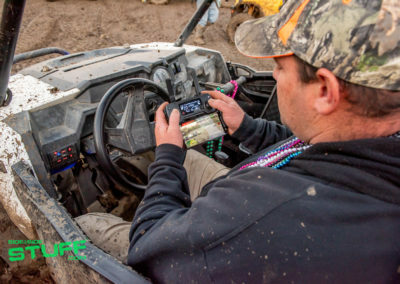 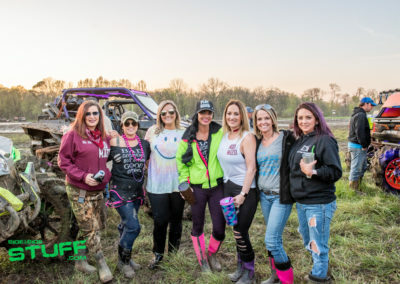 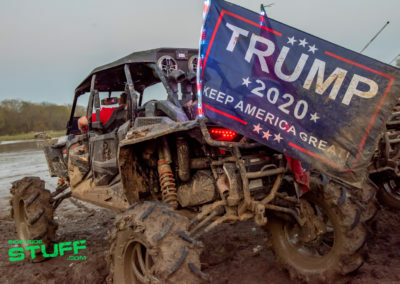 Mud Nats is definitely the go to mud party of the year, we encourage you to round up your riding crew next spring and head to Hillarosa ATV Park for the 2020 High Lifter Mud Nationals.